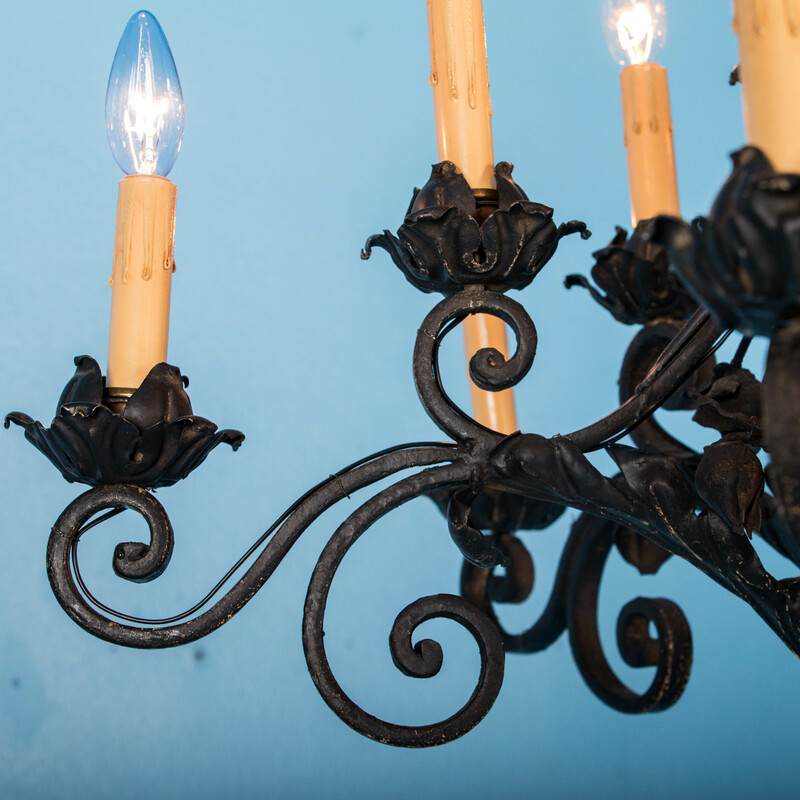 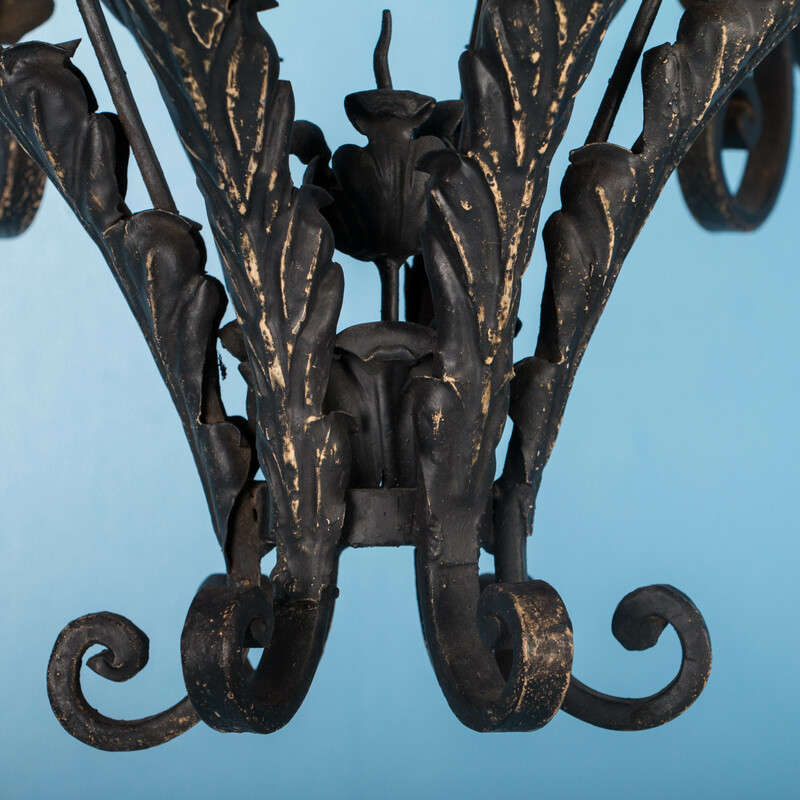 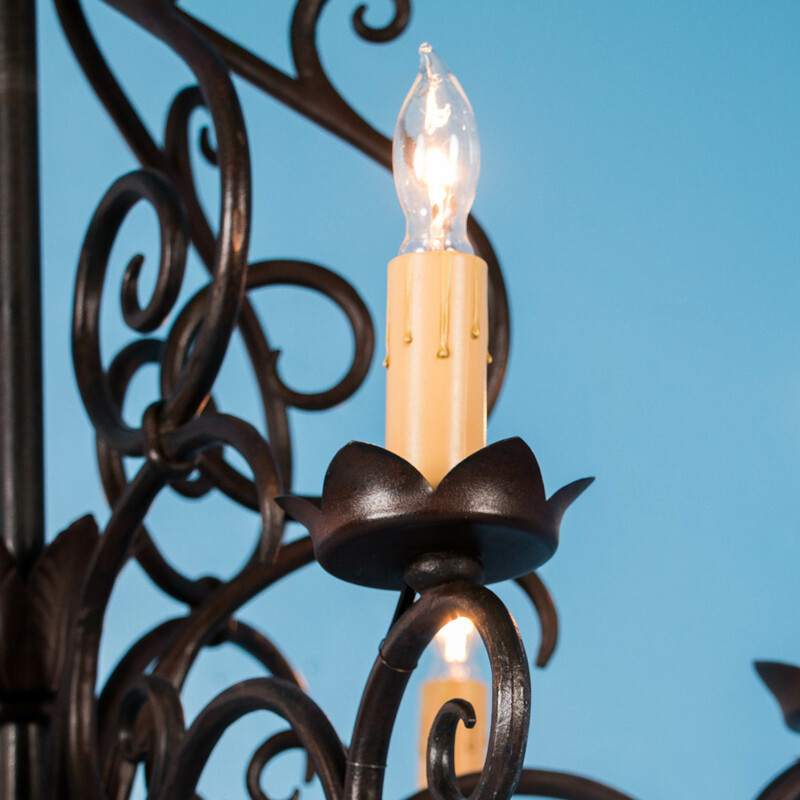 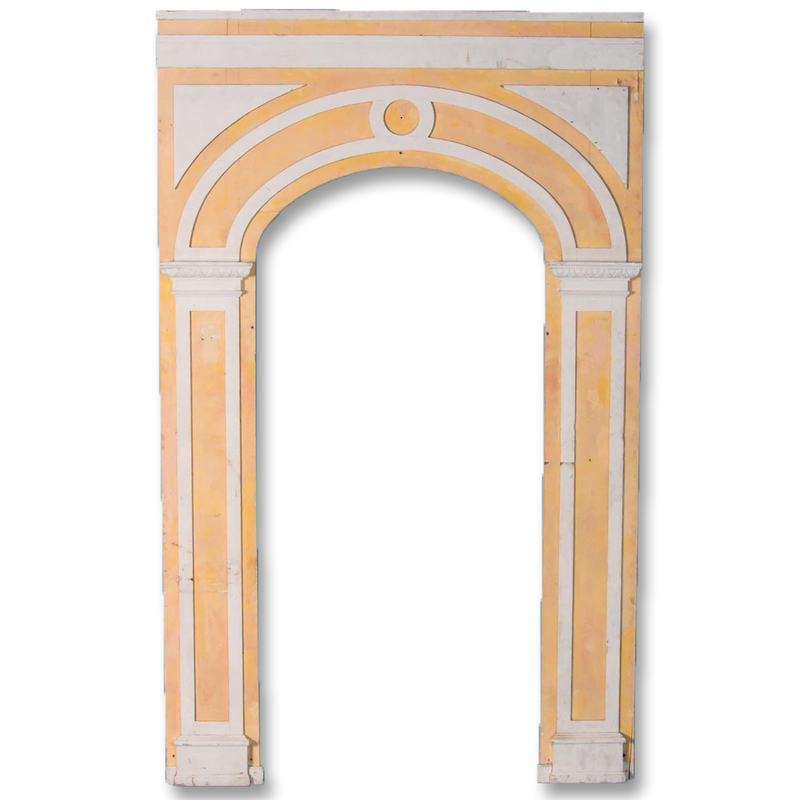 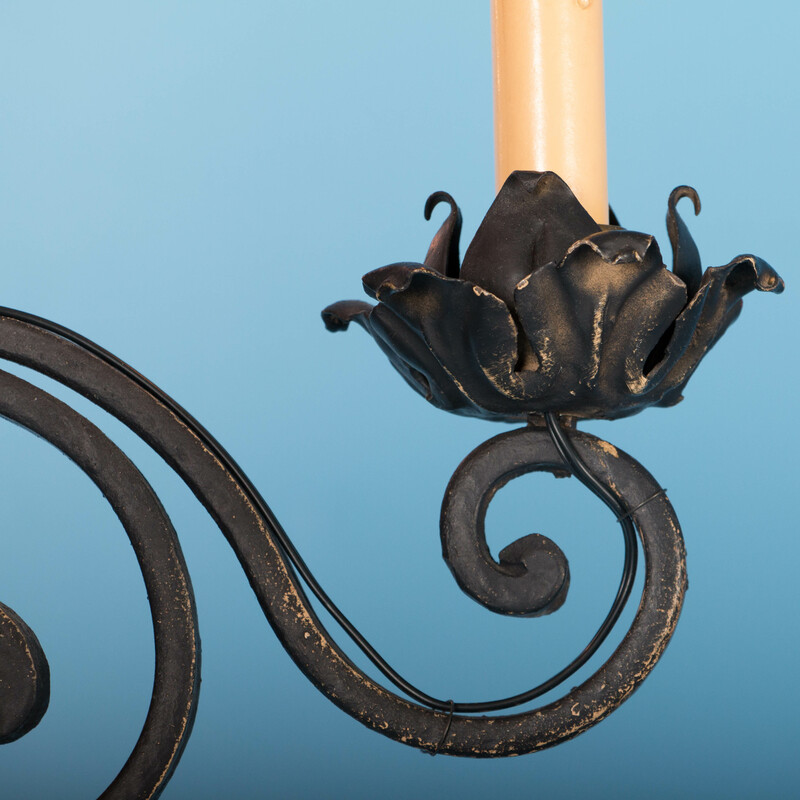 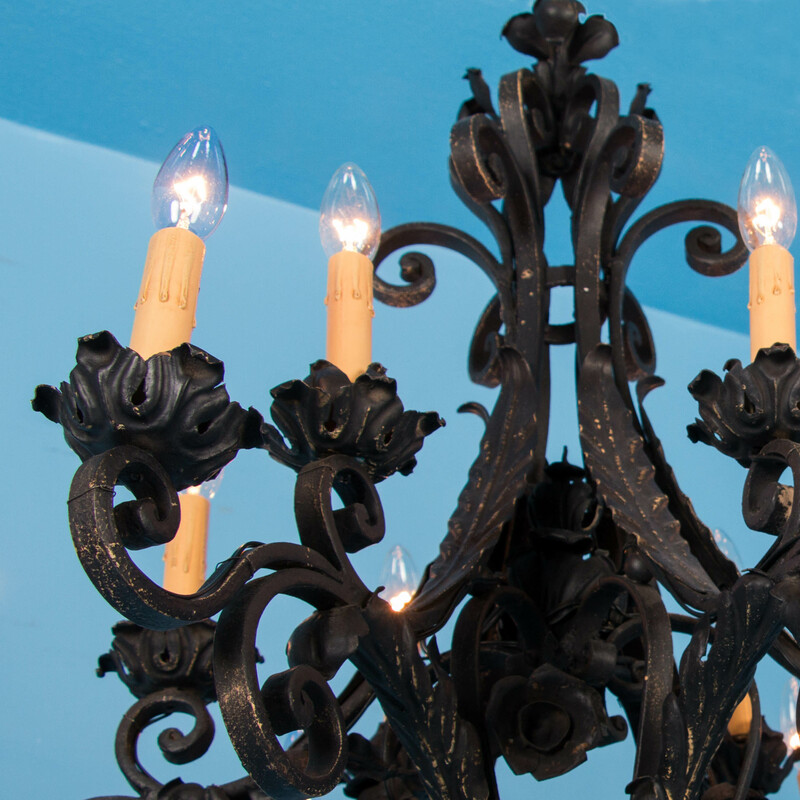 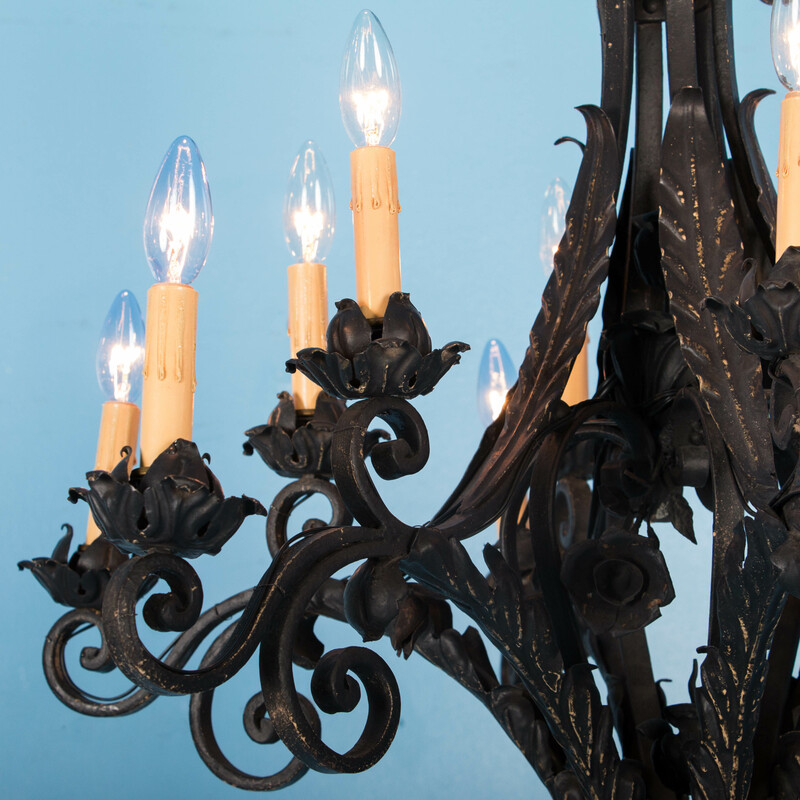 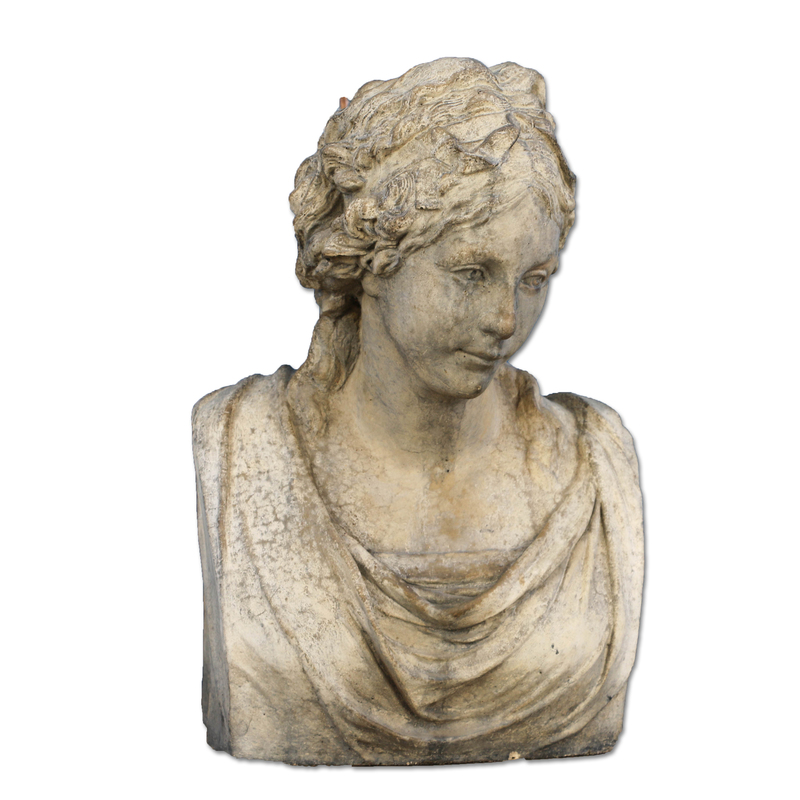 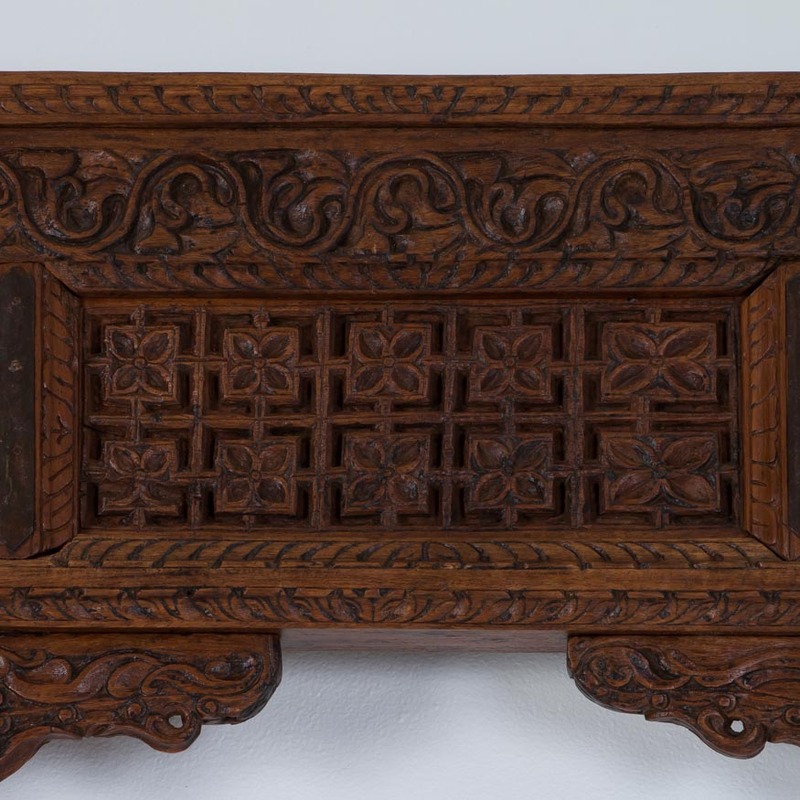 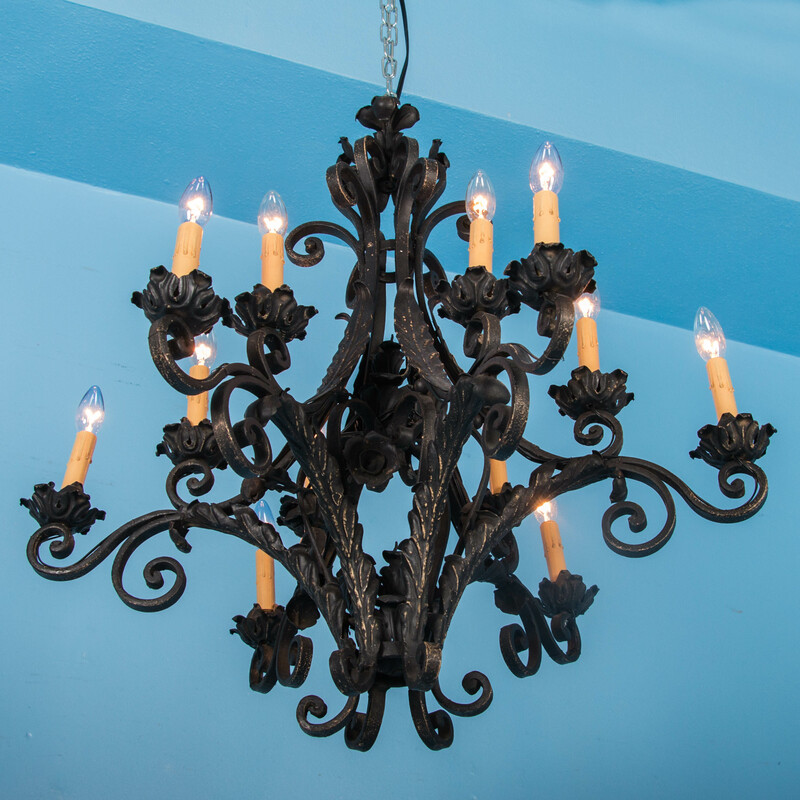 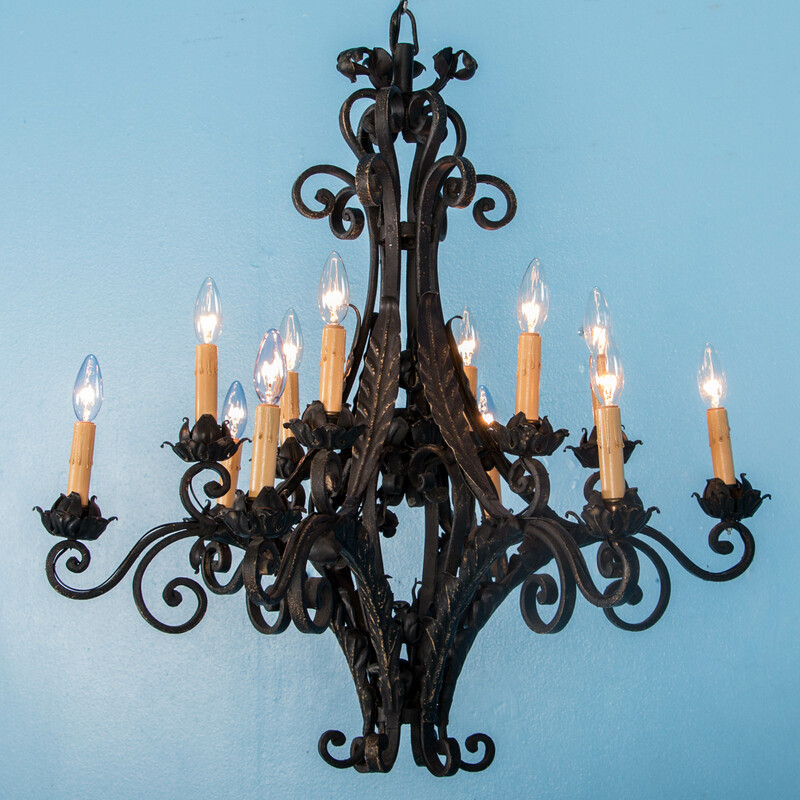 Antique door surround from Denmark, circa 1840-1860, with vintage yellow and white paint. 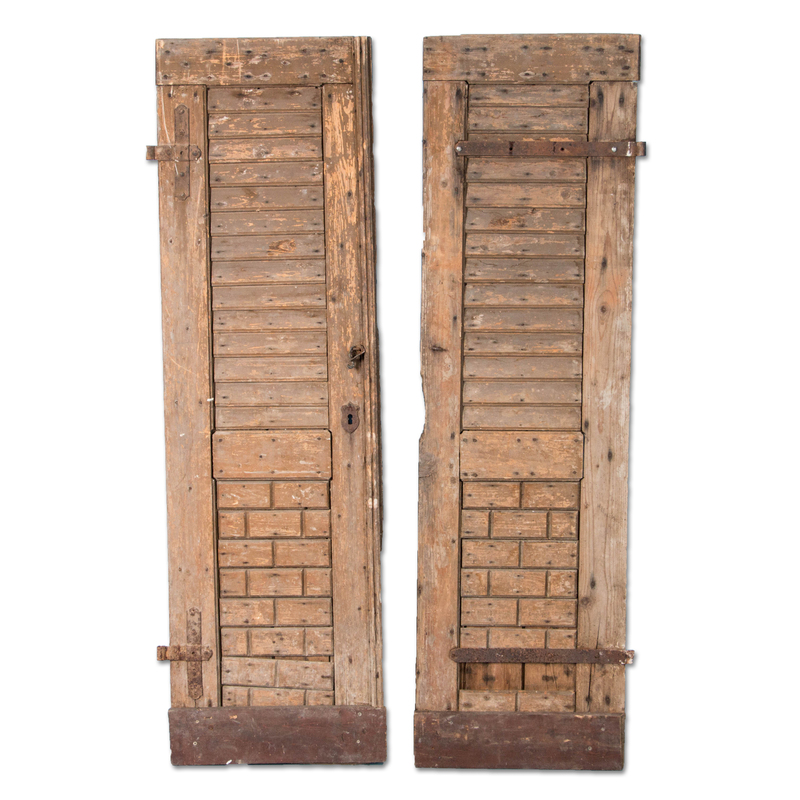 Pair of pine doors with a louvered pattern on the front and a dark unpainted back. 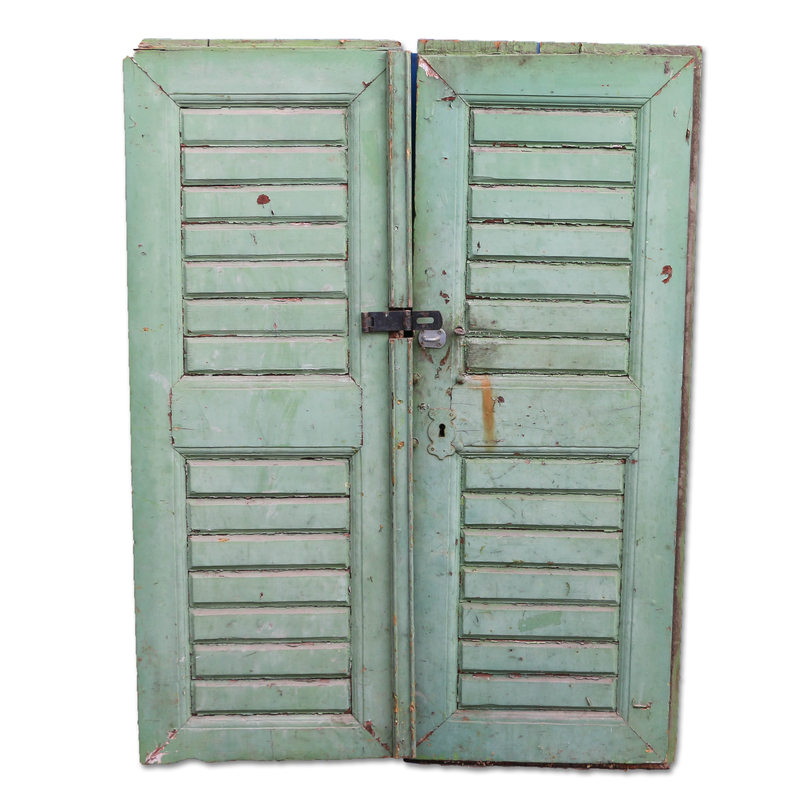 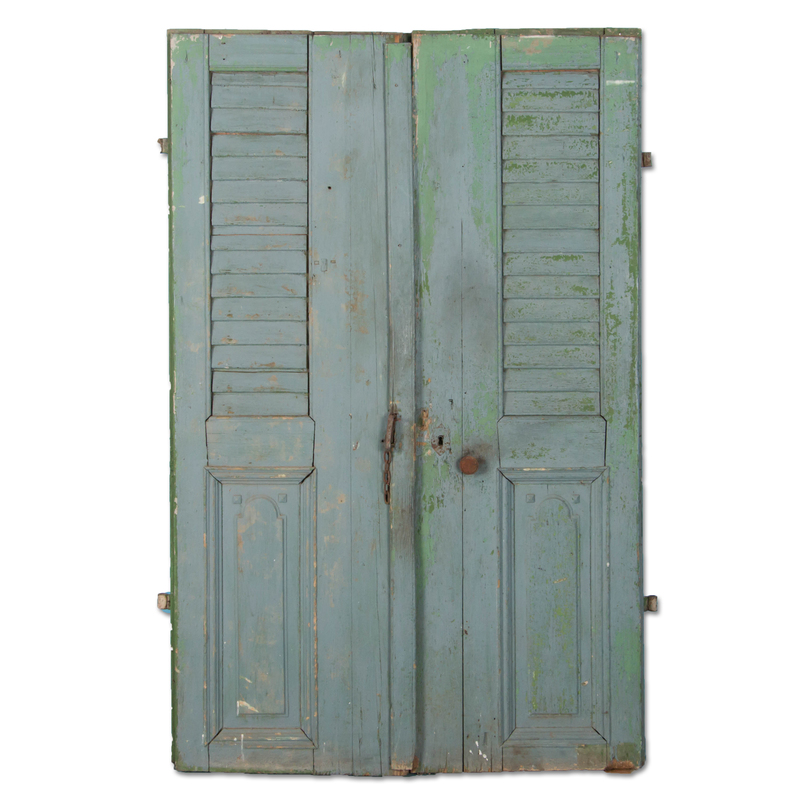 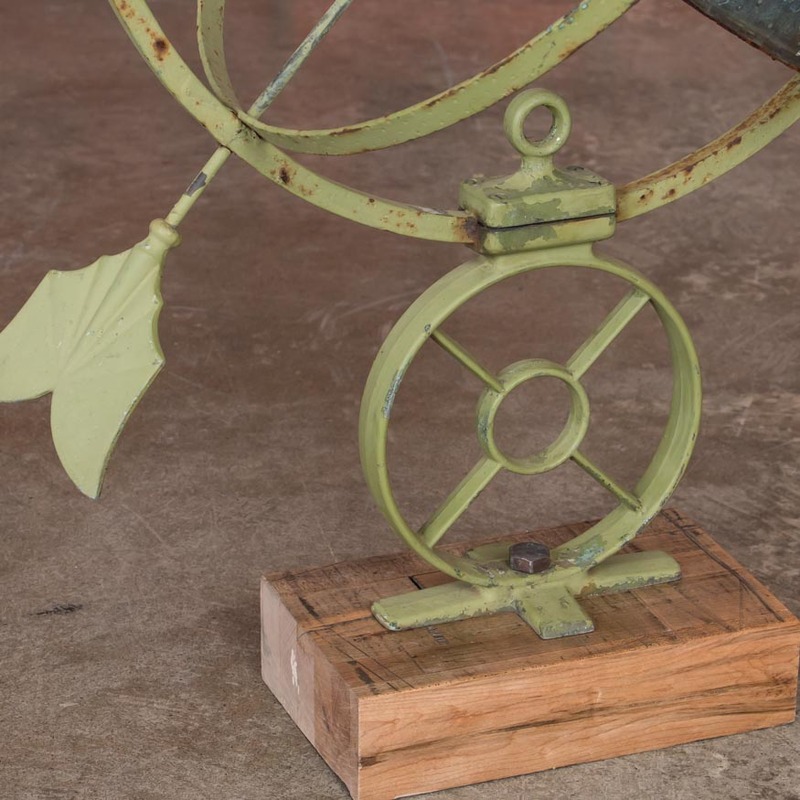 These doors have a flat unpainted back and a louvered style front with distressed, weathered green paint. 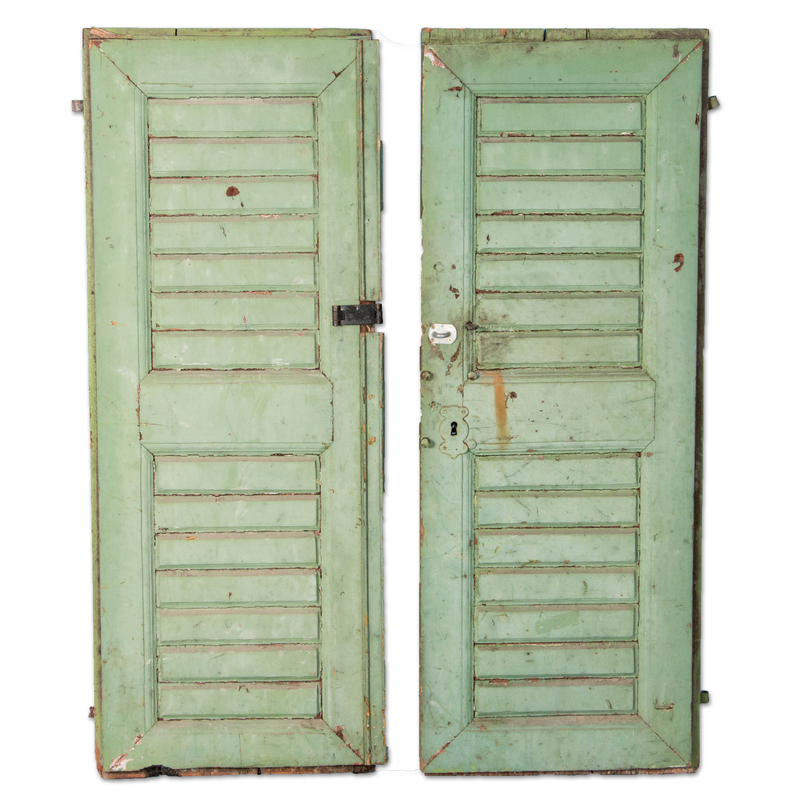 The polychrome painted doors have multiple glass panels in the upper half, with a raised panel painted blue below. 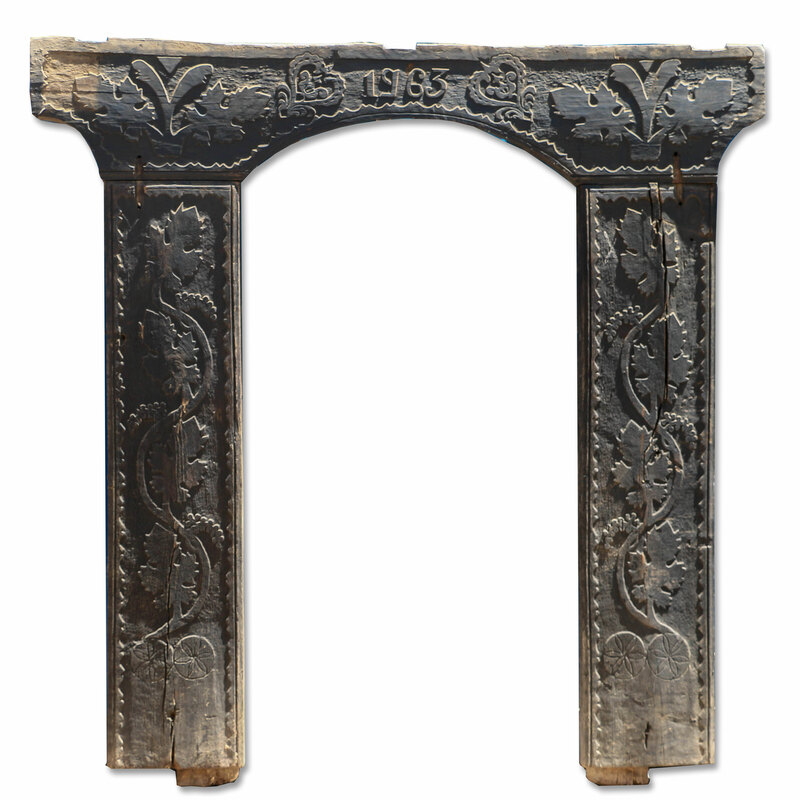 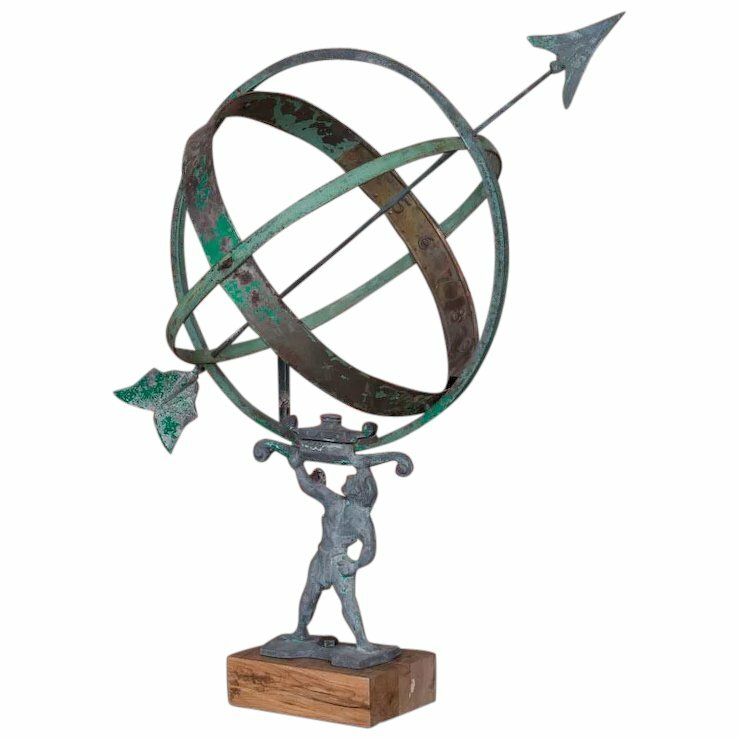 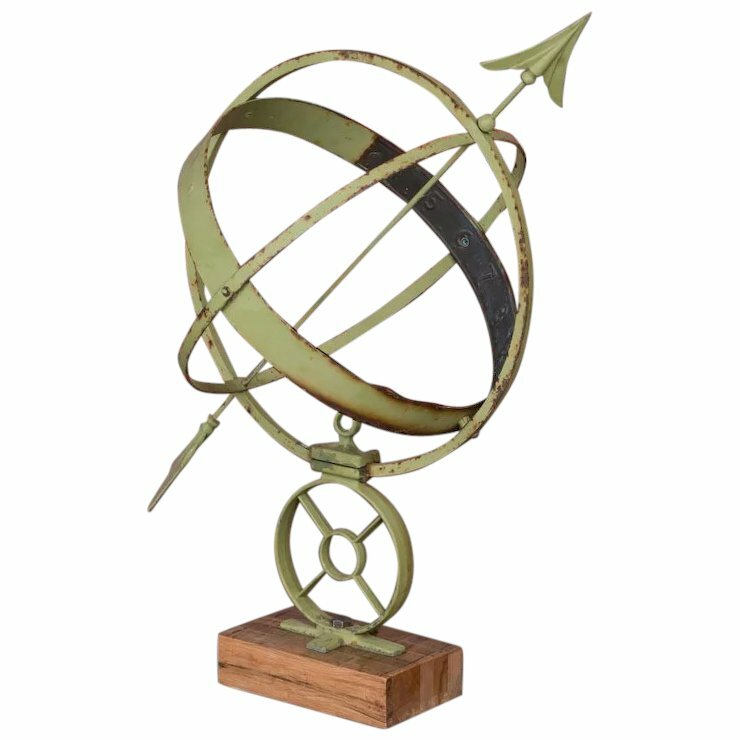 The painted back is a lighter, weathered version of the front. 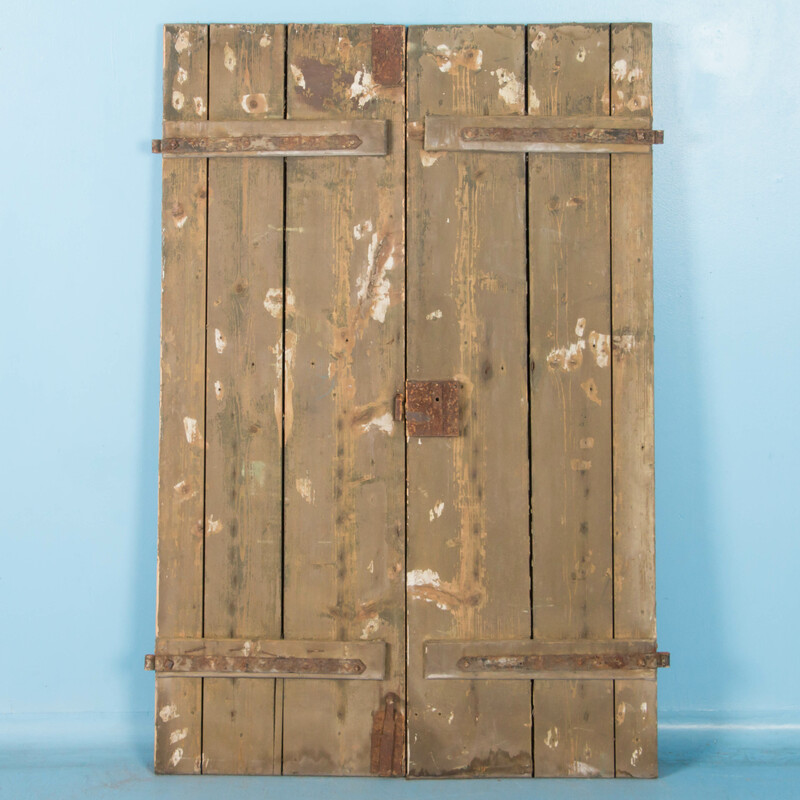 The doors retain the original iron strap hinges and distressed yellow paint on one side only. 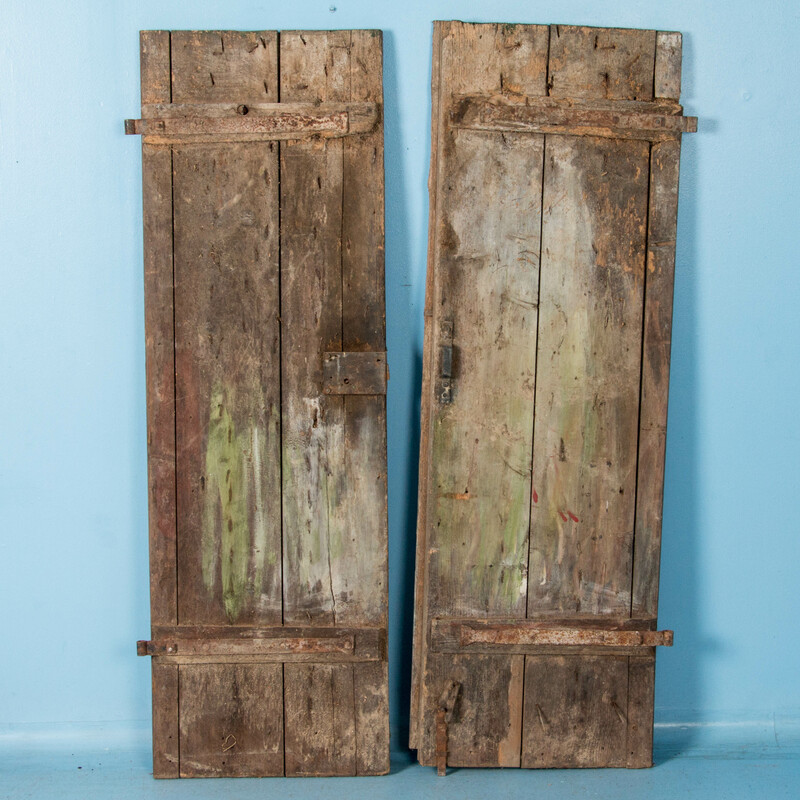 On one side are the original gate hinges with a louver and brick pattern and on the other, vertical boards. 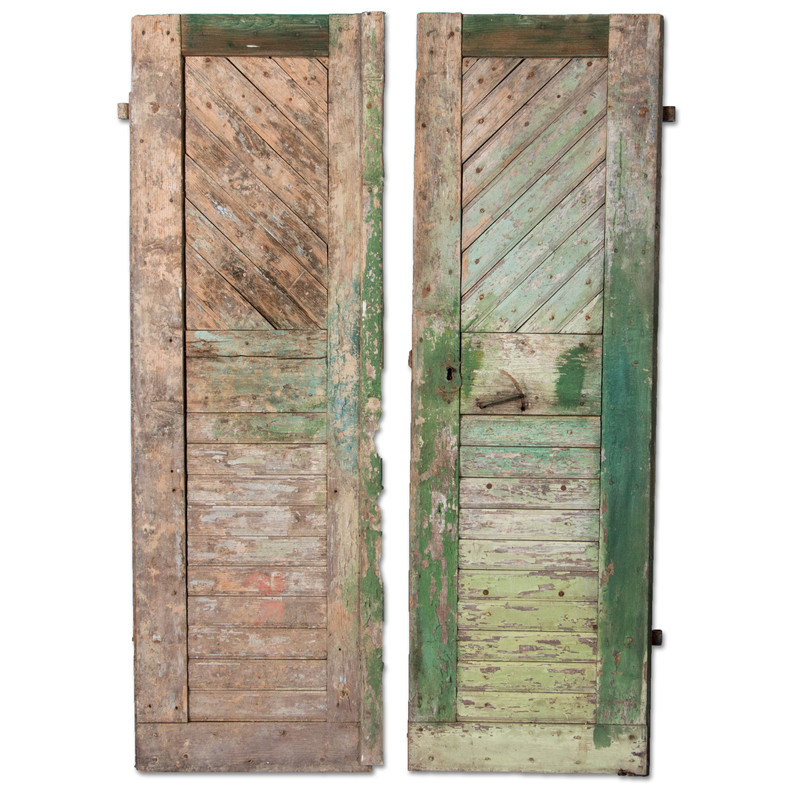 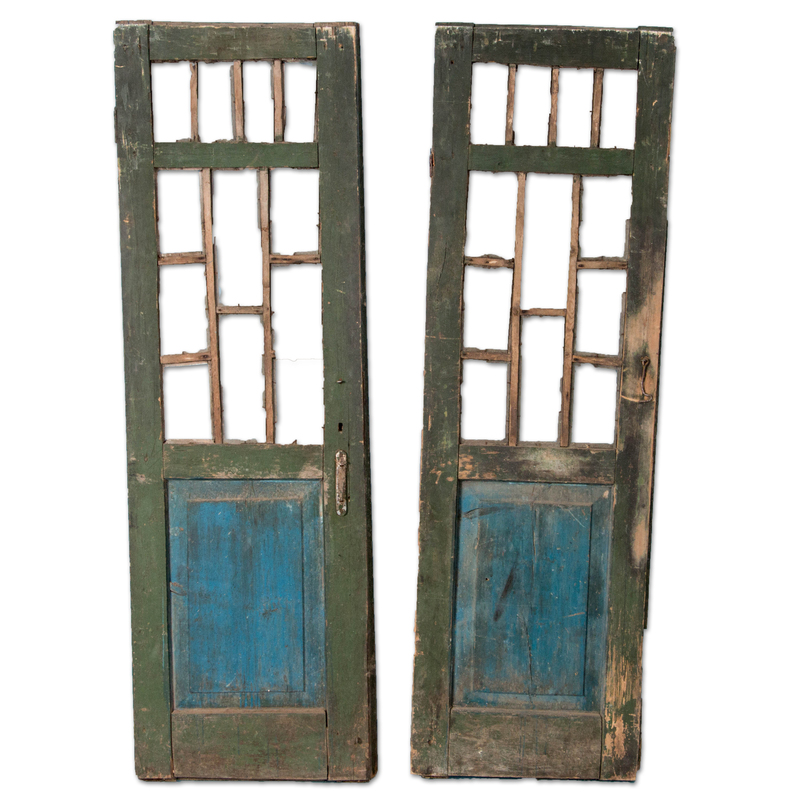 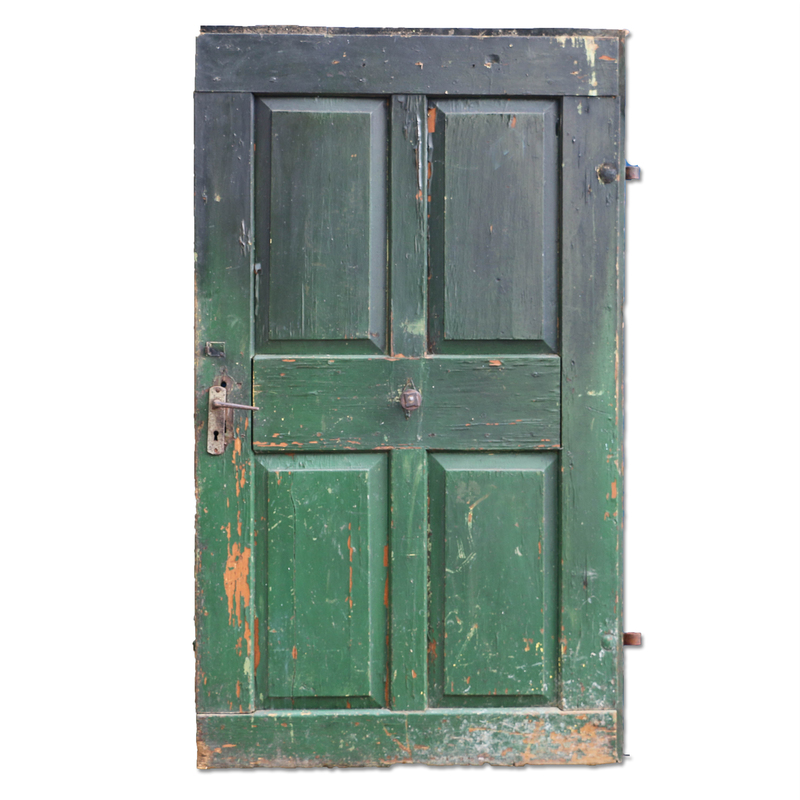 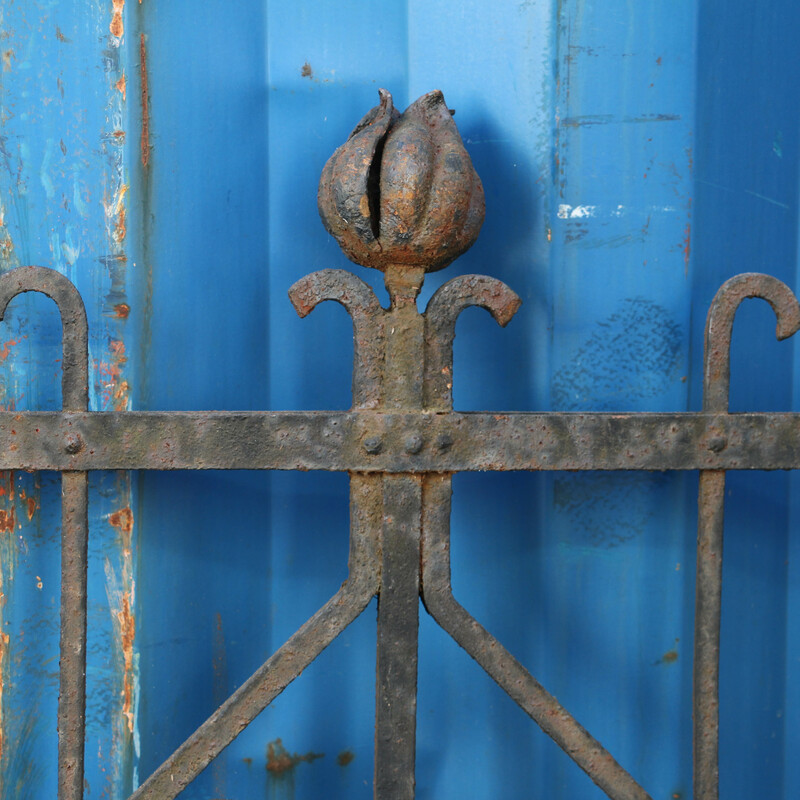 These weathered pine doors have remnants of old green paint along with the original wrought iron gate hinges. 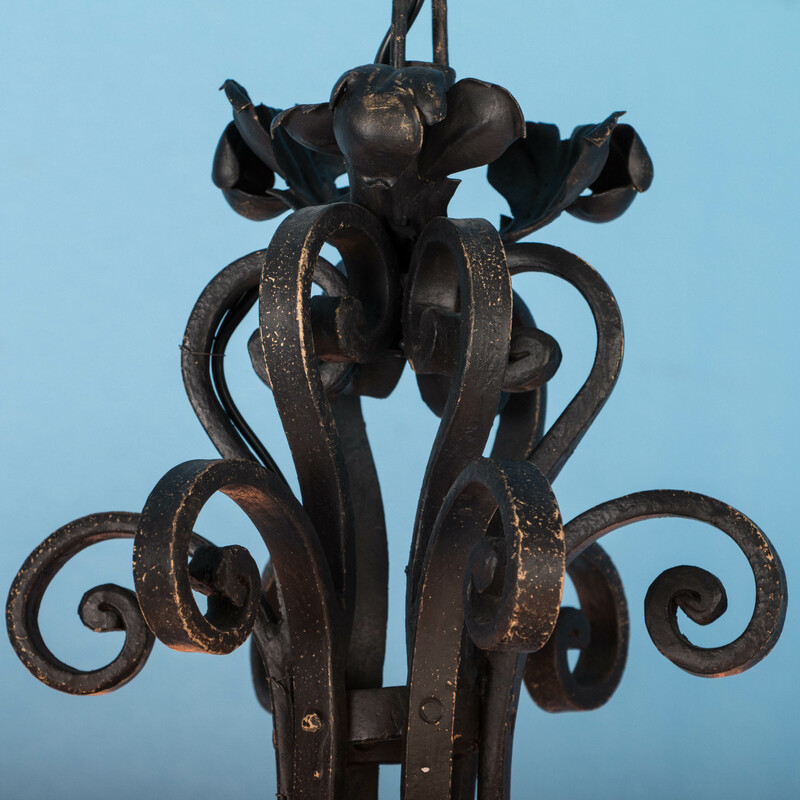 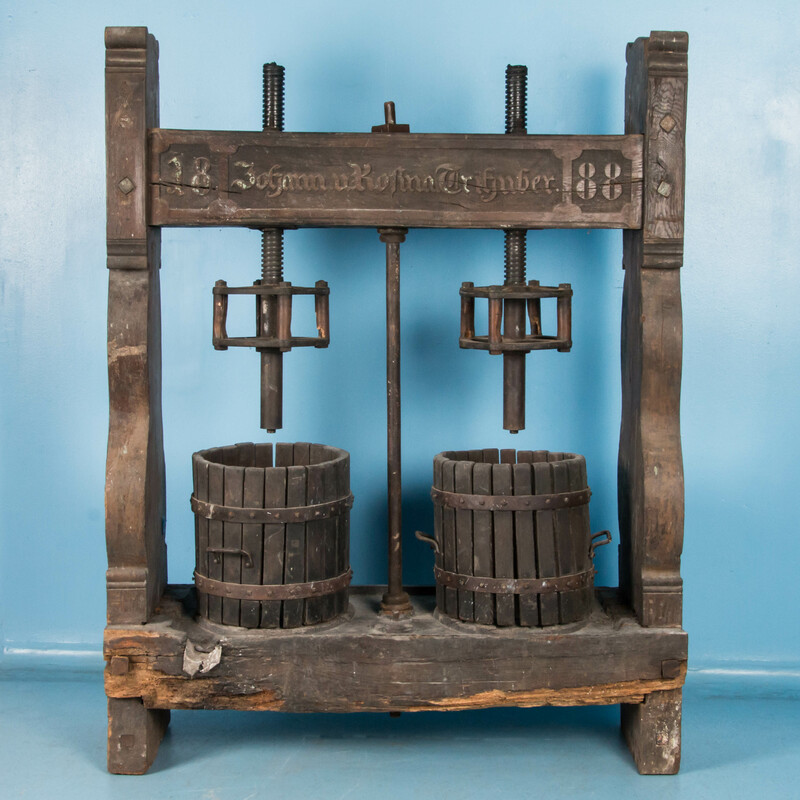 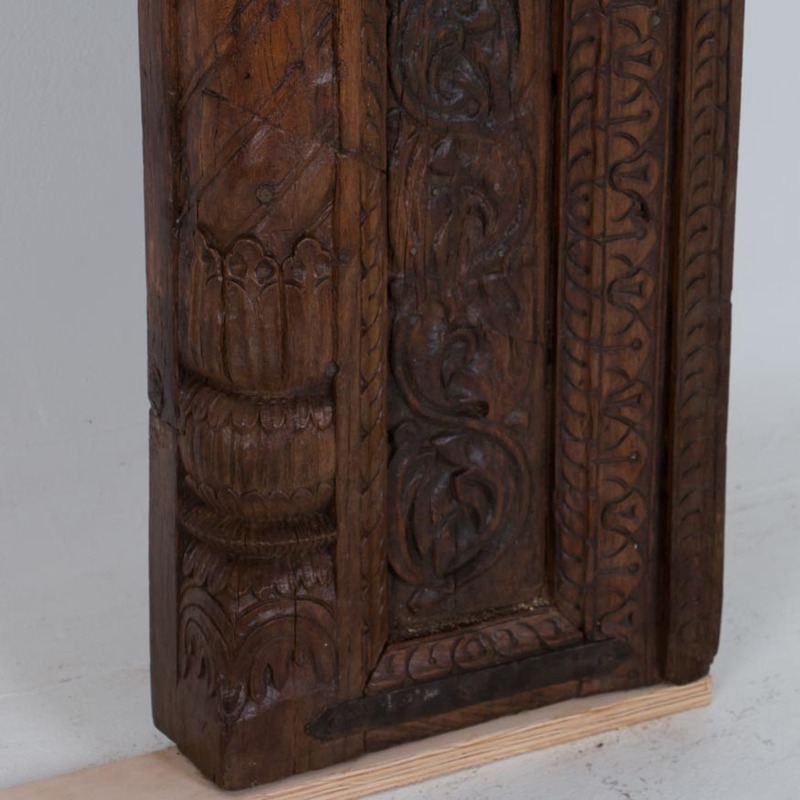 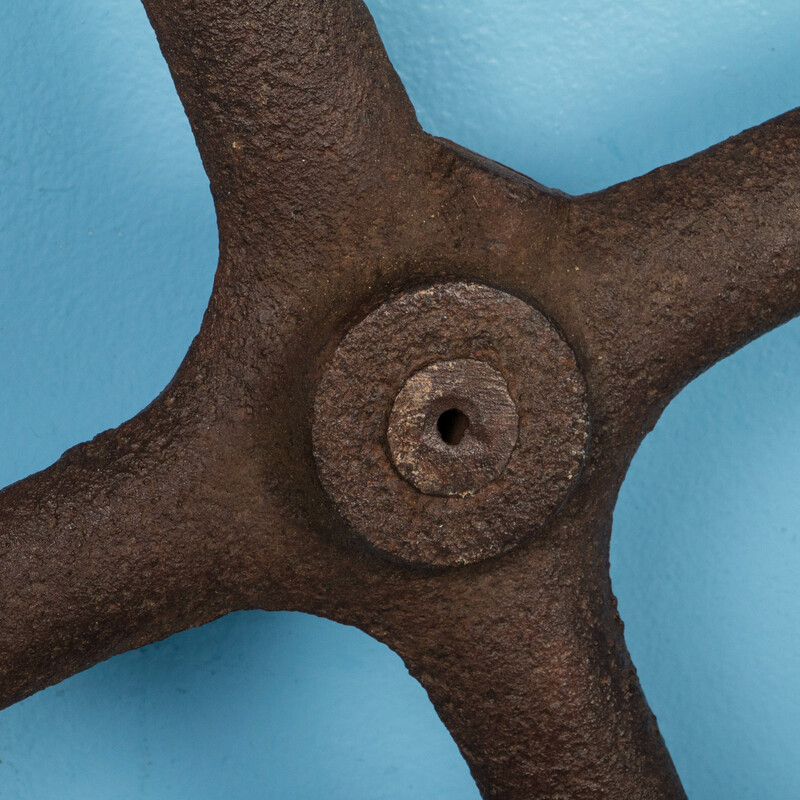 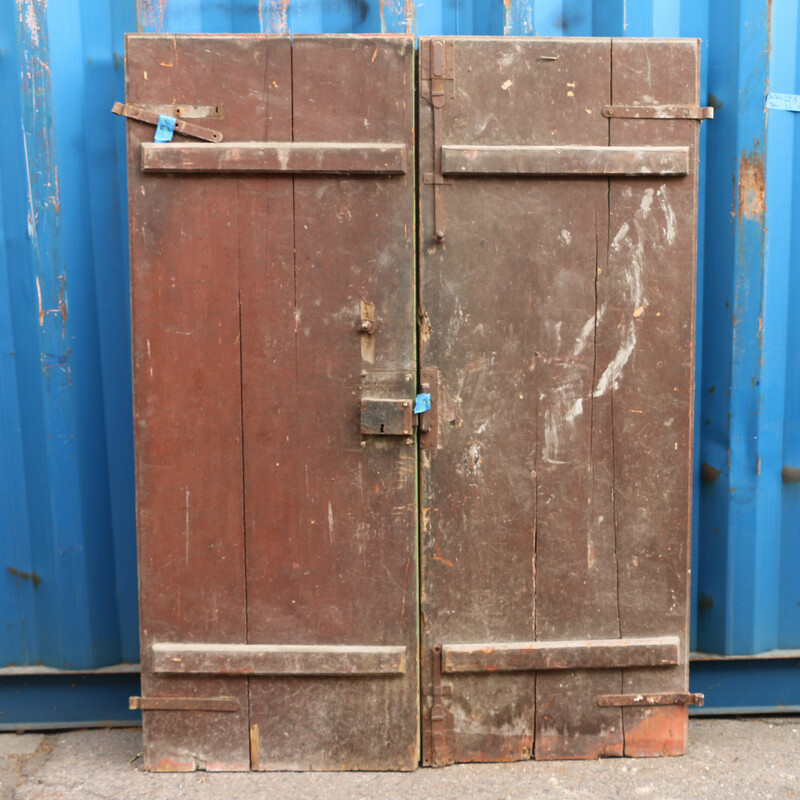 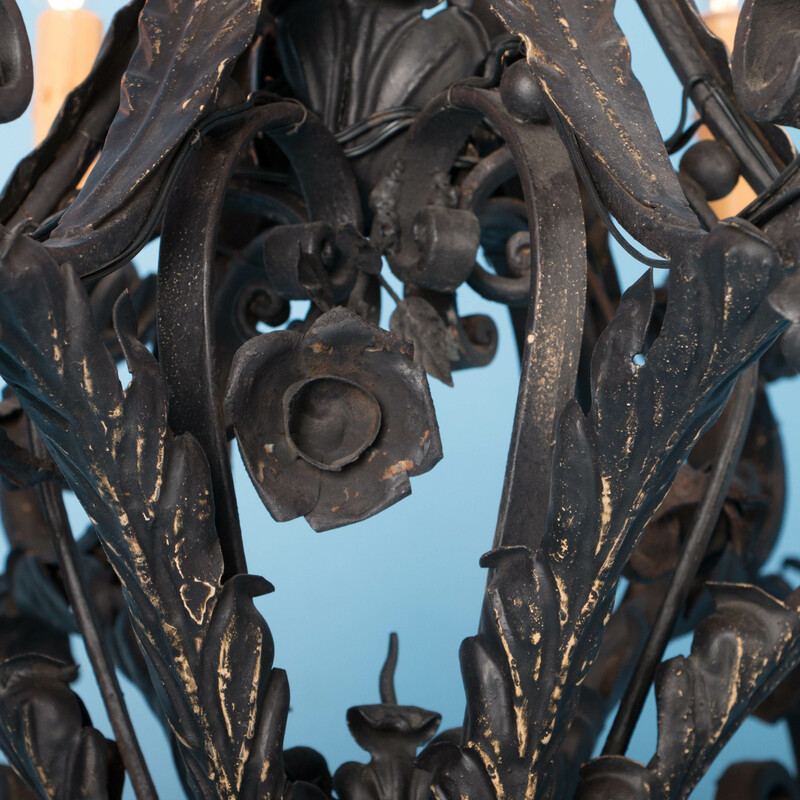 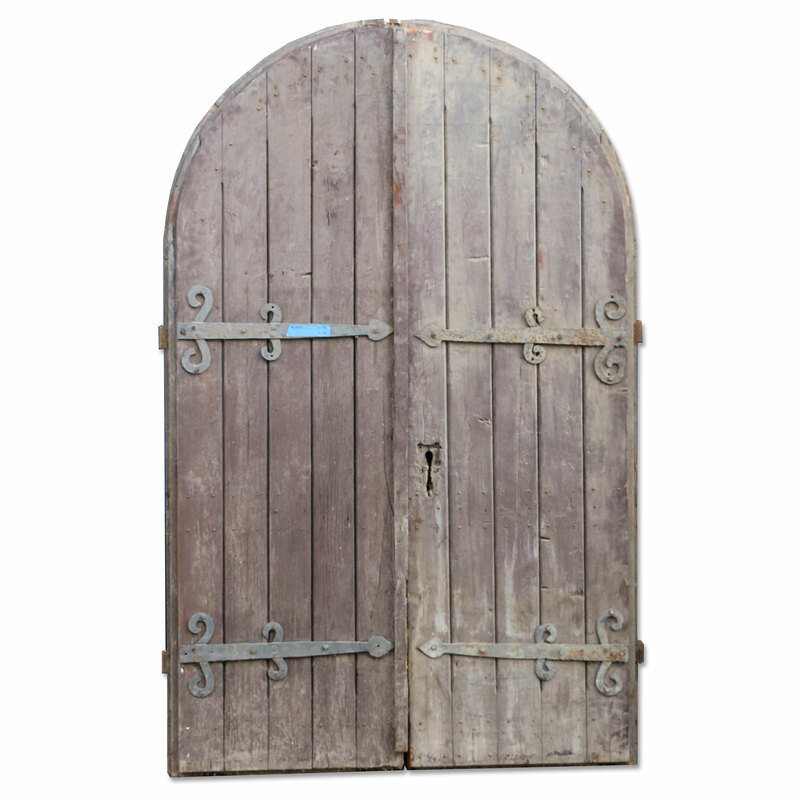 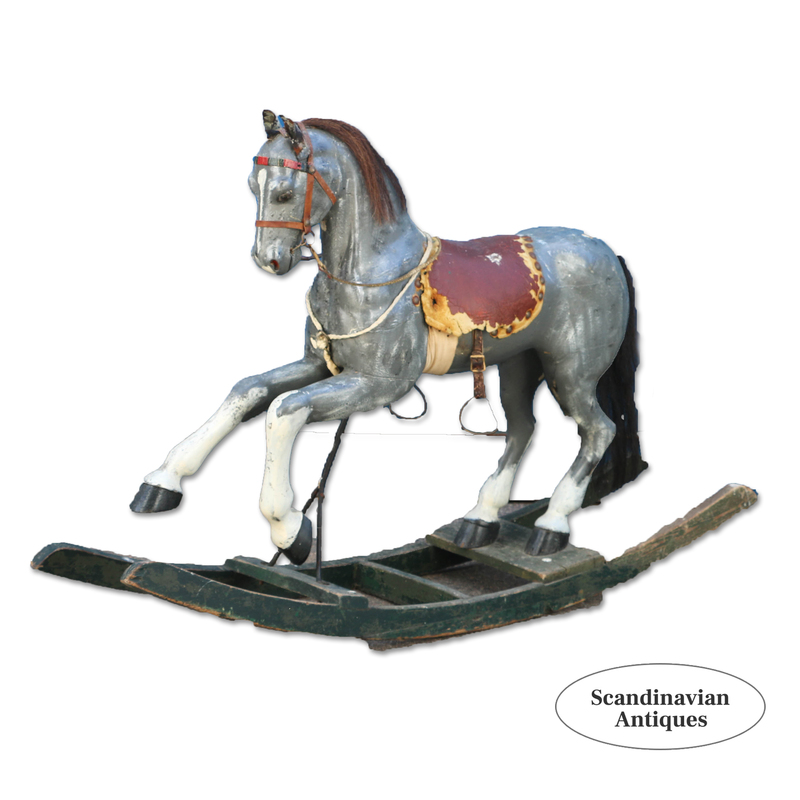 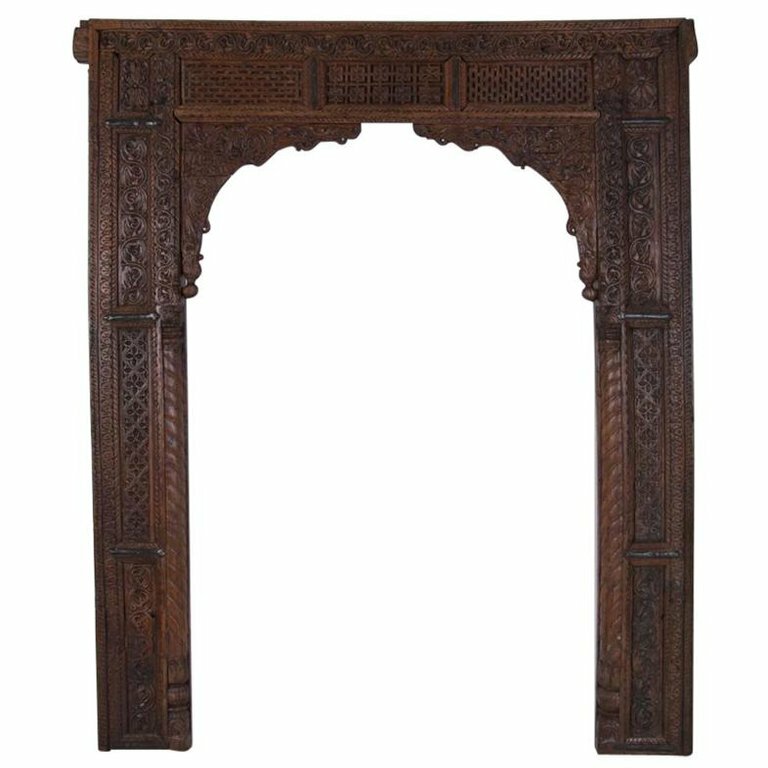 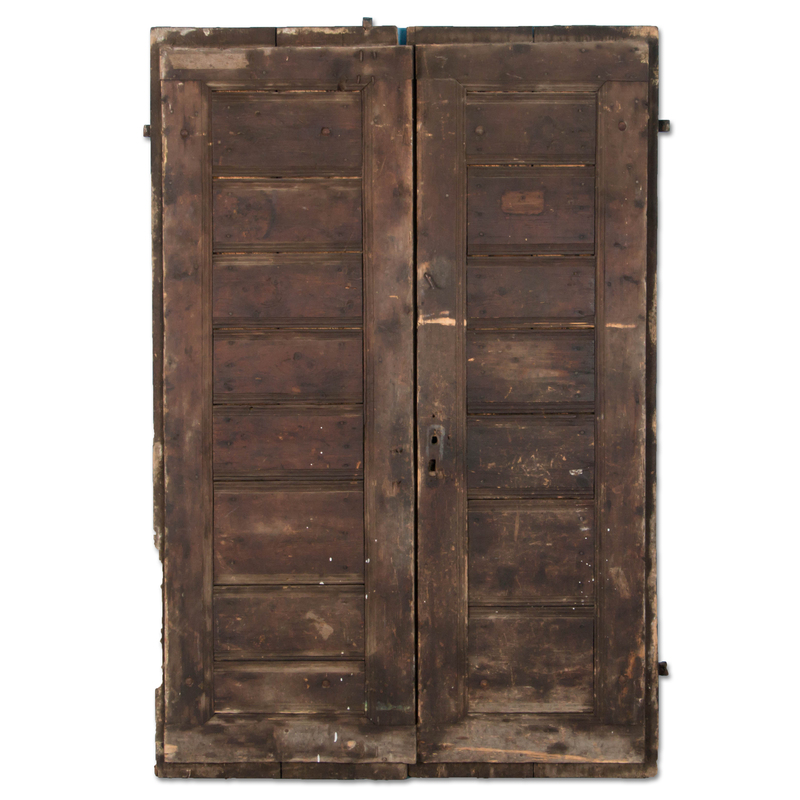 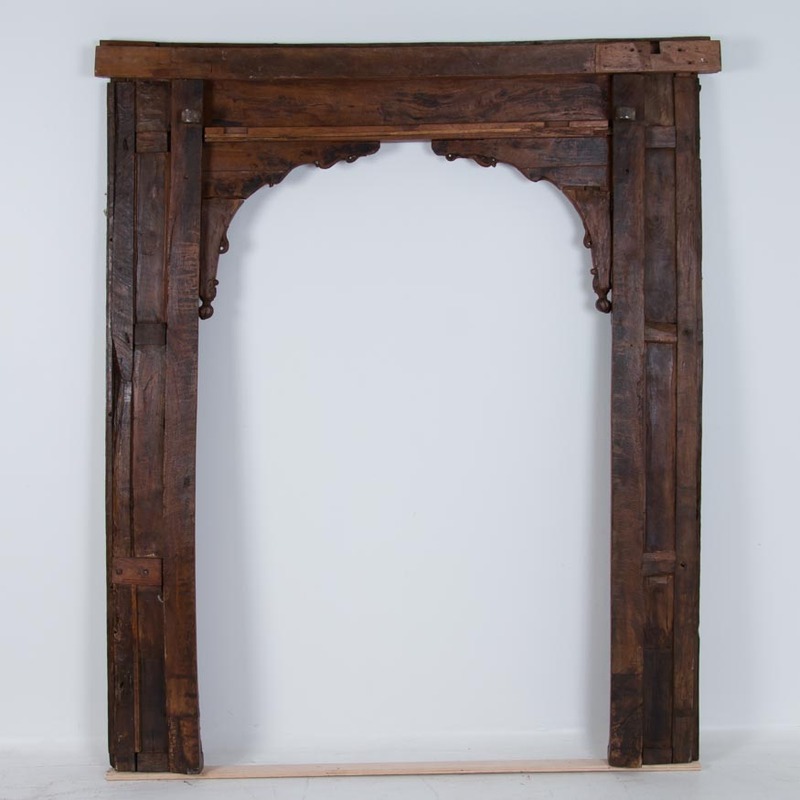 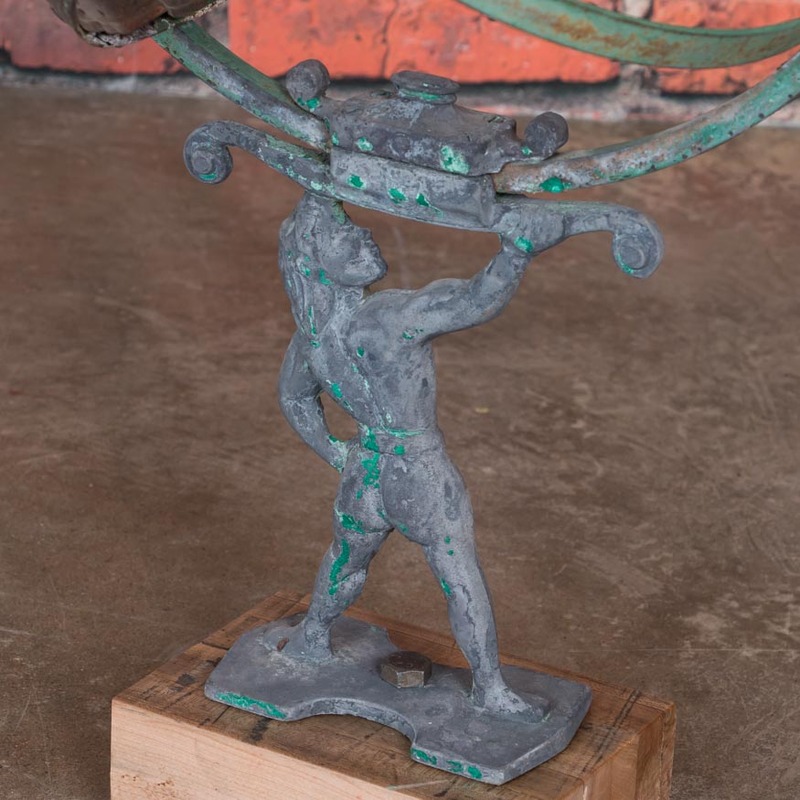 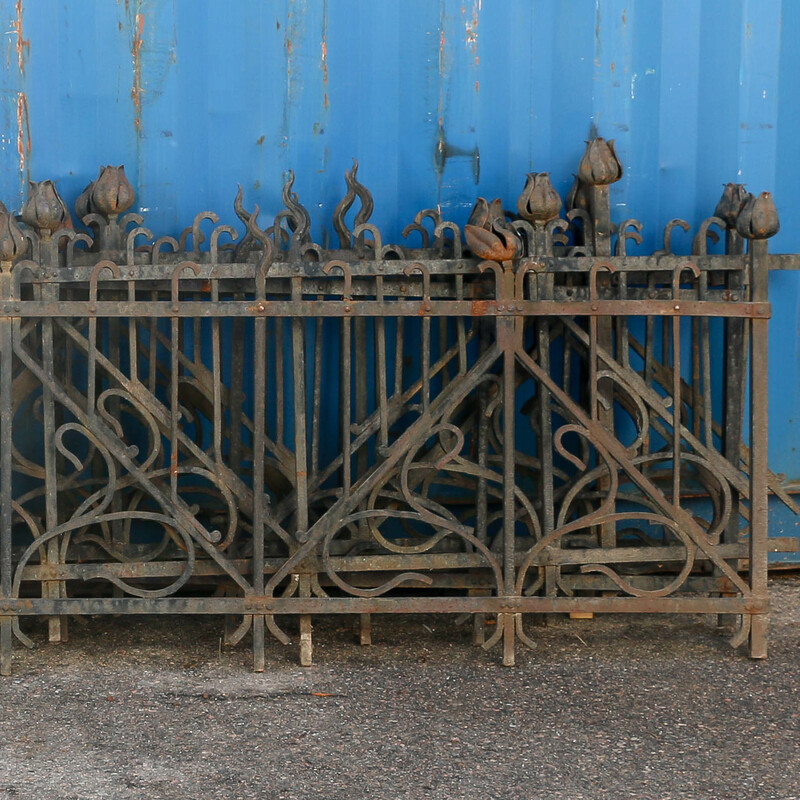 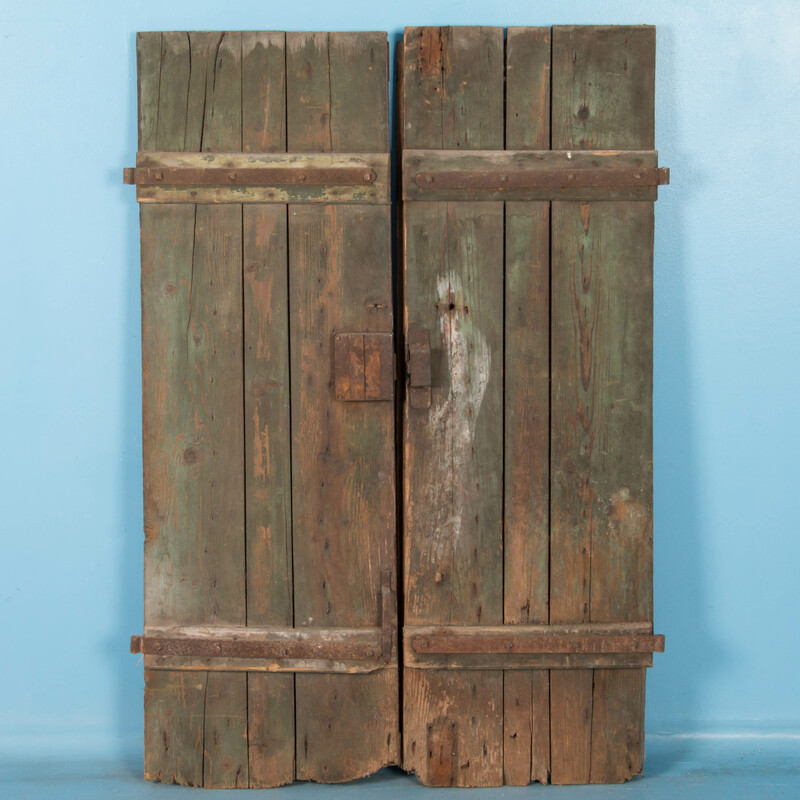 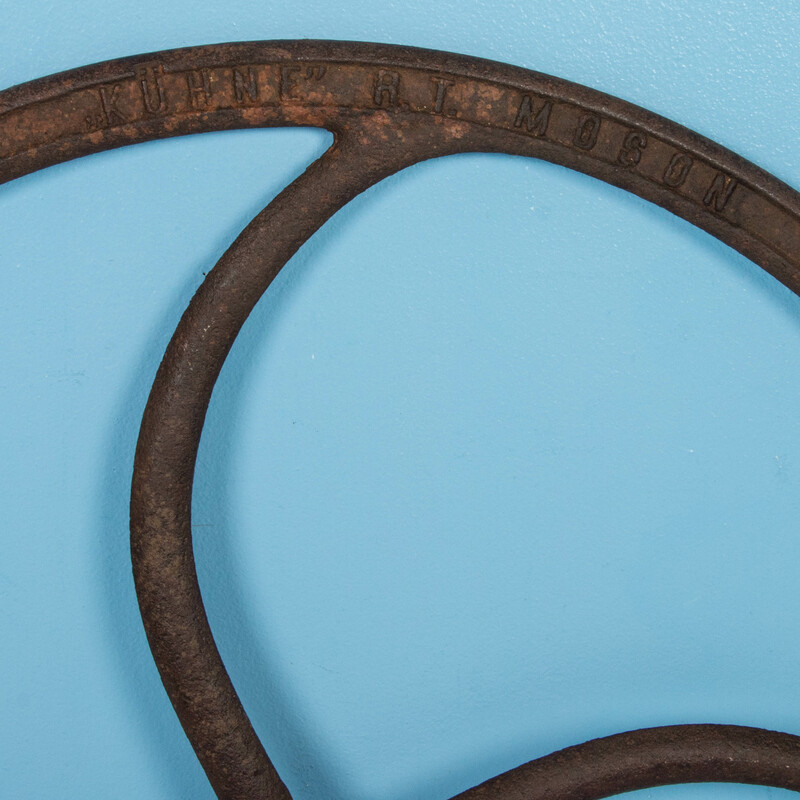 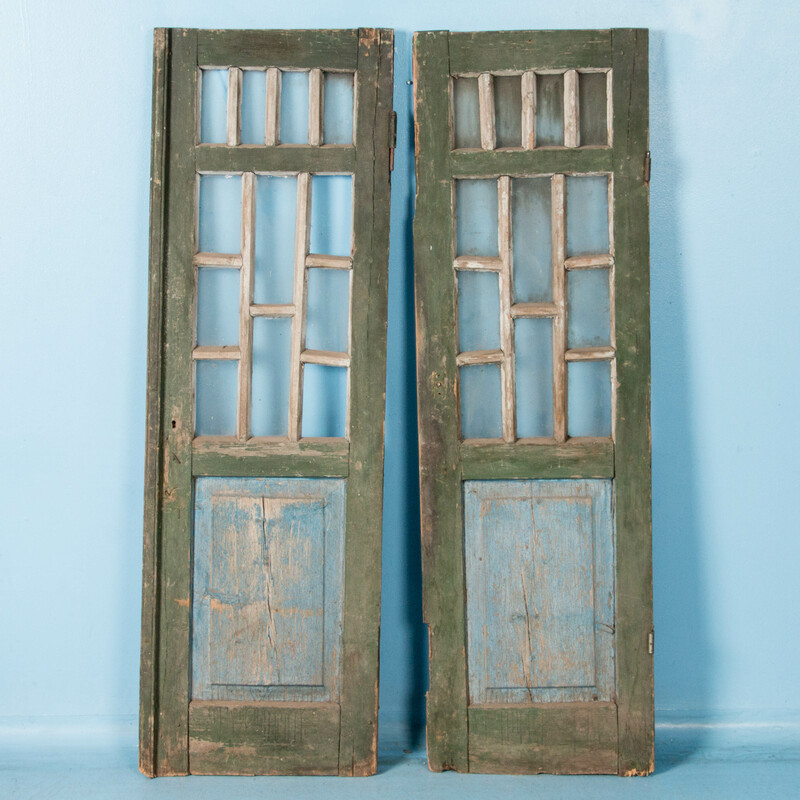 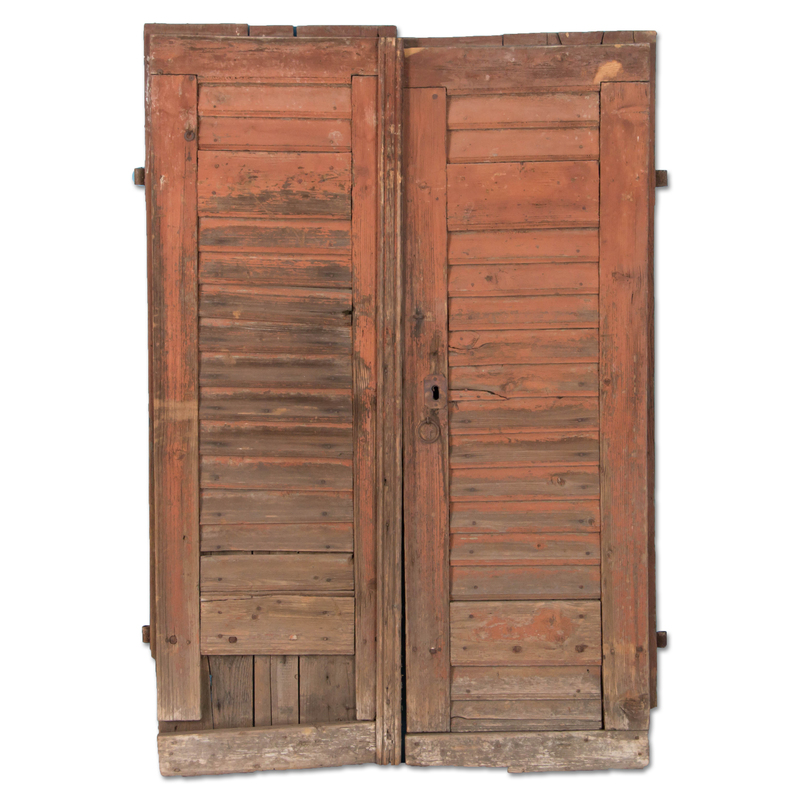 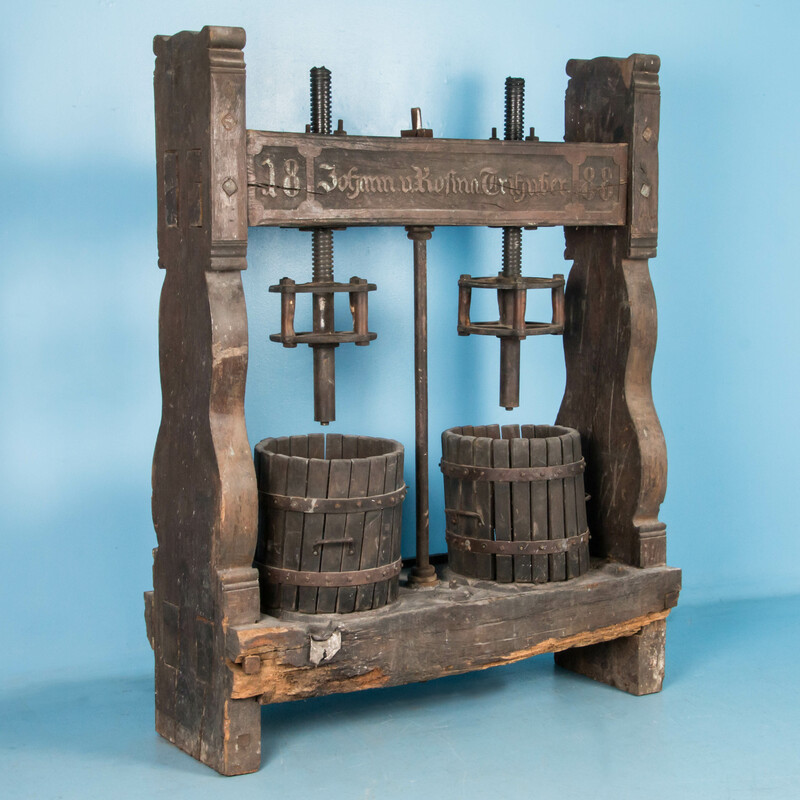 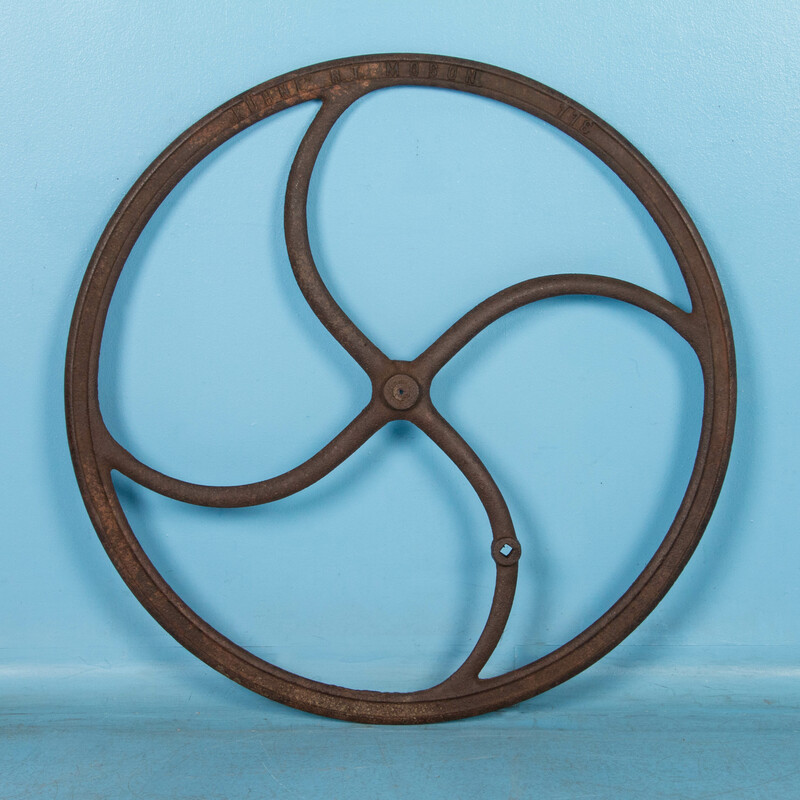 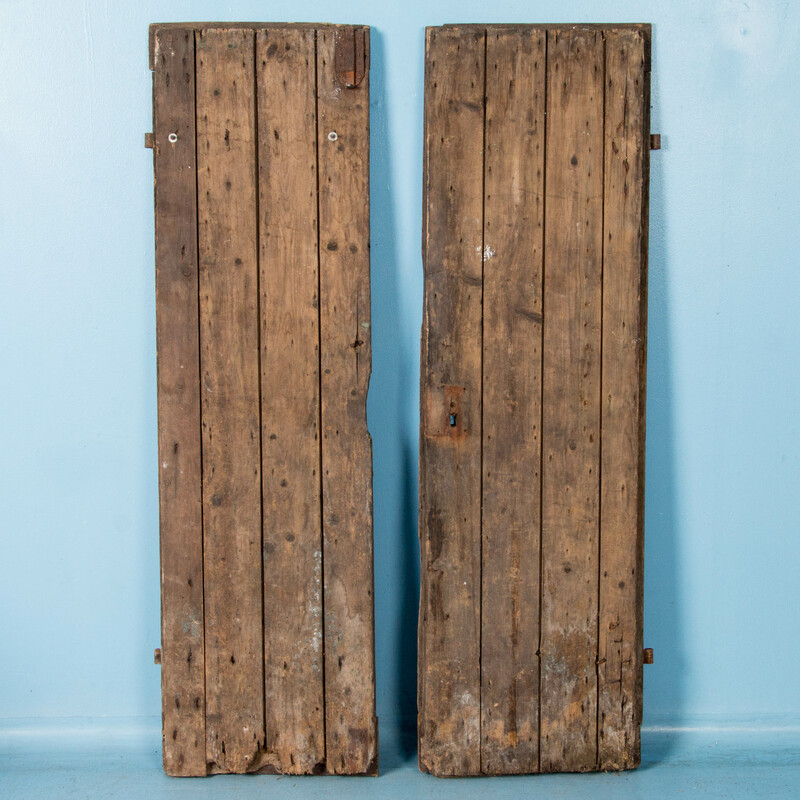 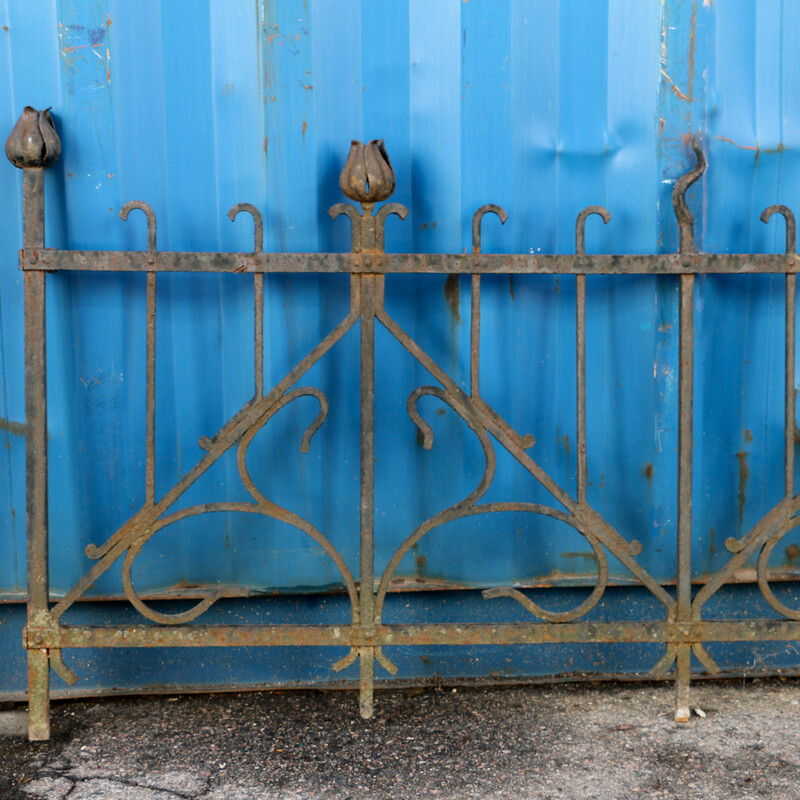 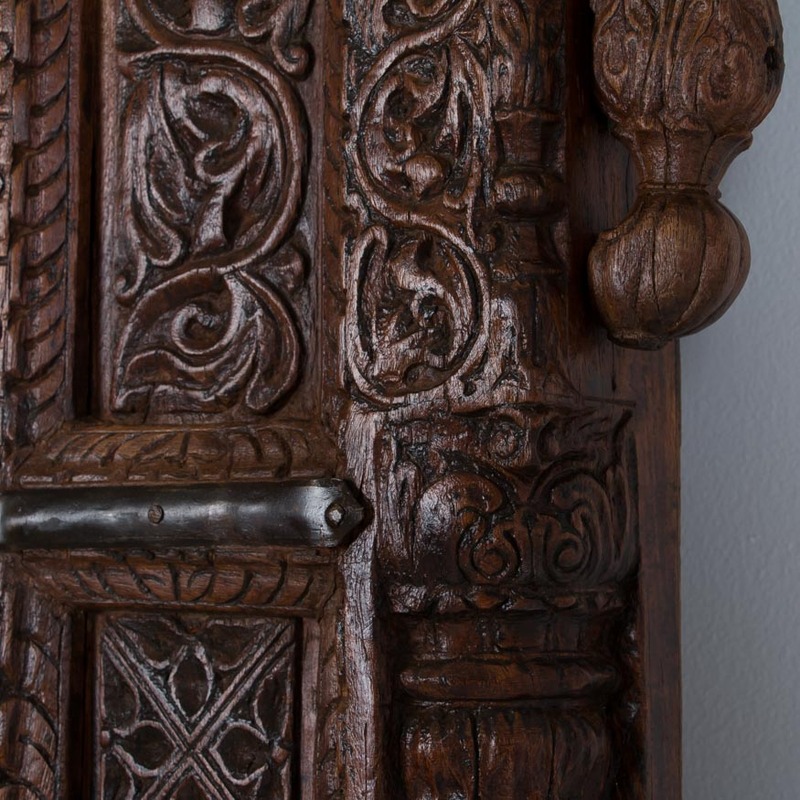 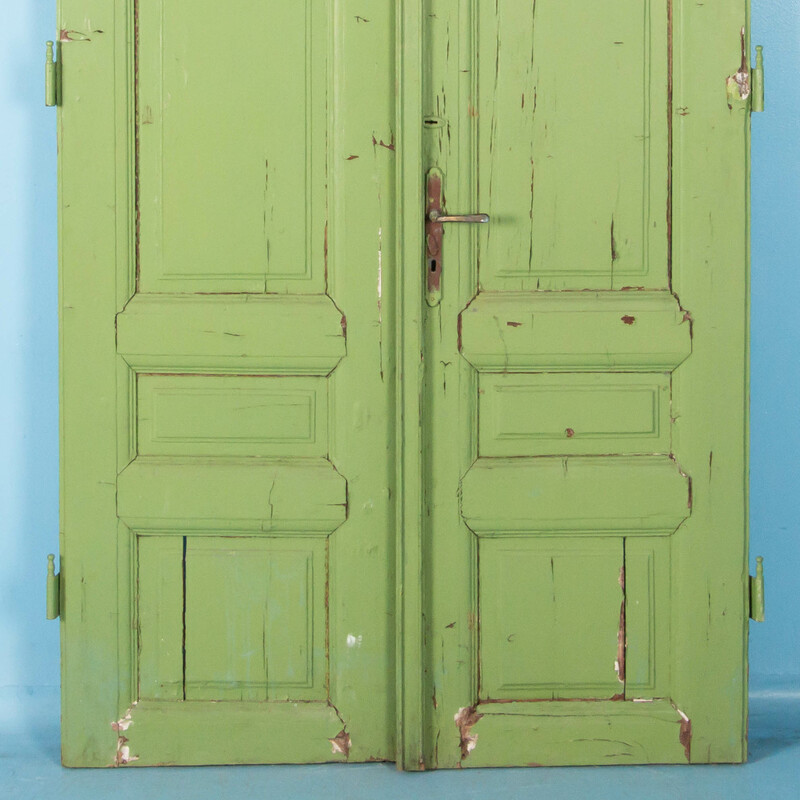 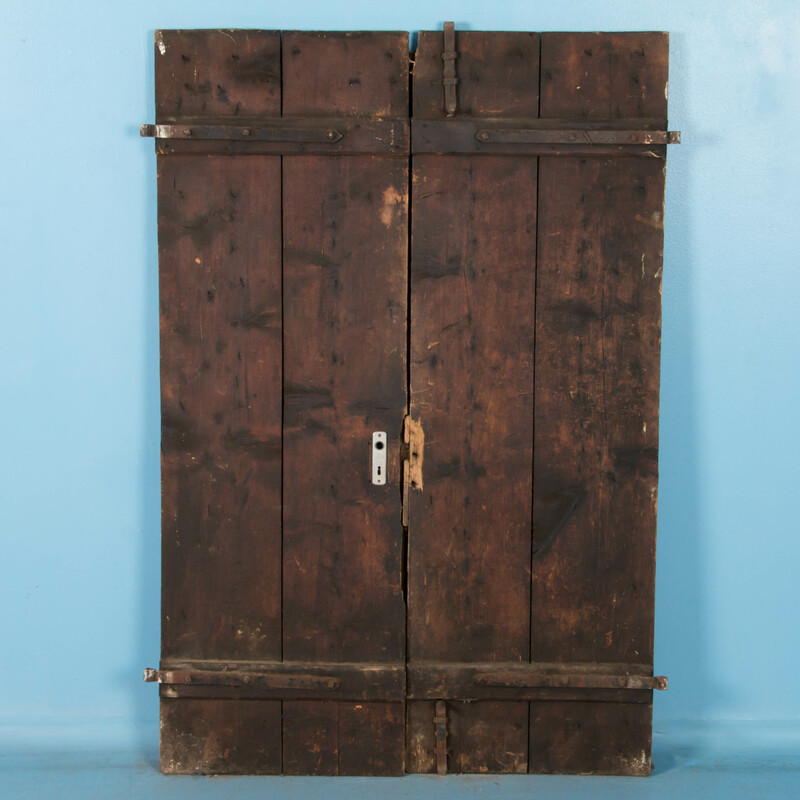 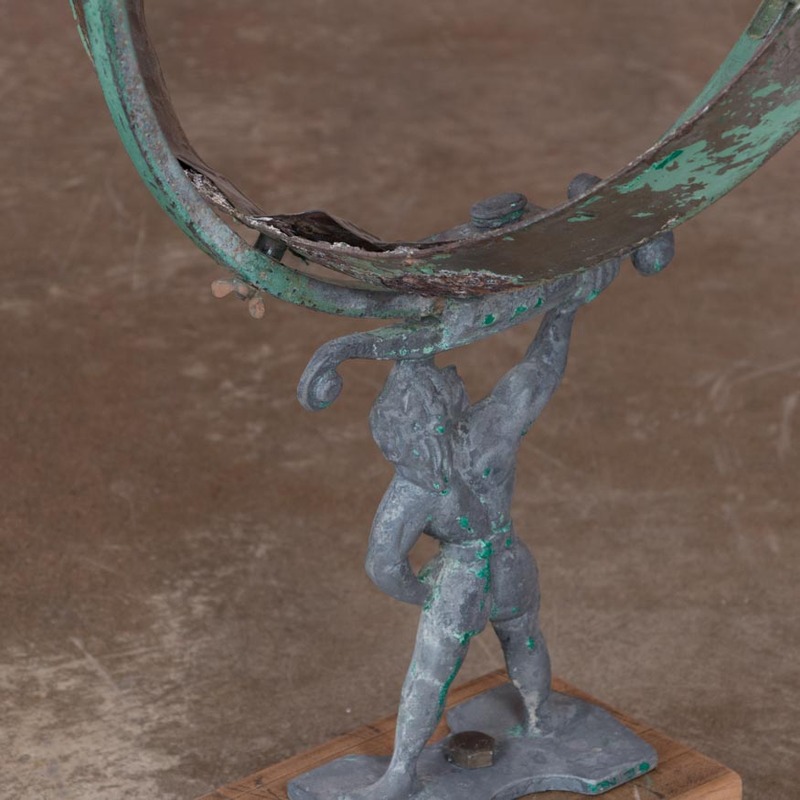 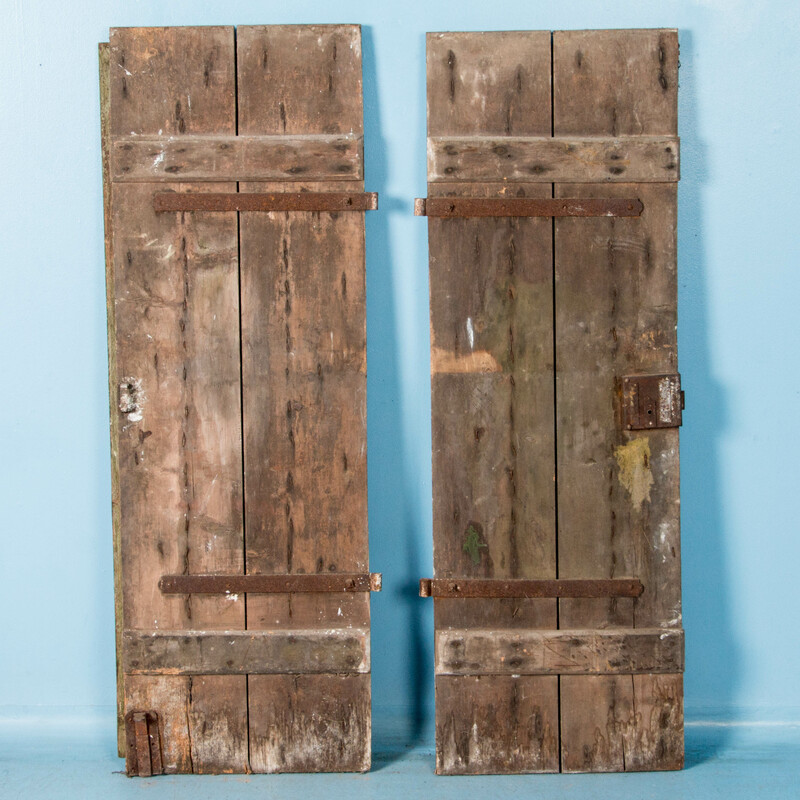 This pair of Swedish antique doors are heavy and broad - each one consisting of four raised panels and still retain the original iron hardware as well. 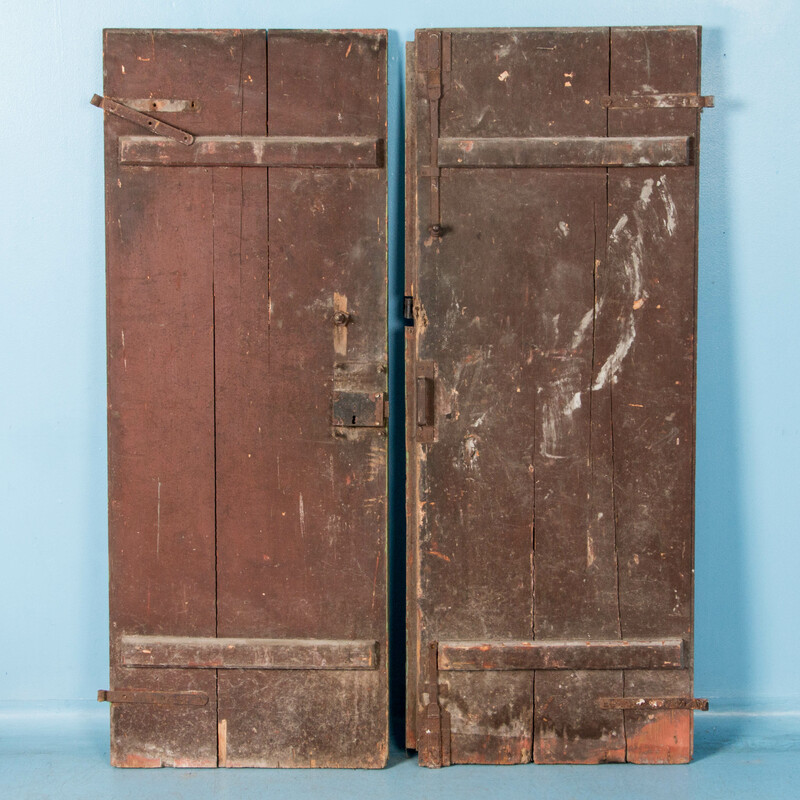 These two doors colored a dark walnut, have the original iron strap hinges with a ship lap pattern on the front and plain flat boards on the back. 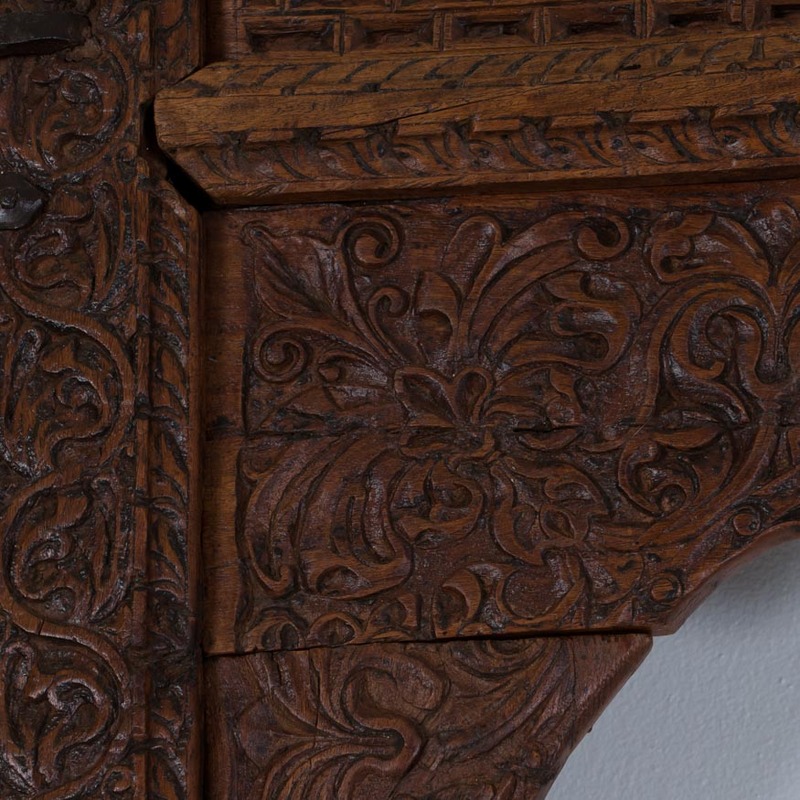 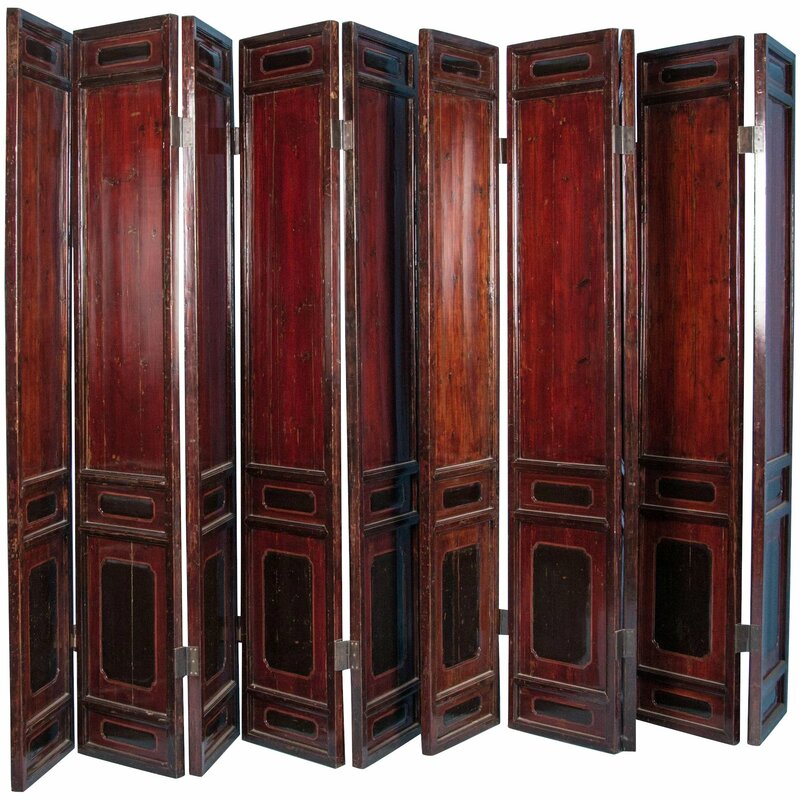 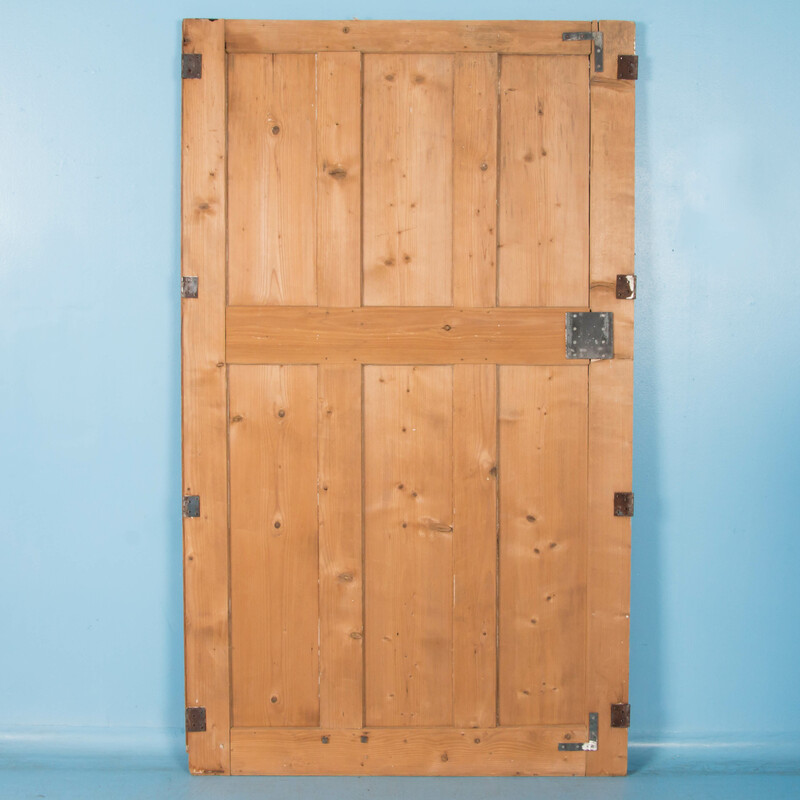 These pine doors each have three raised panels, with the original latch and hinges. 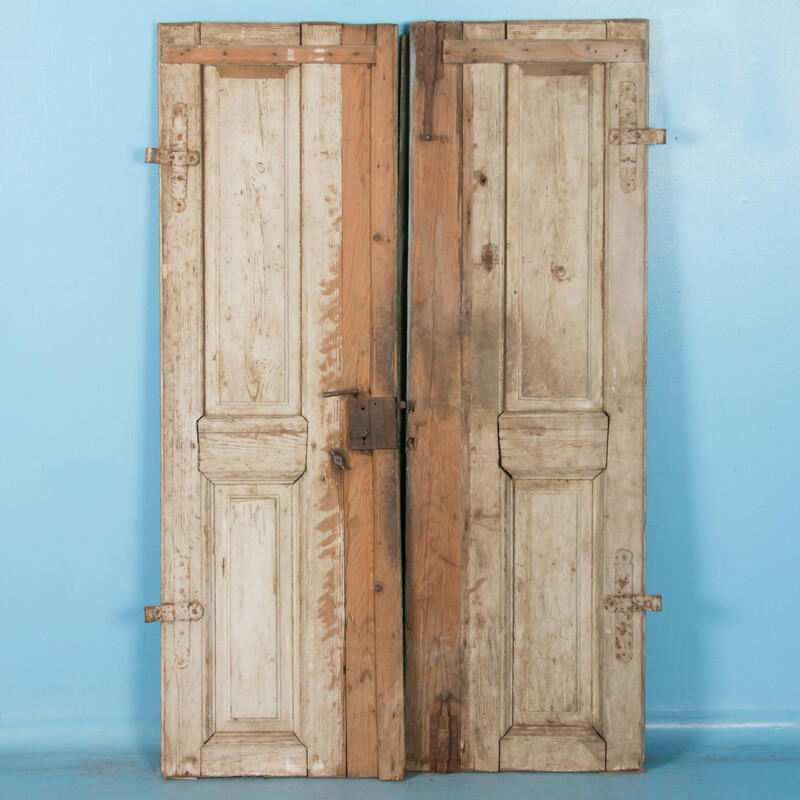 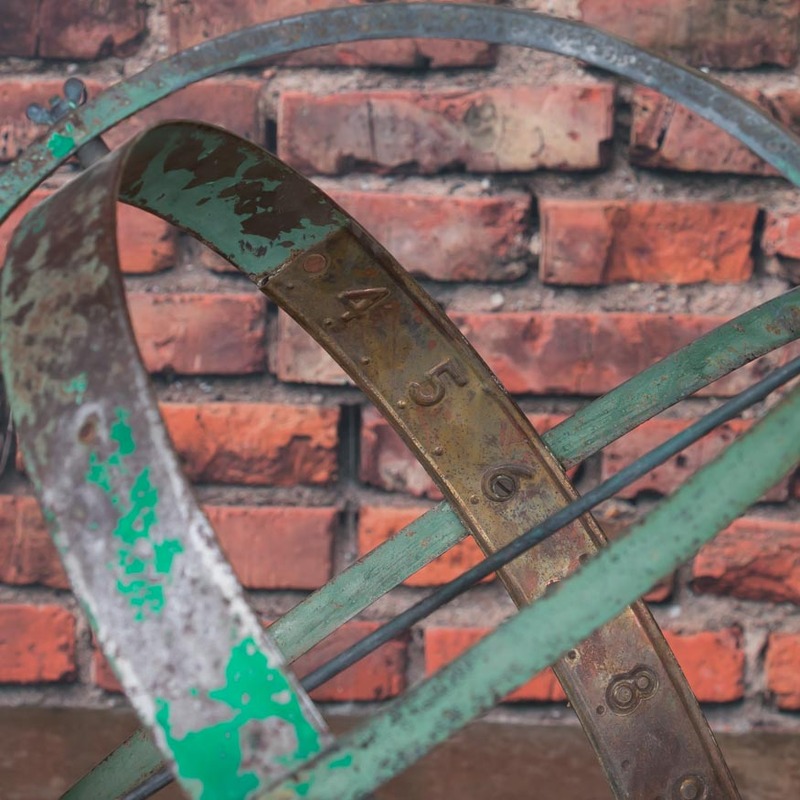 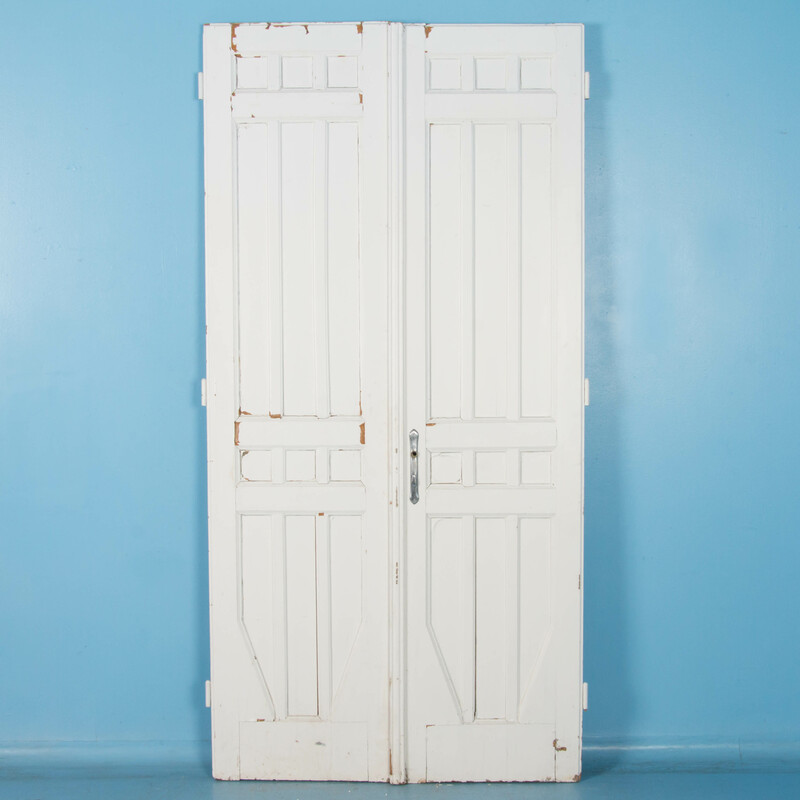 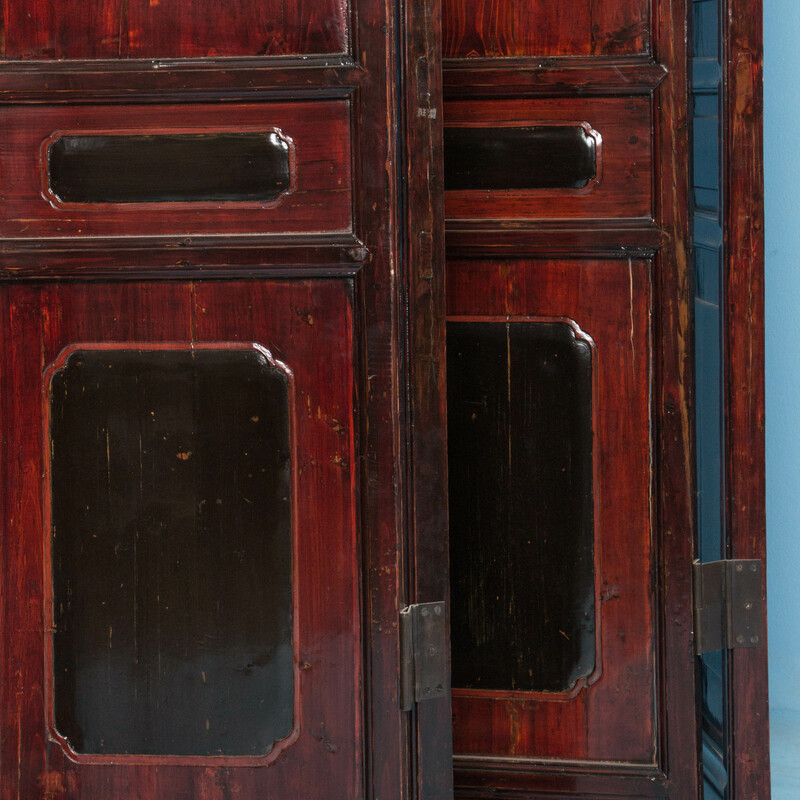 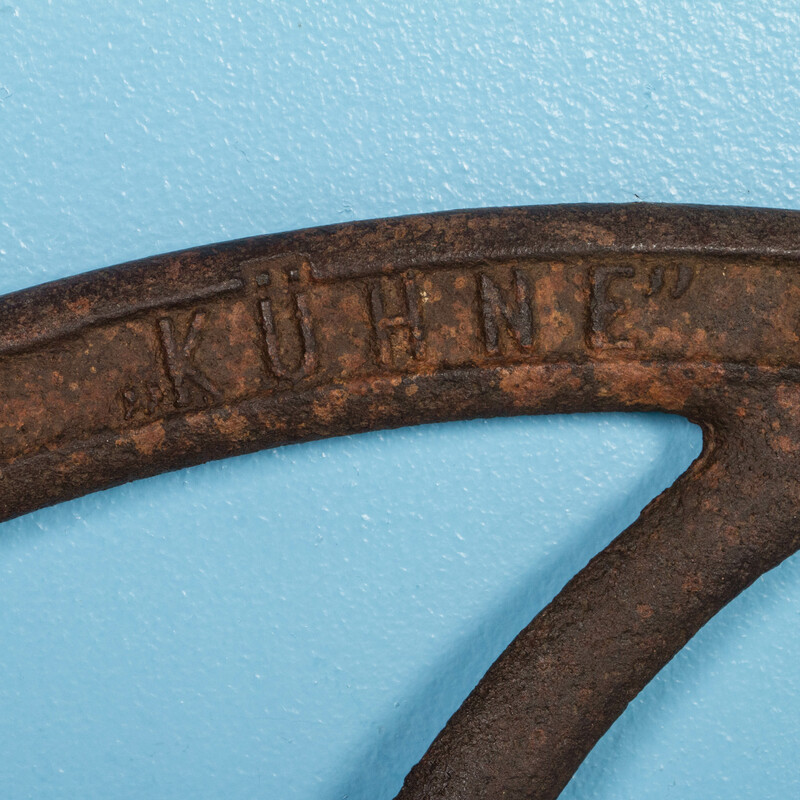 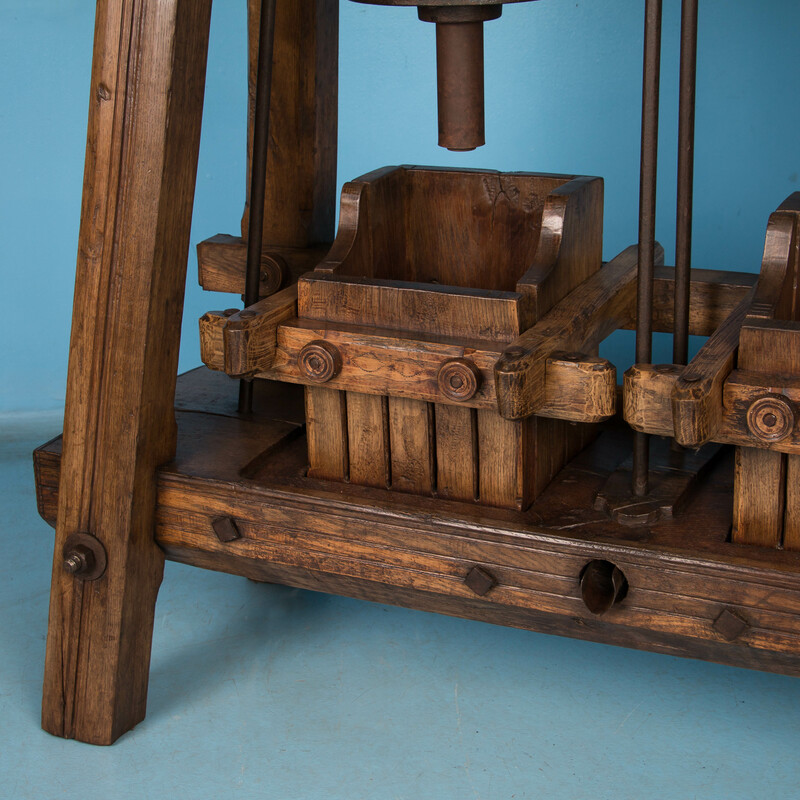 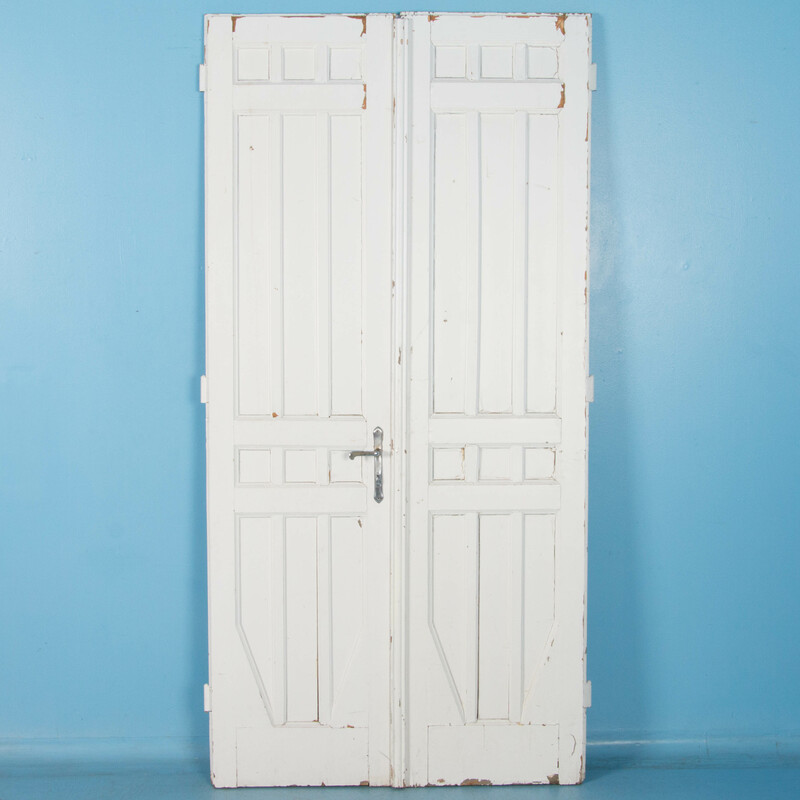 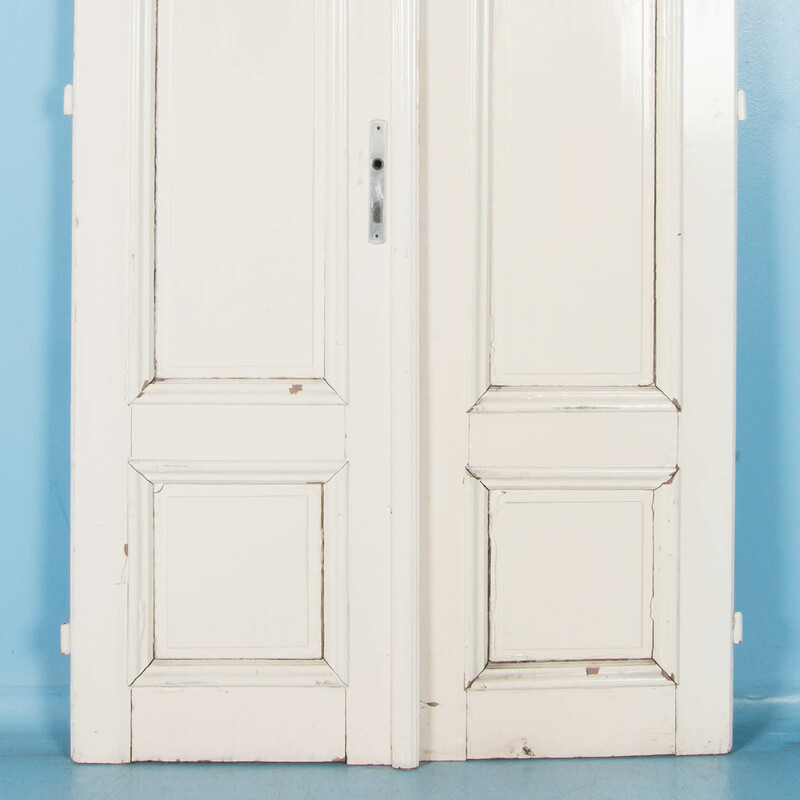 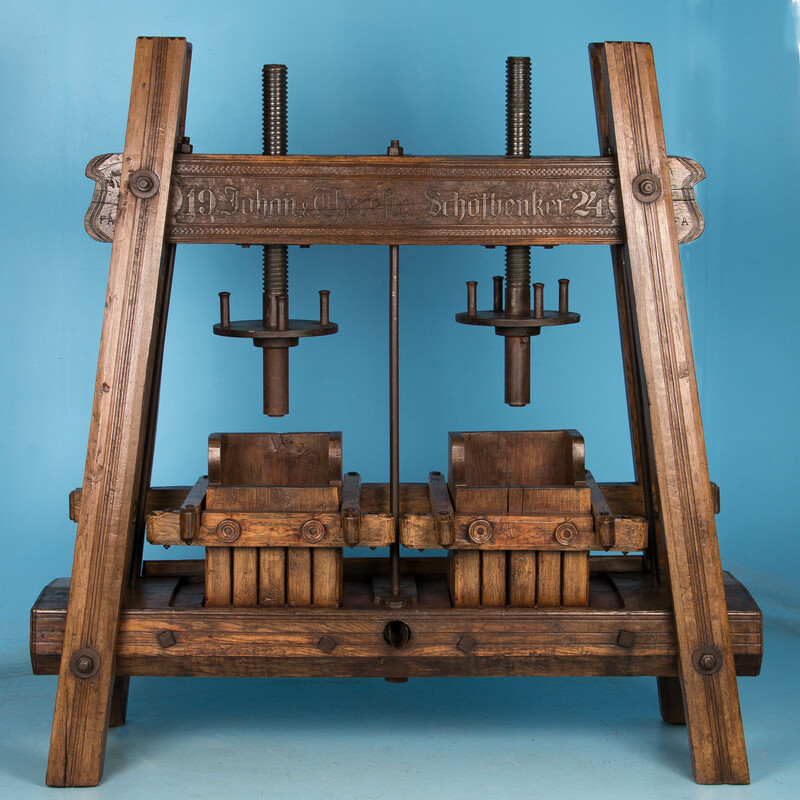 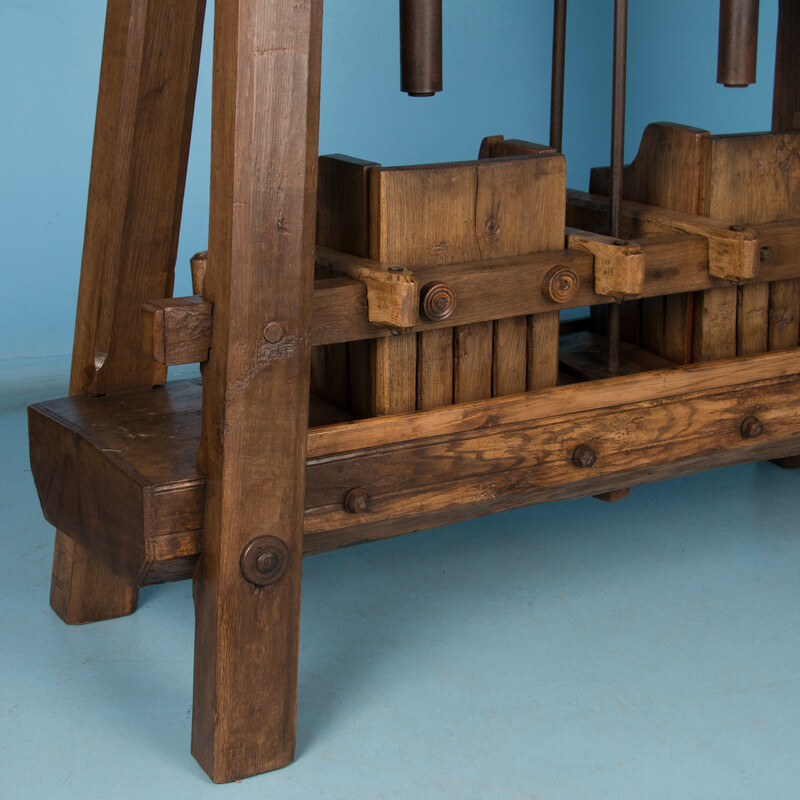 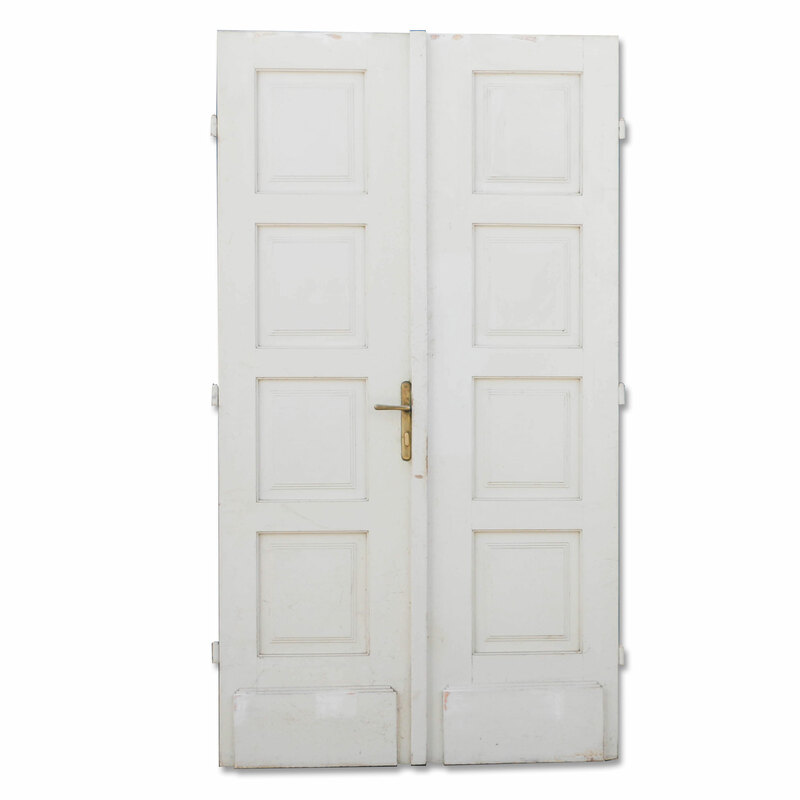 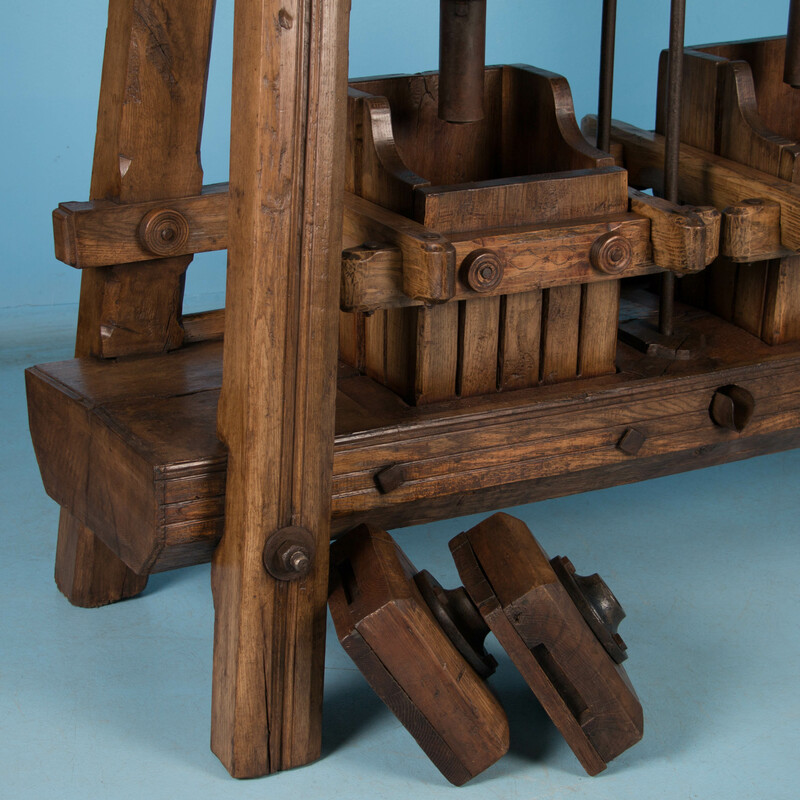 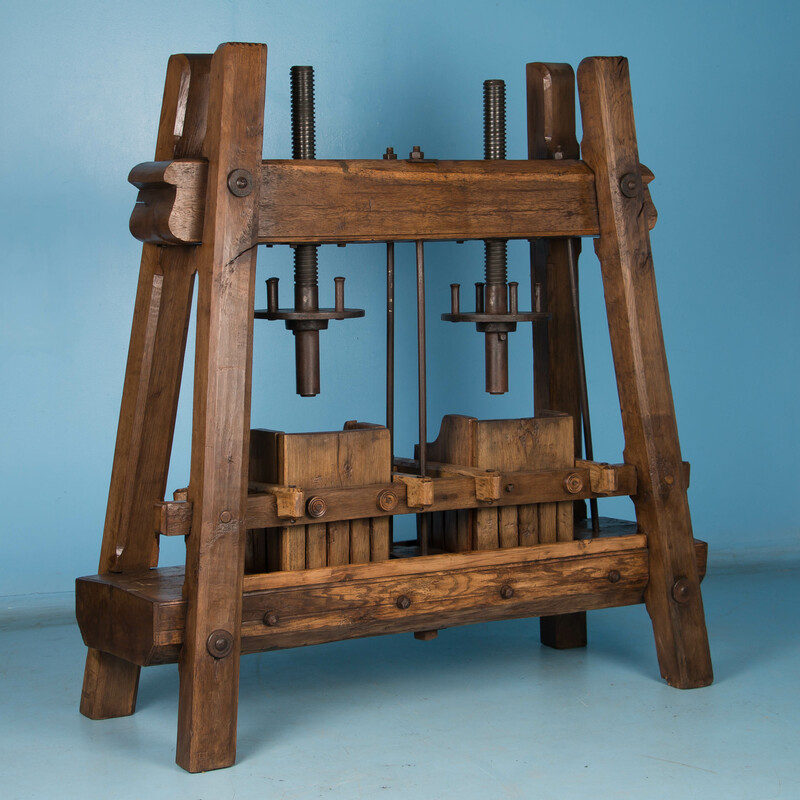 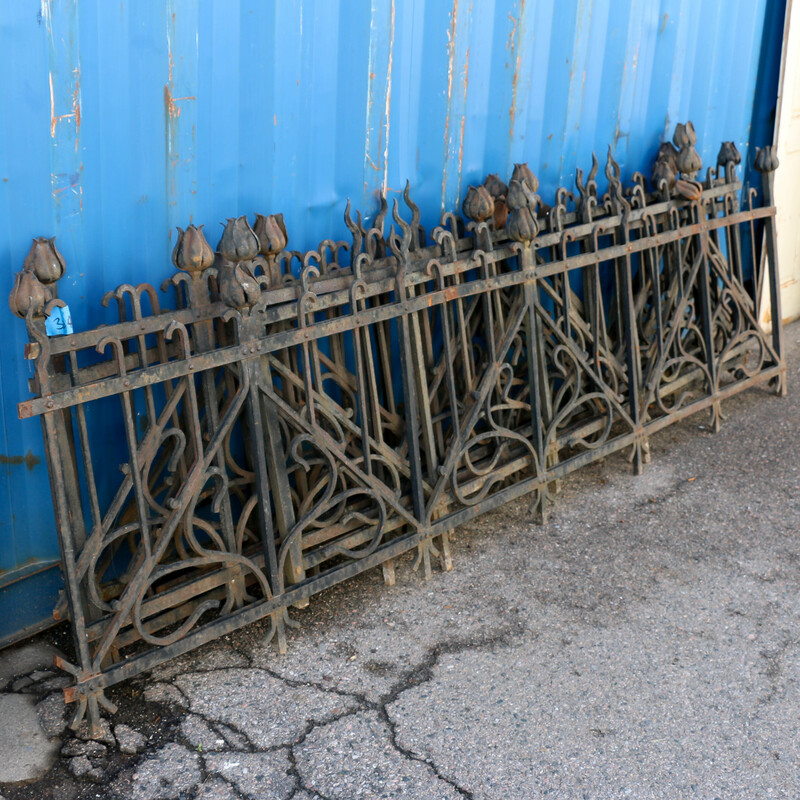 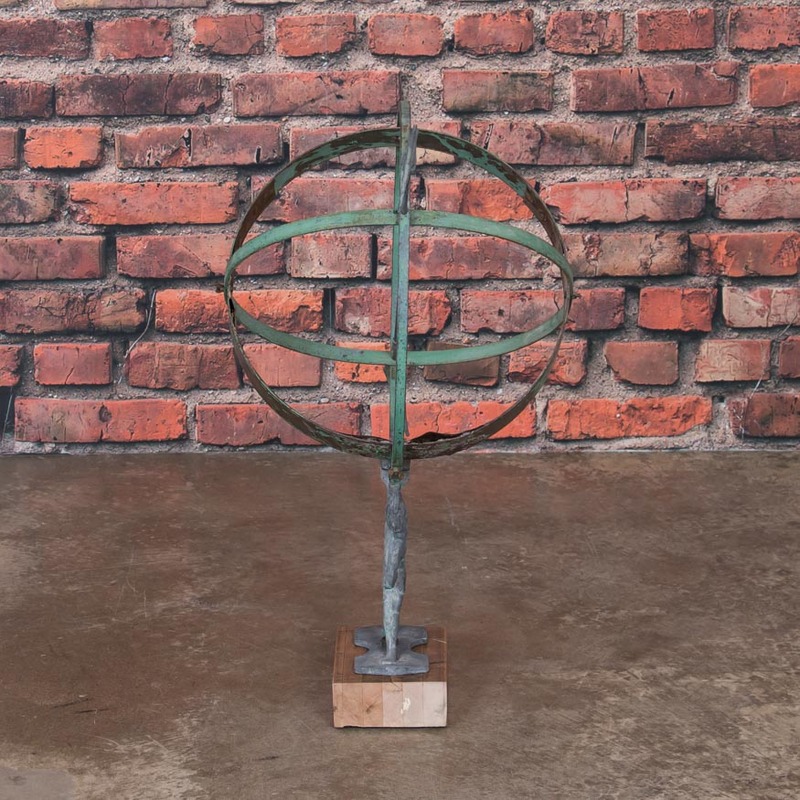 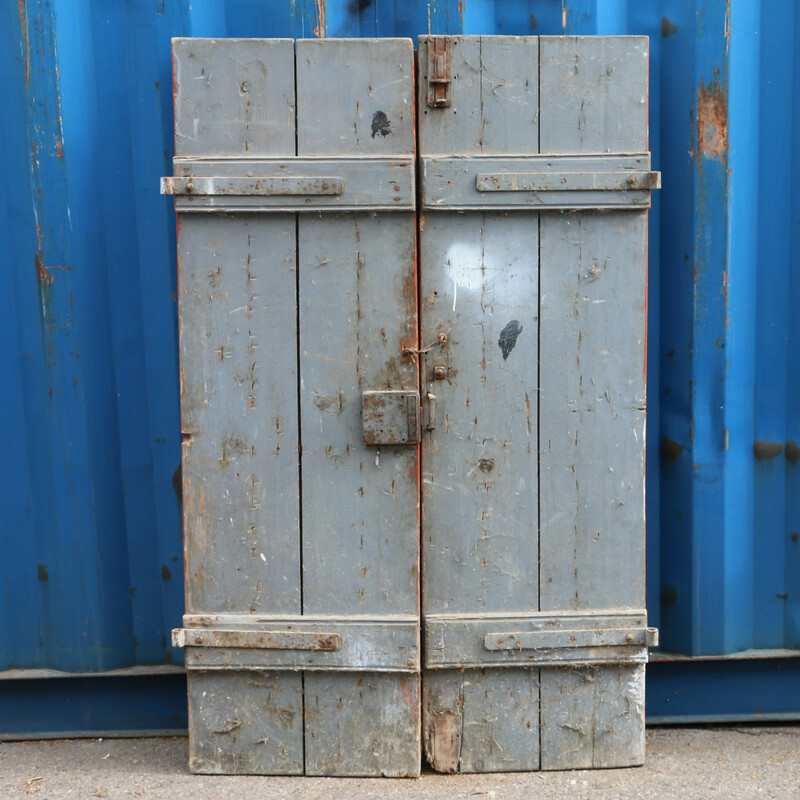 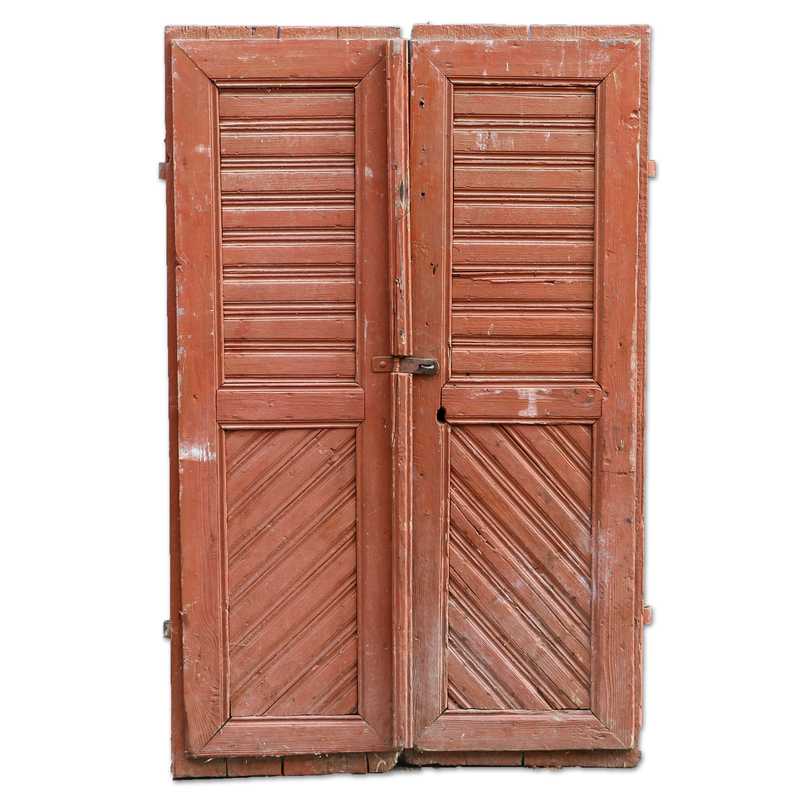 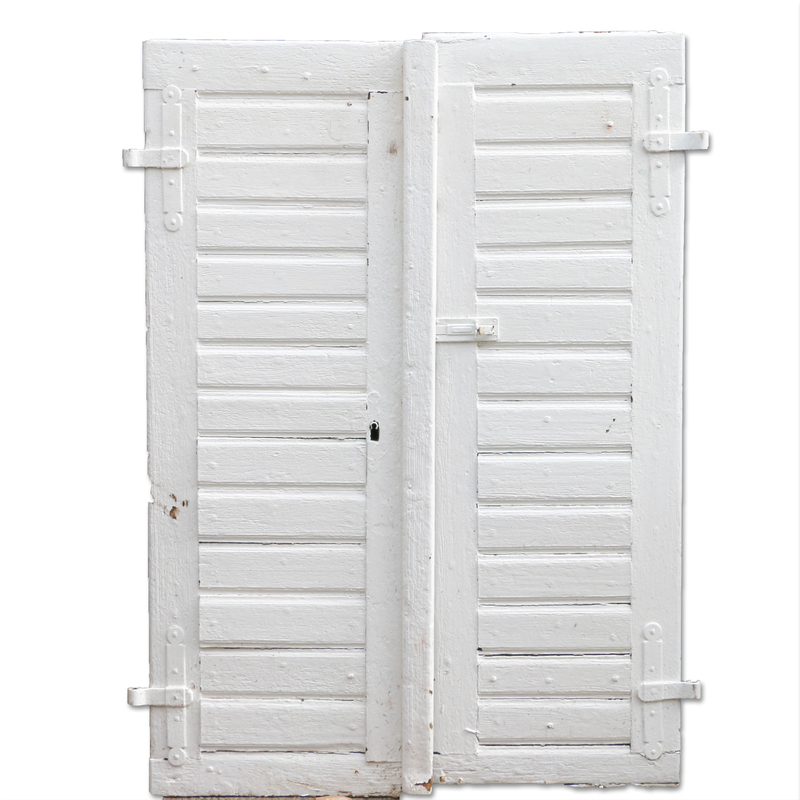 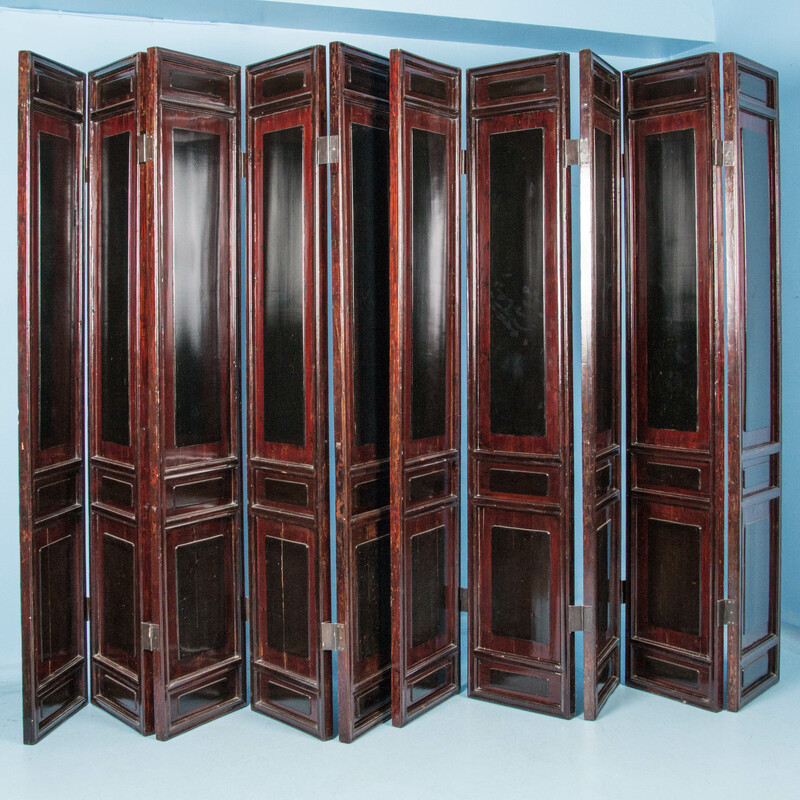 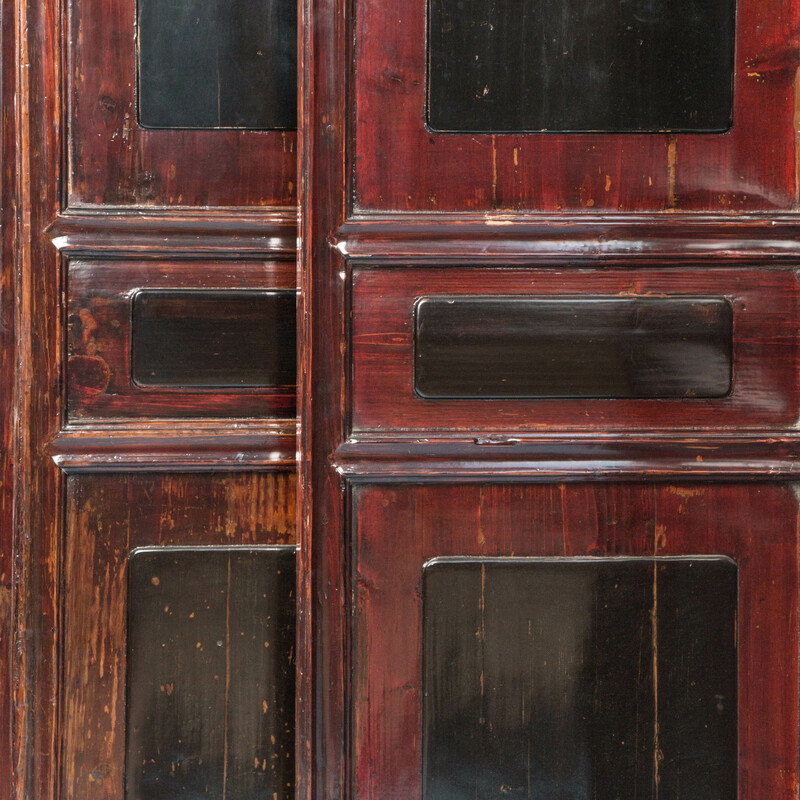 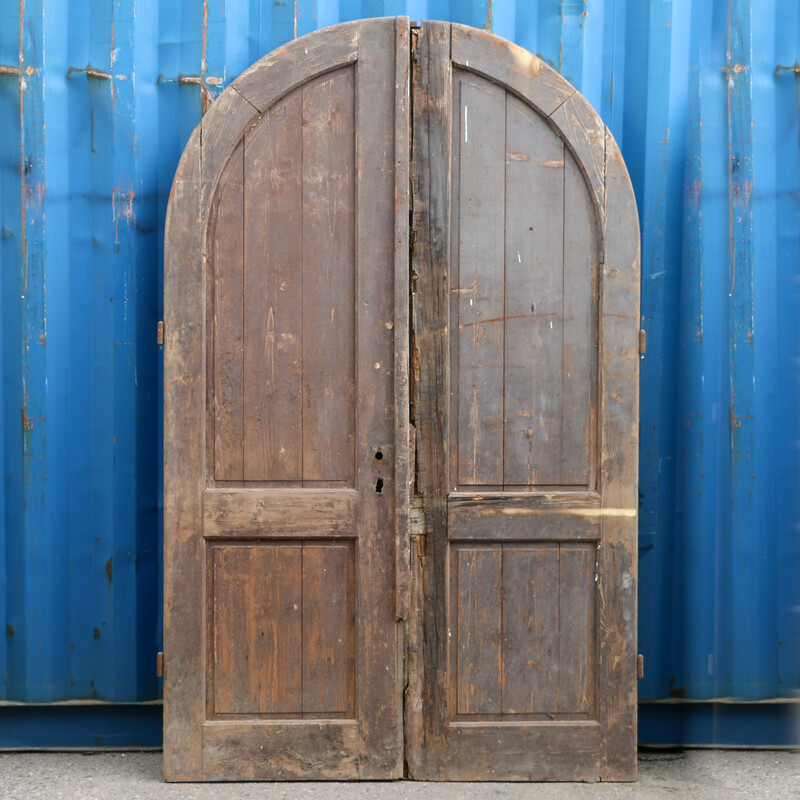 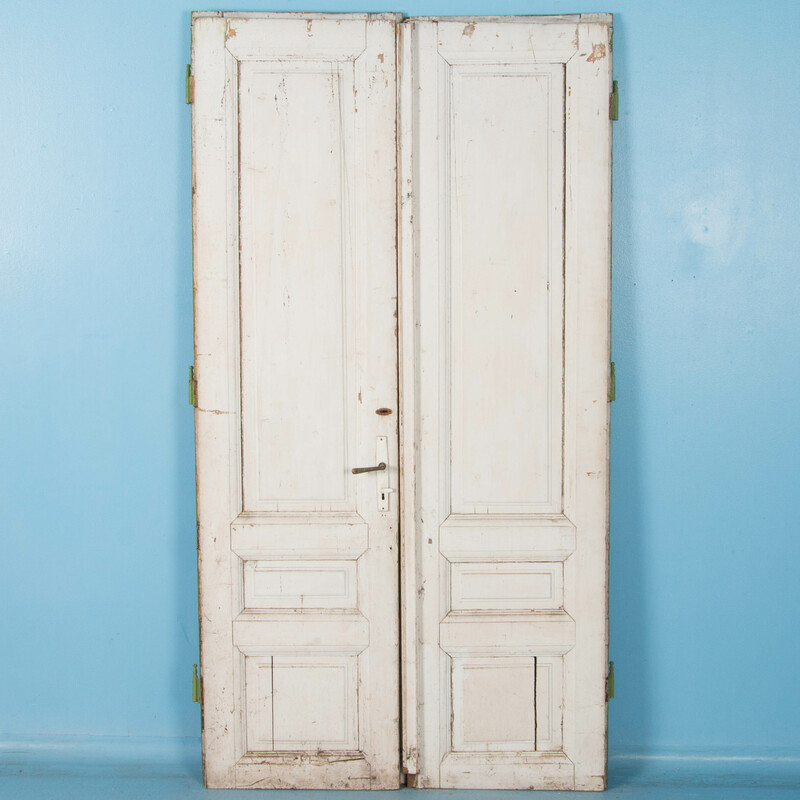 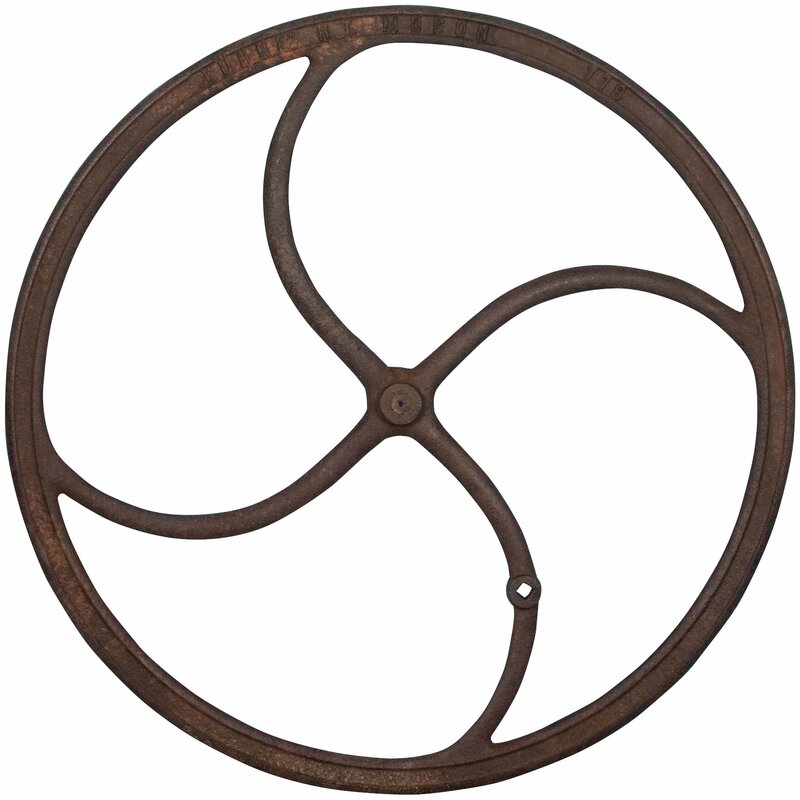 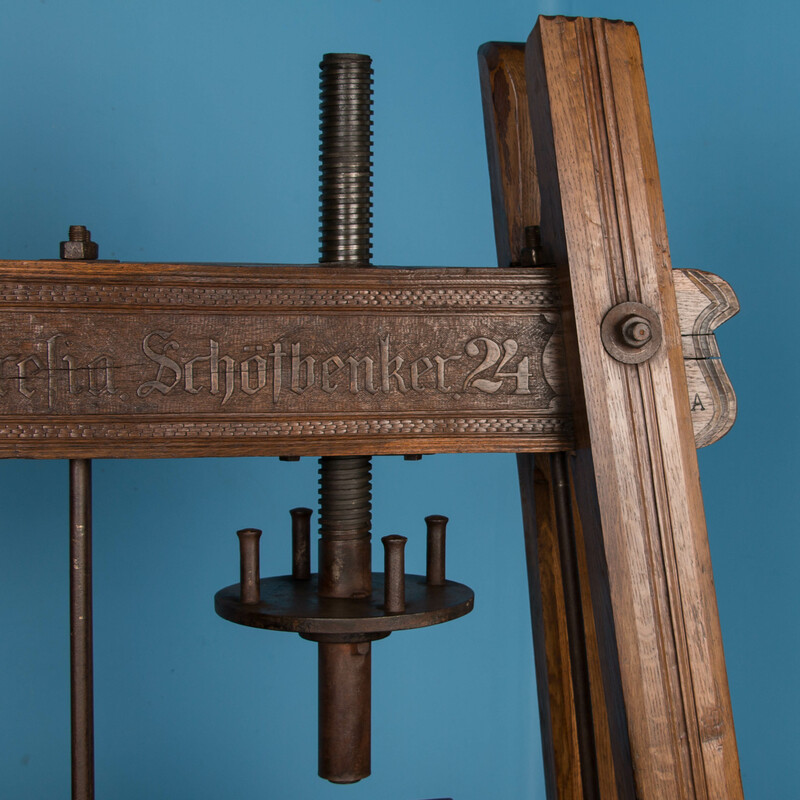 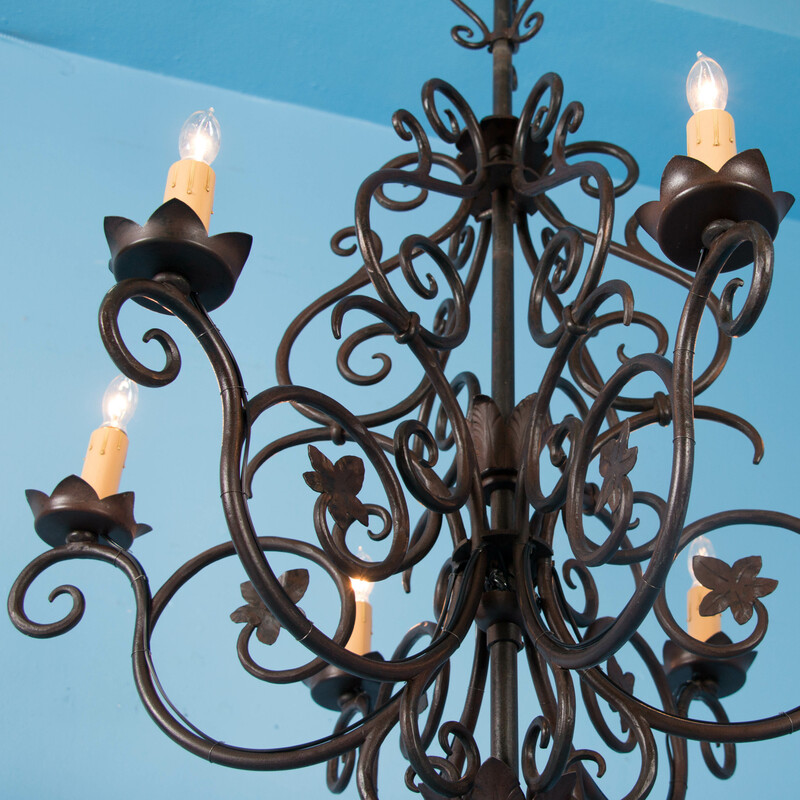 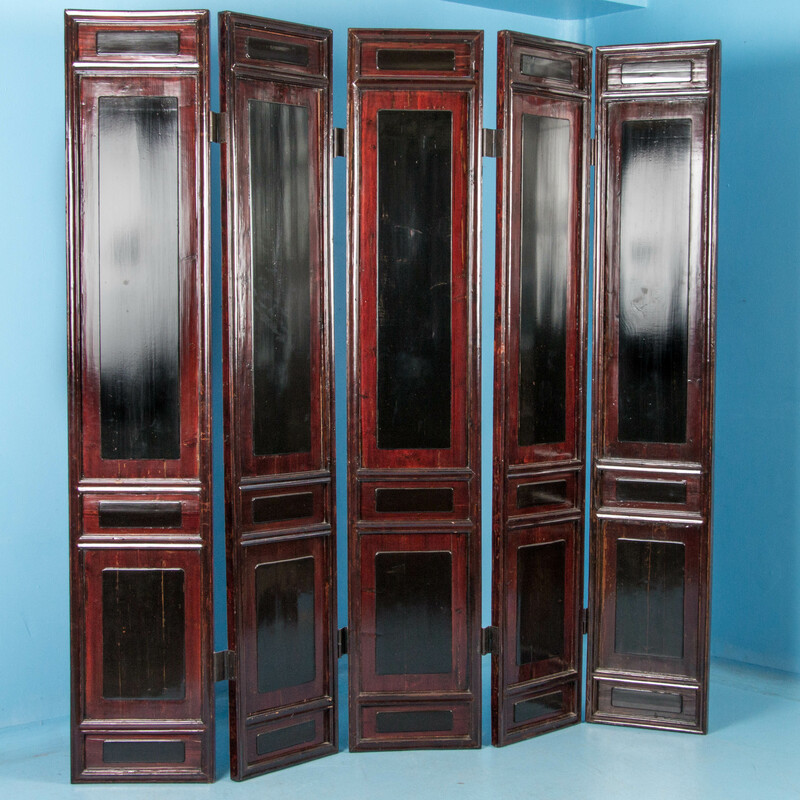 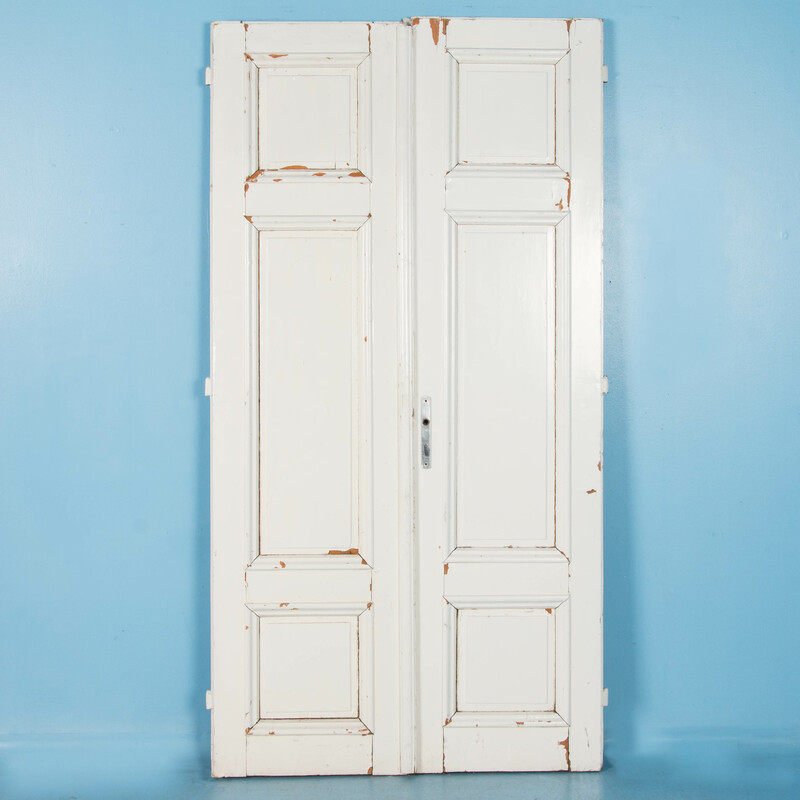 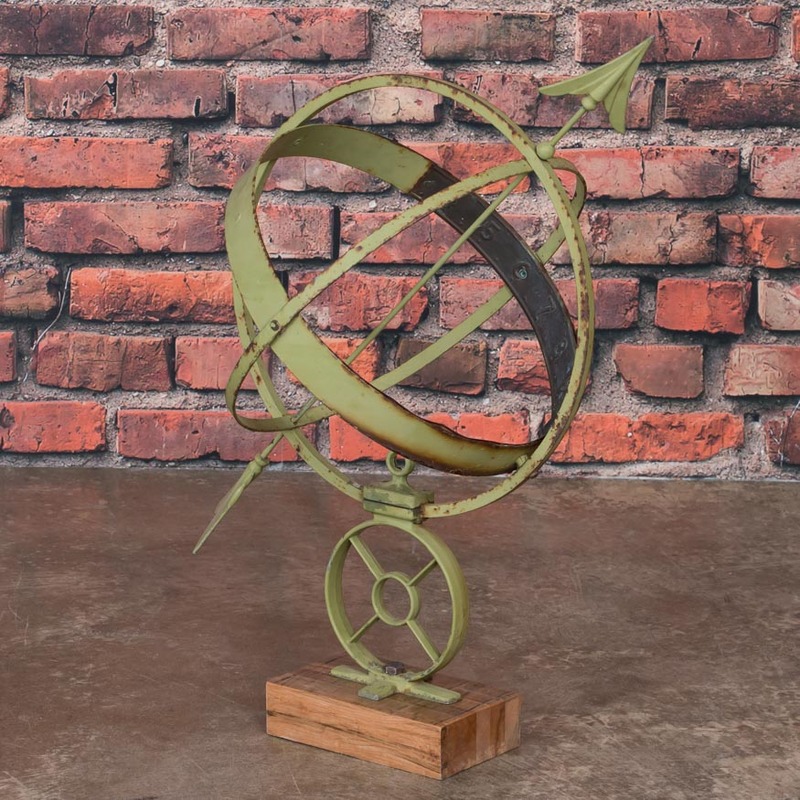 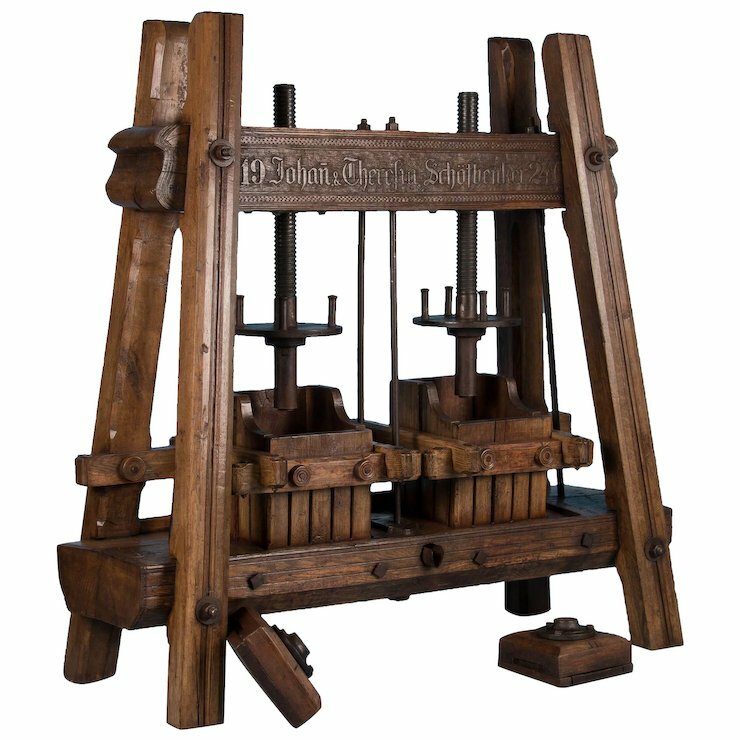 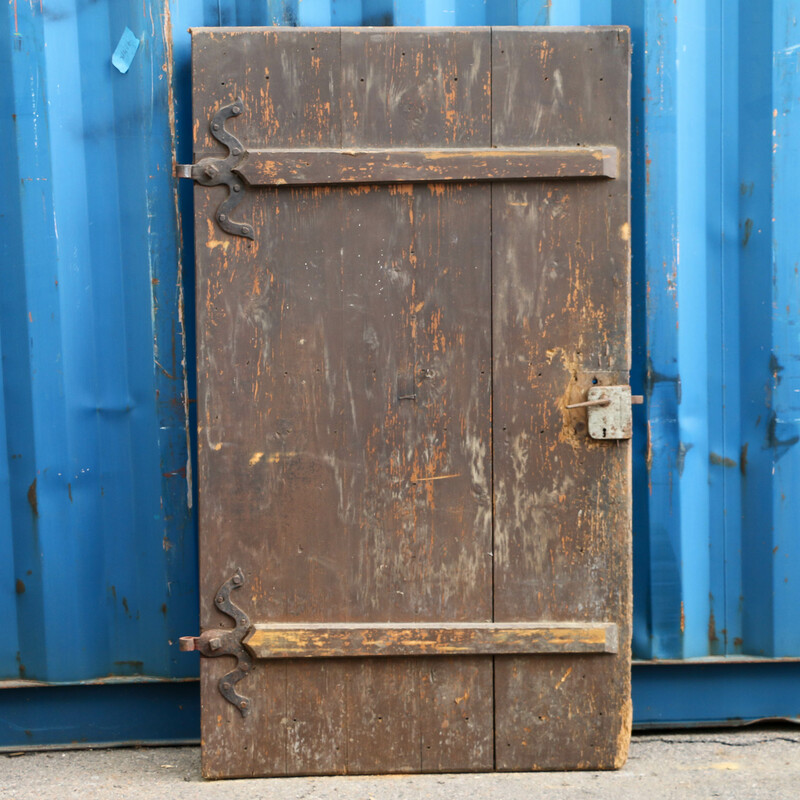 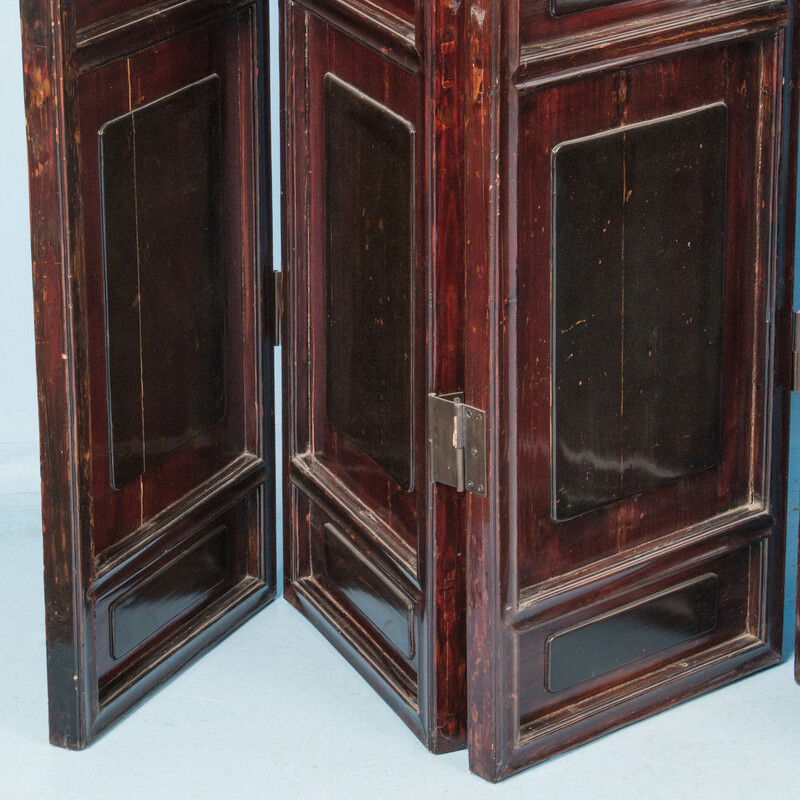 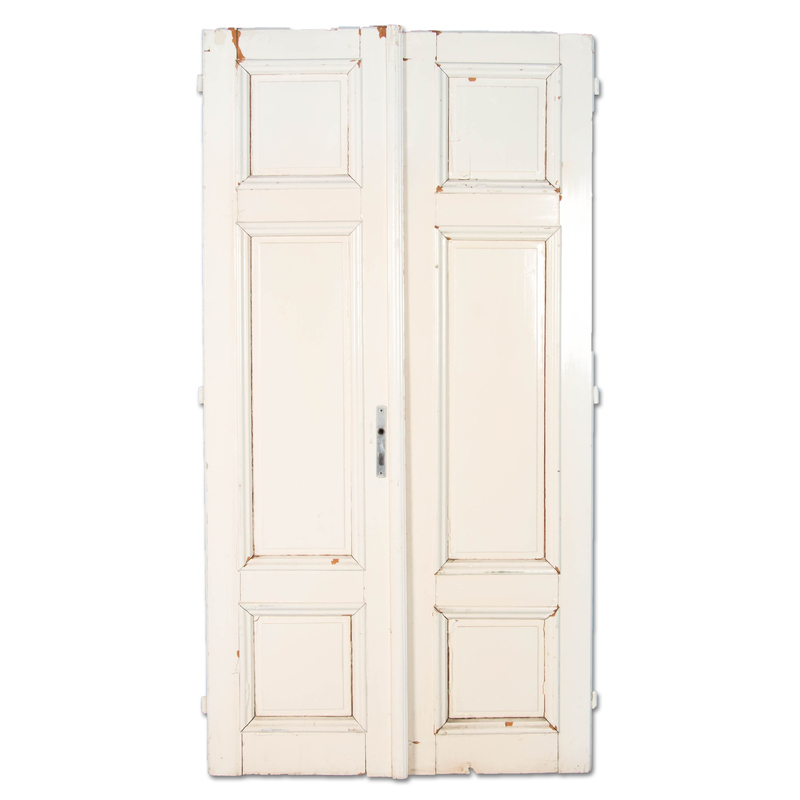 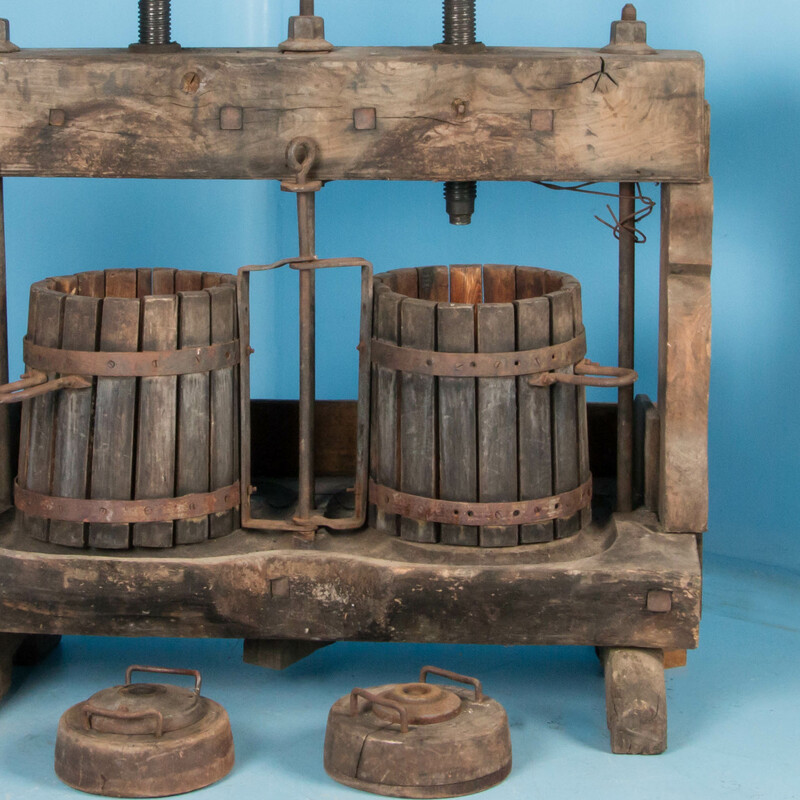 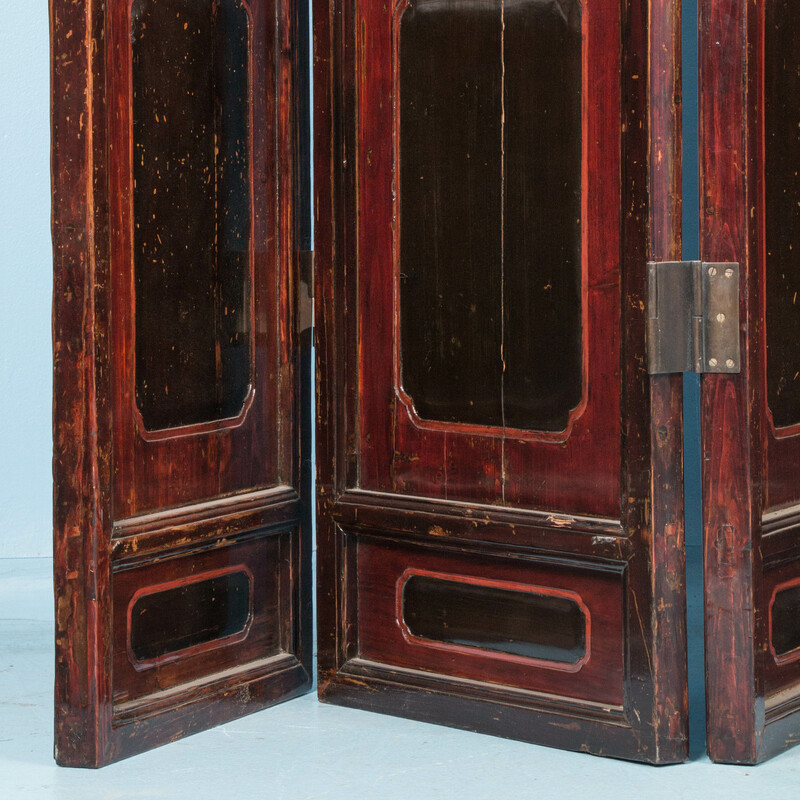 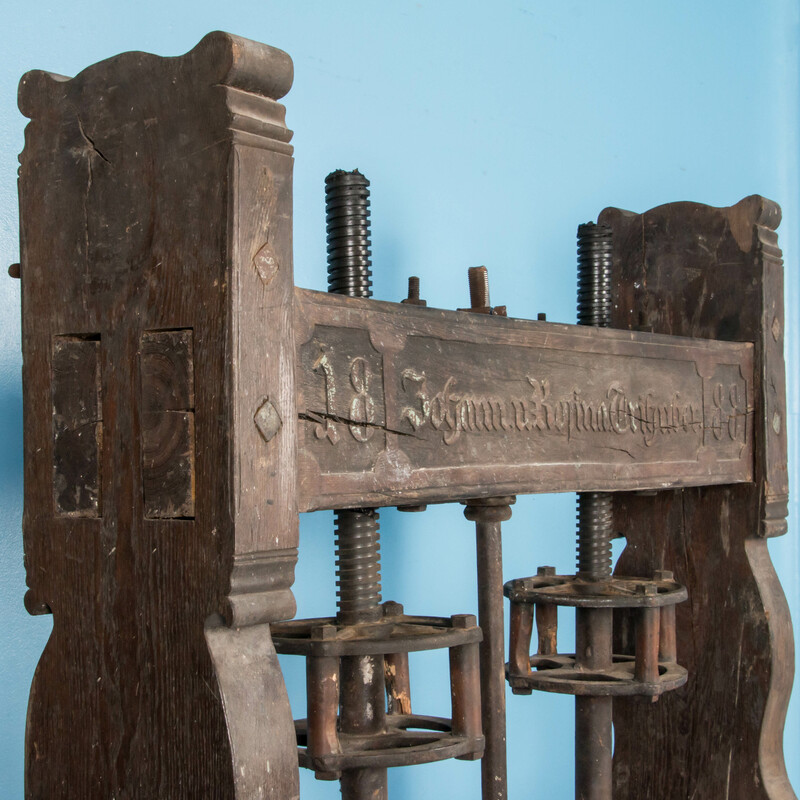 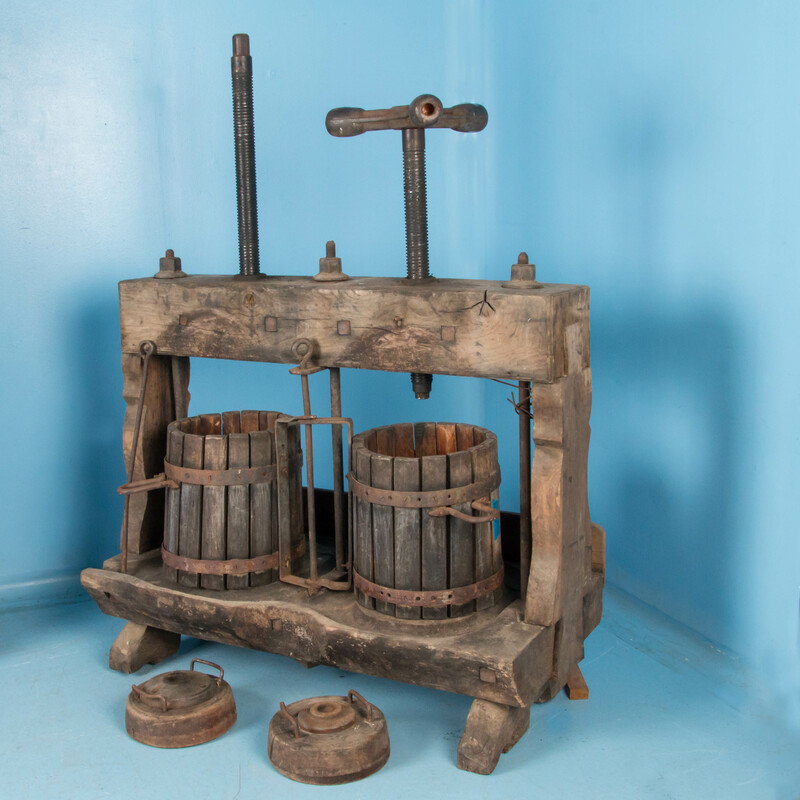 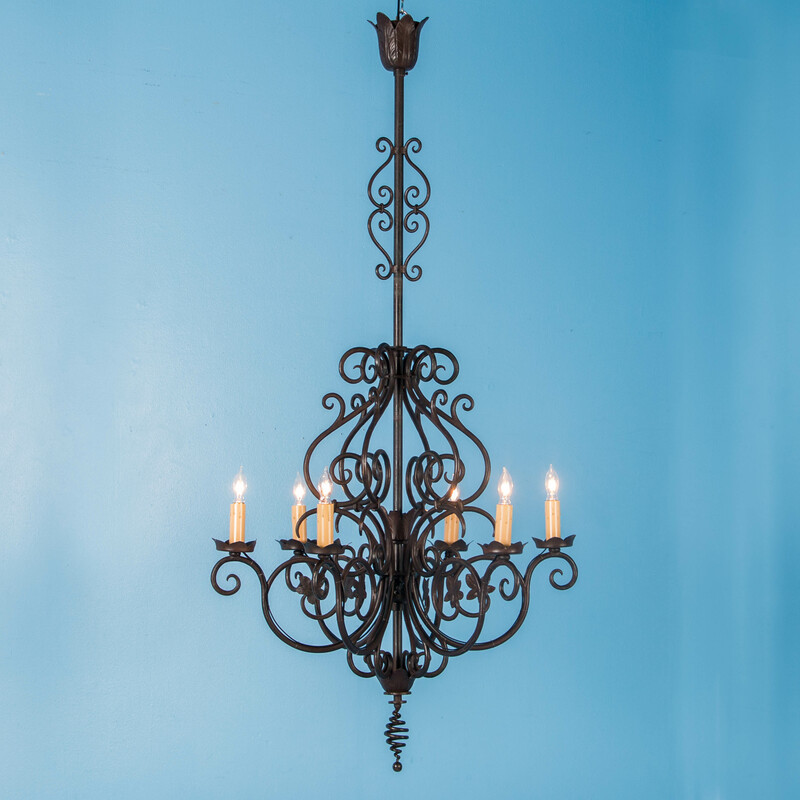 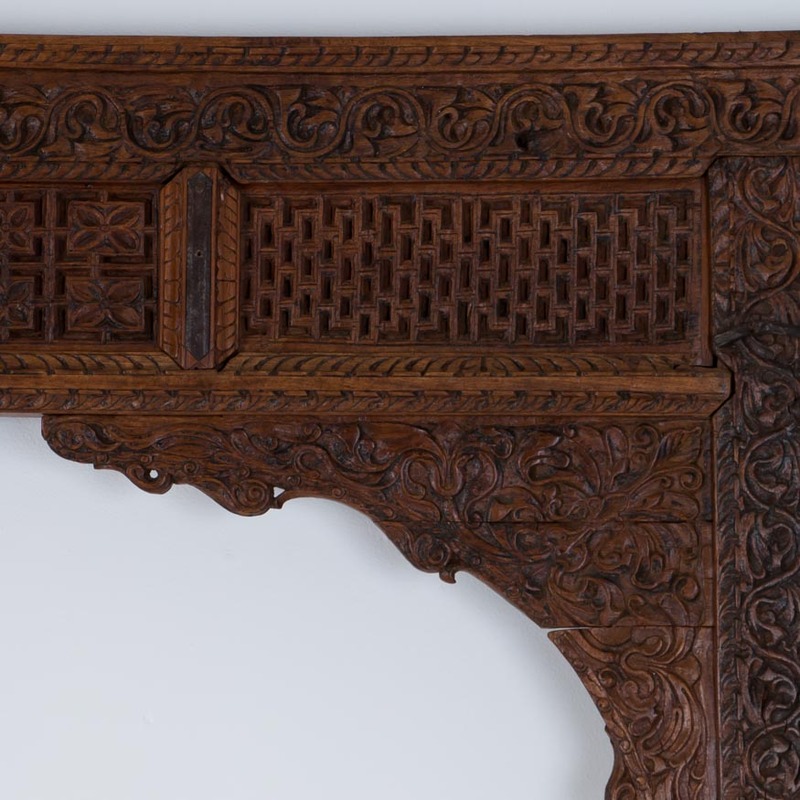 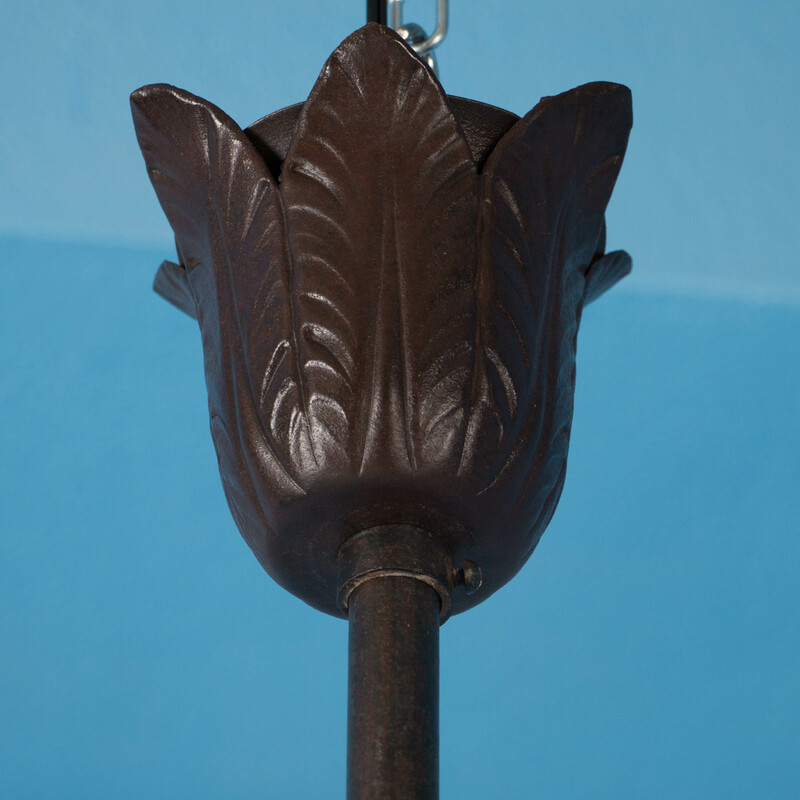 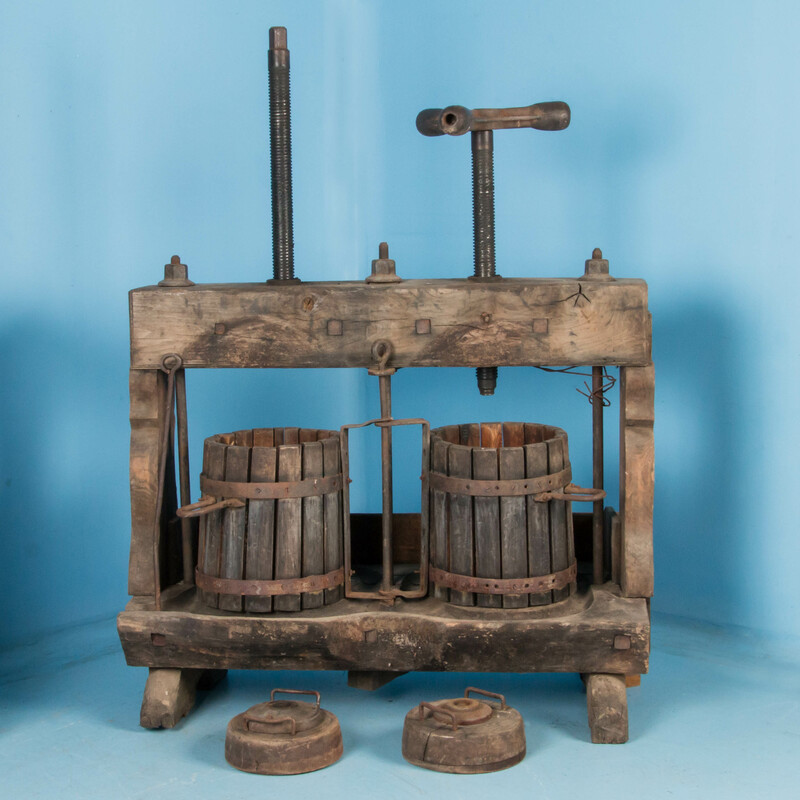 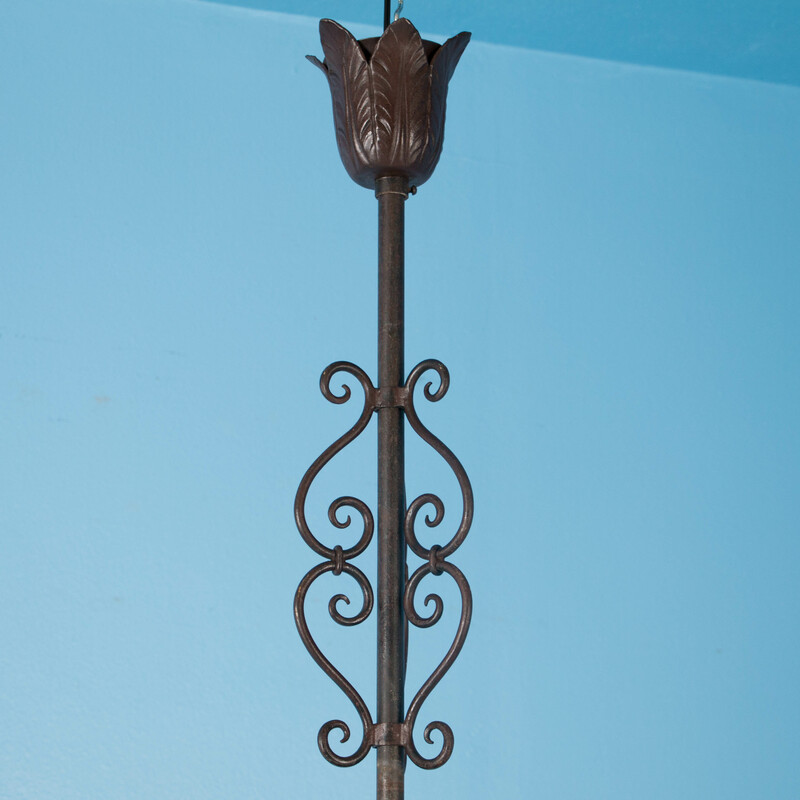 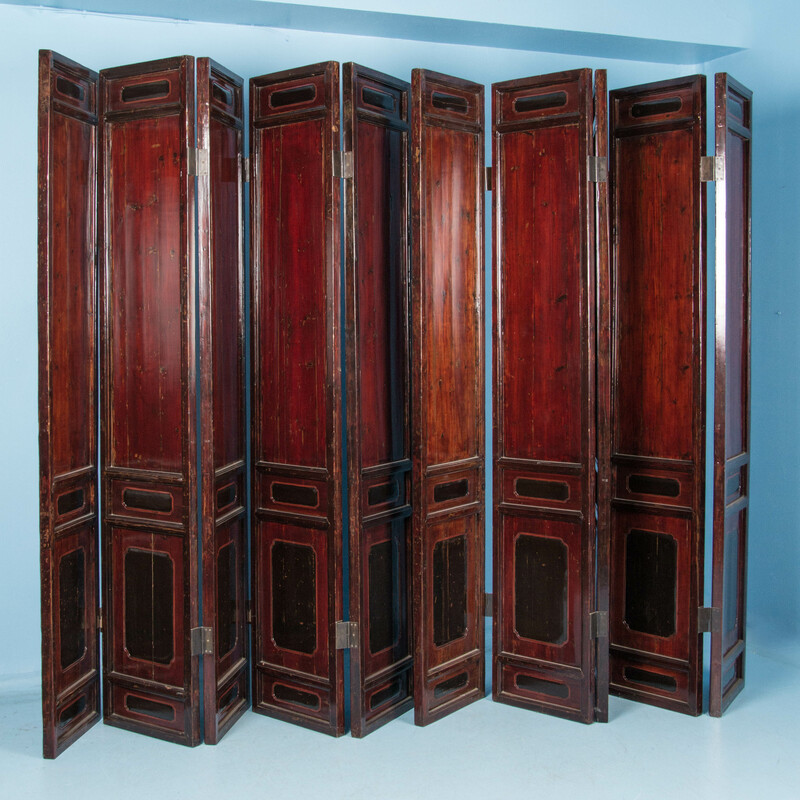 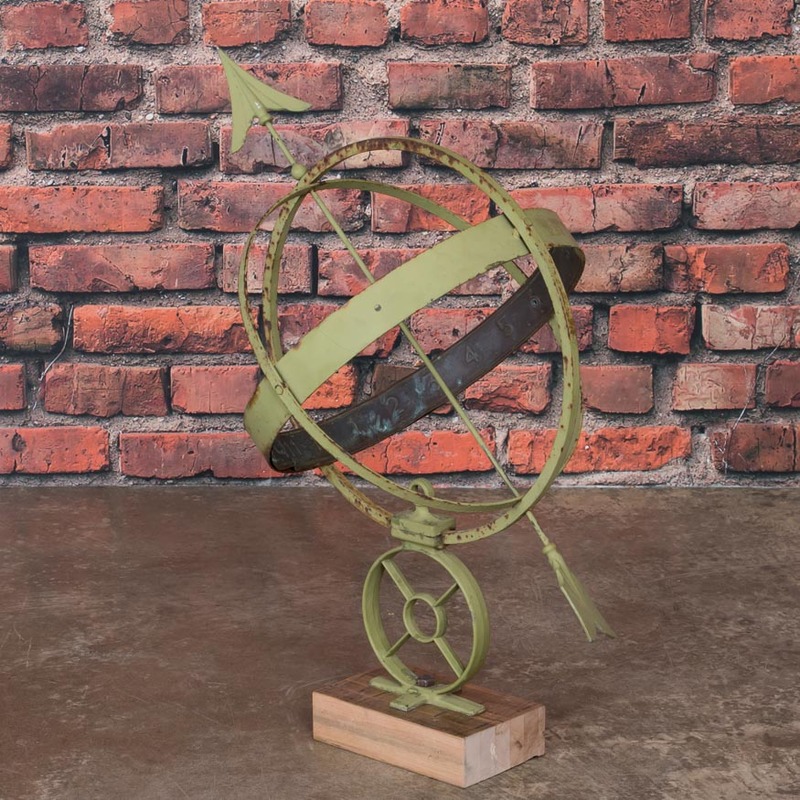 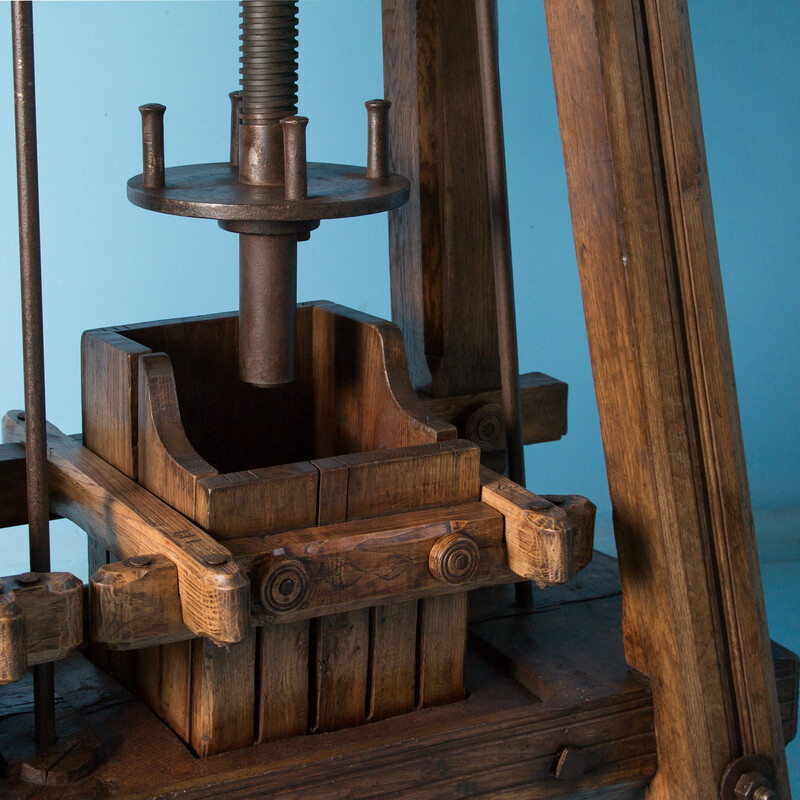 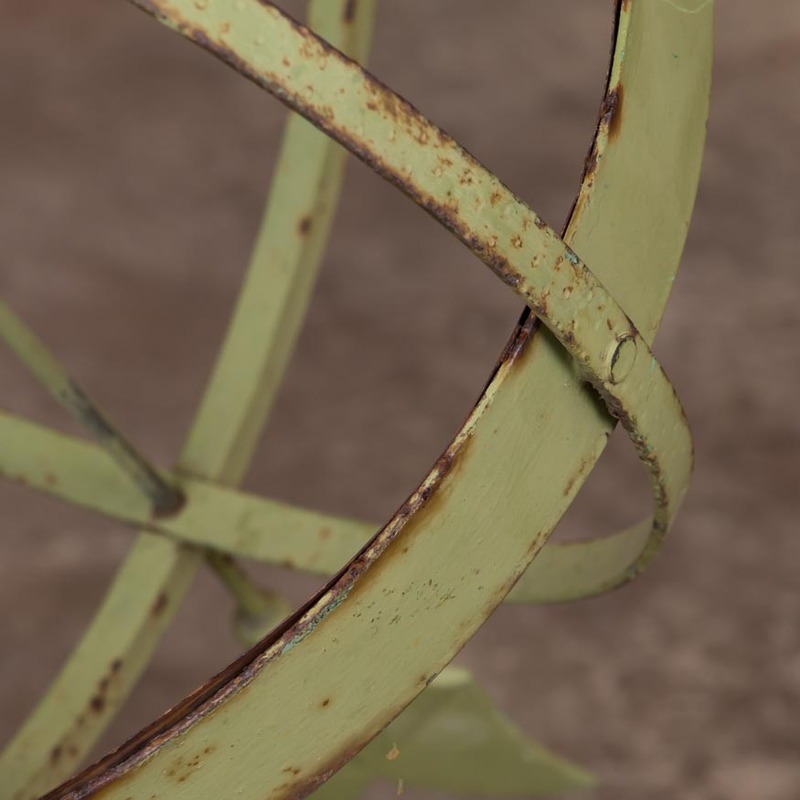 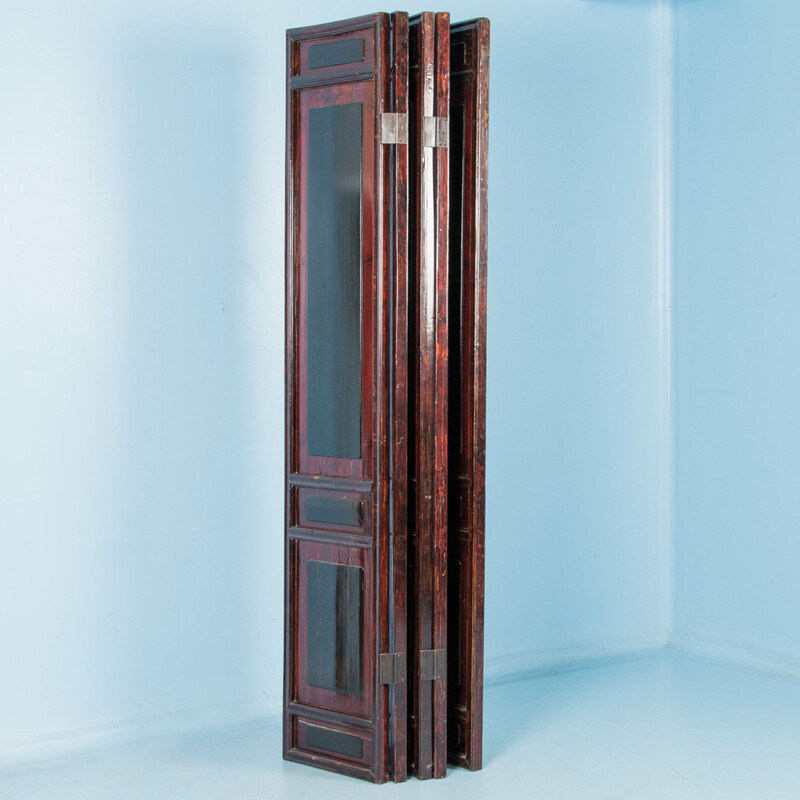 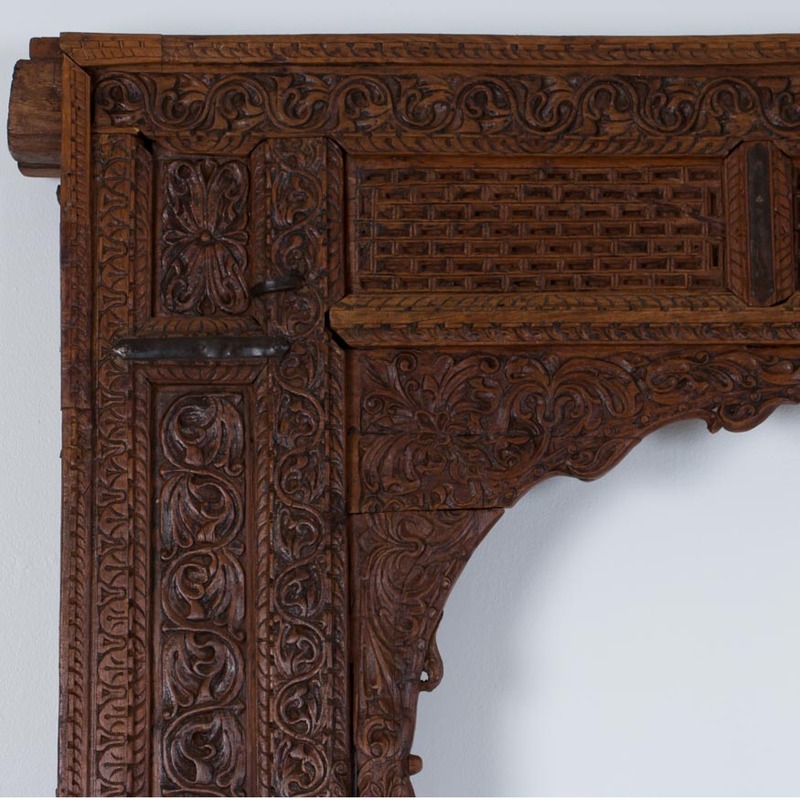 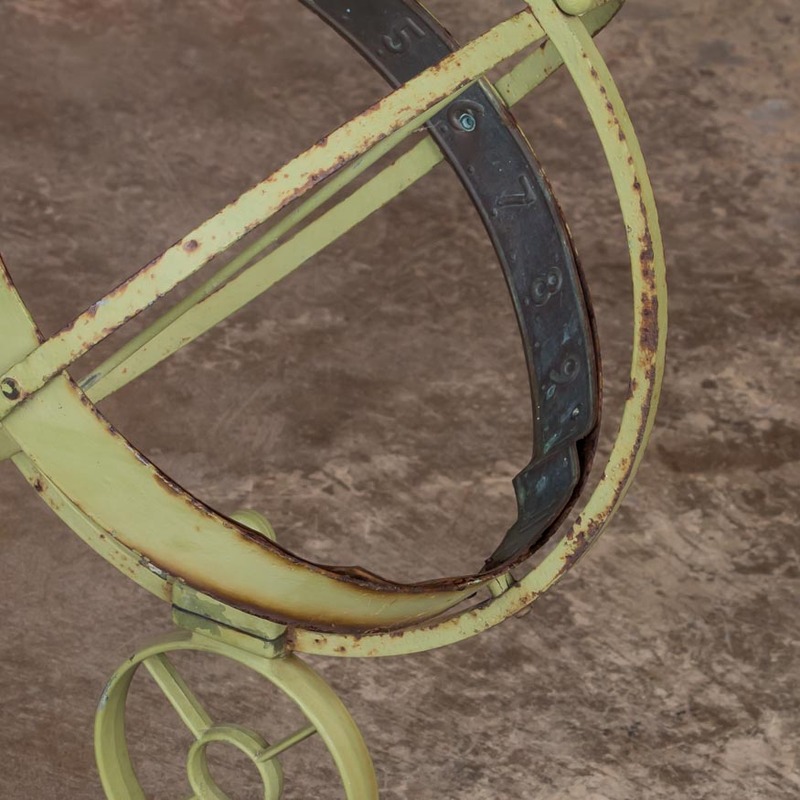 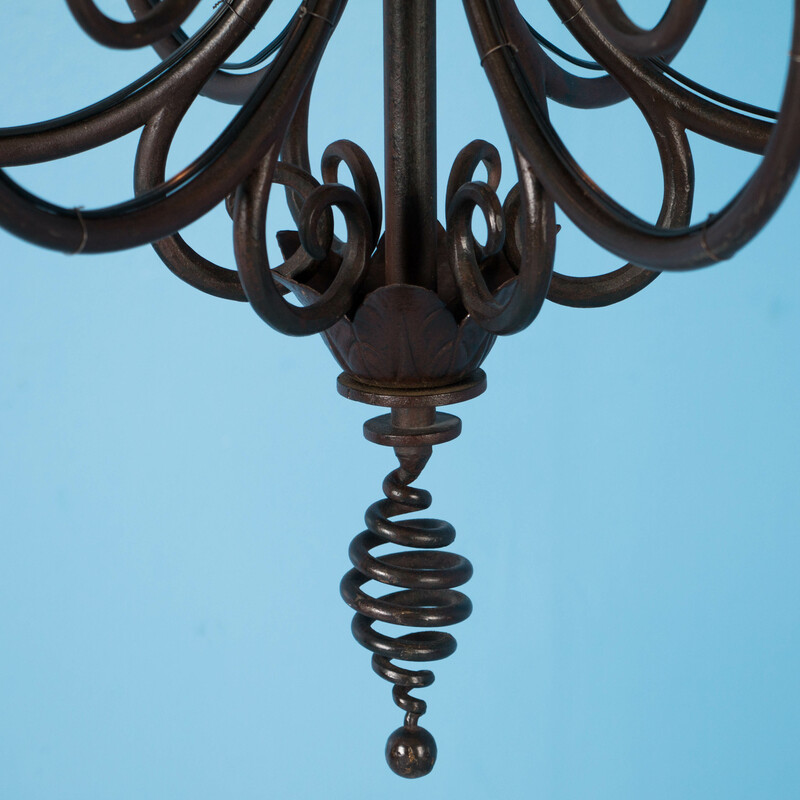 Like most pairs of old interior doors, these could be mounted as two sliding doors or connected to create one large one. 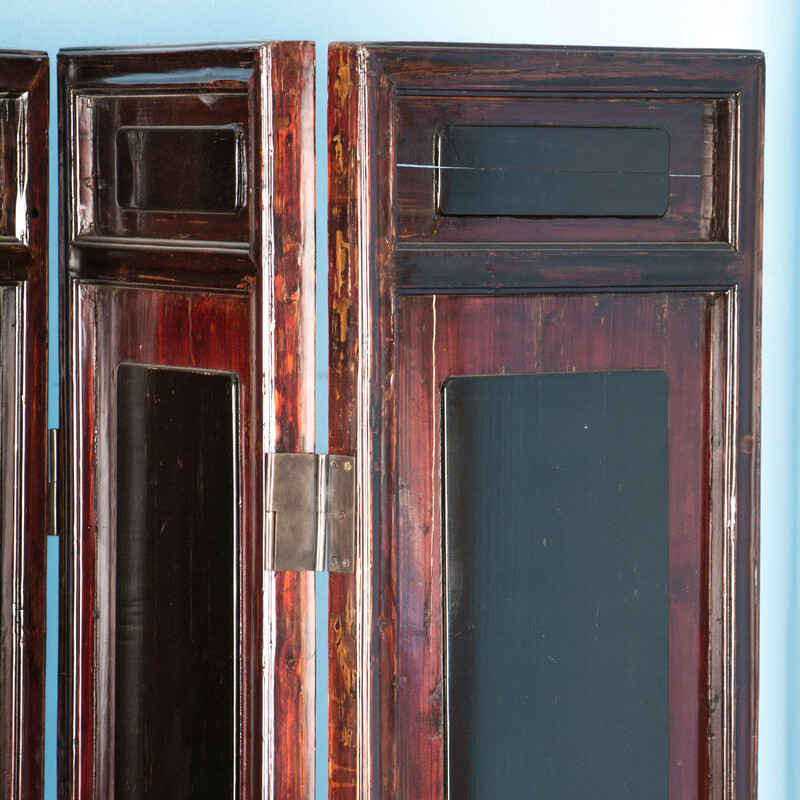 Each door has three raised beveled panels on the front and back and both have the original hinges and door latch. 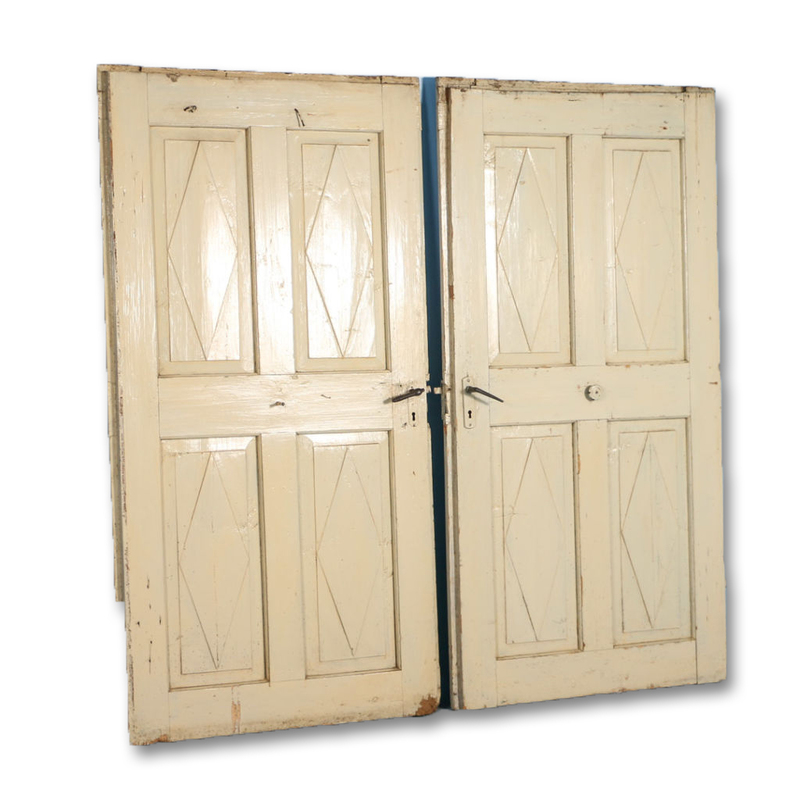 These doors have the same multi-panel design front & back and still retain the original hinges and door latch. 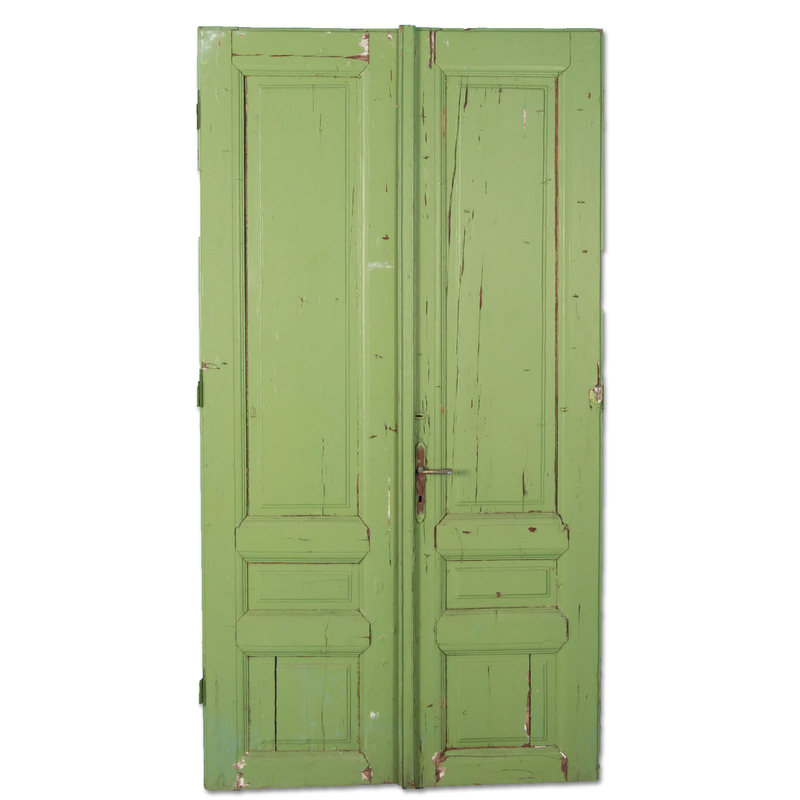 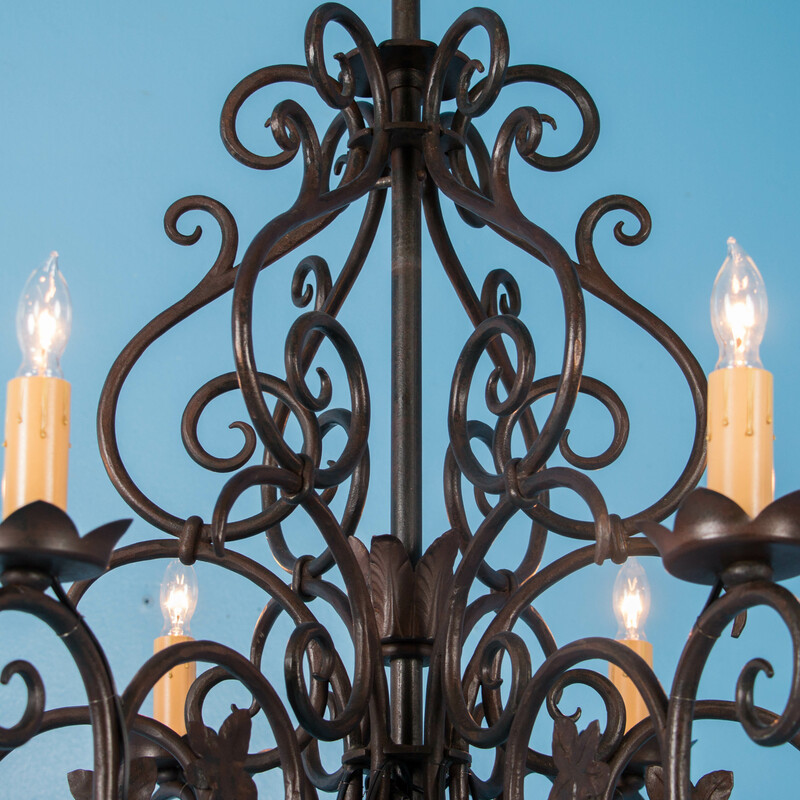 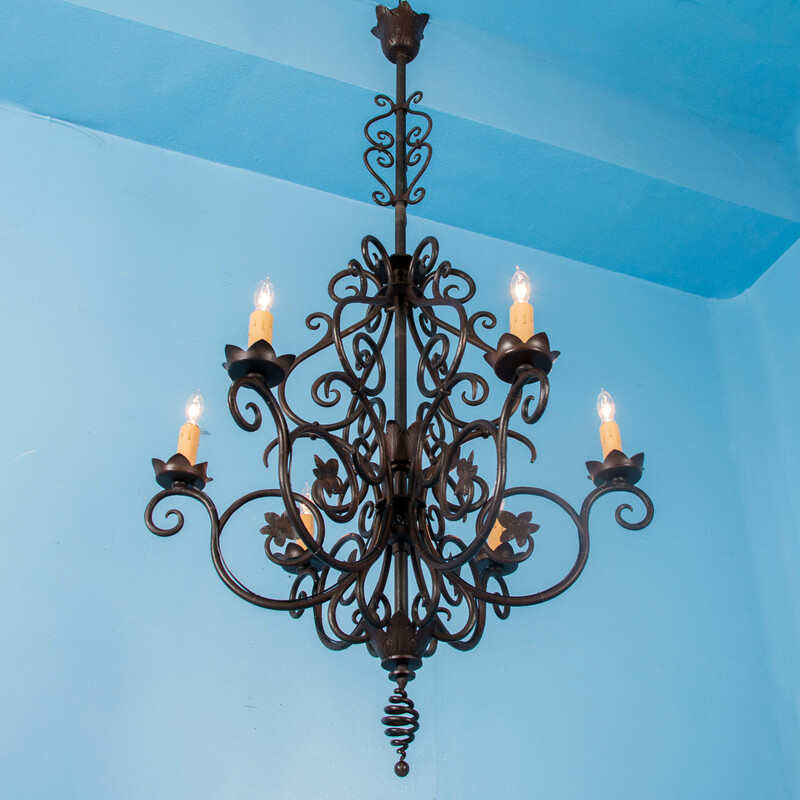 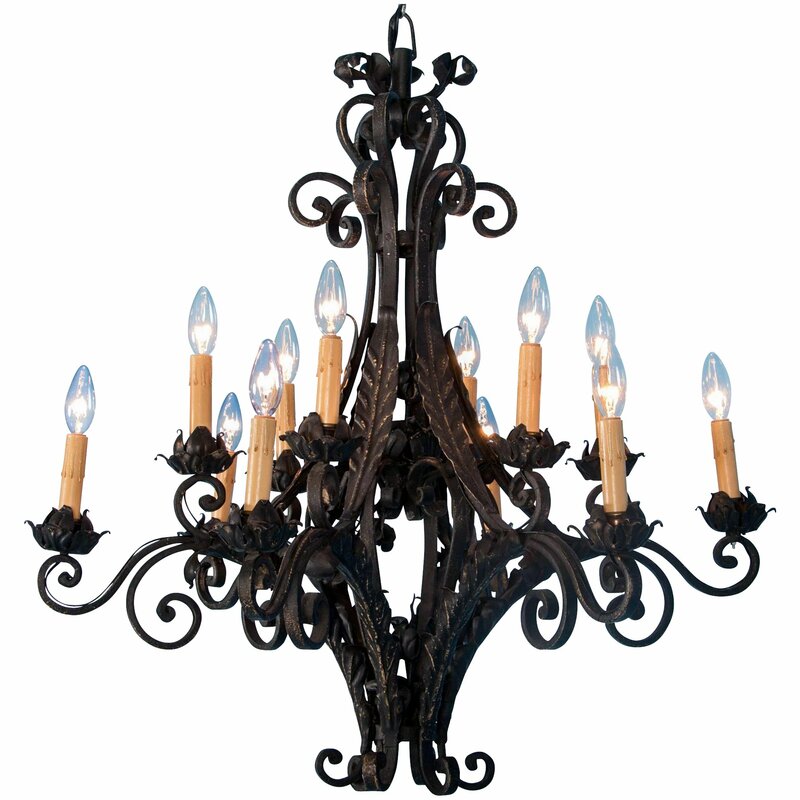 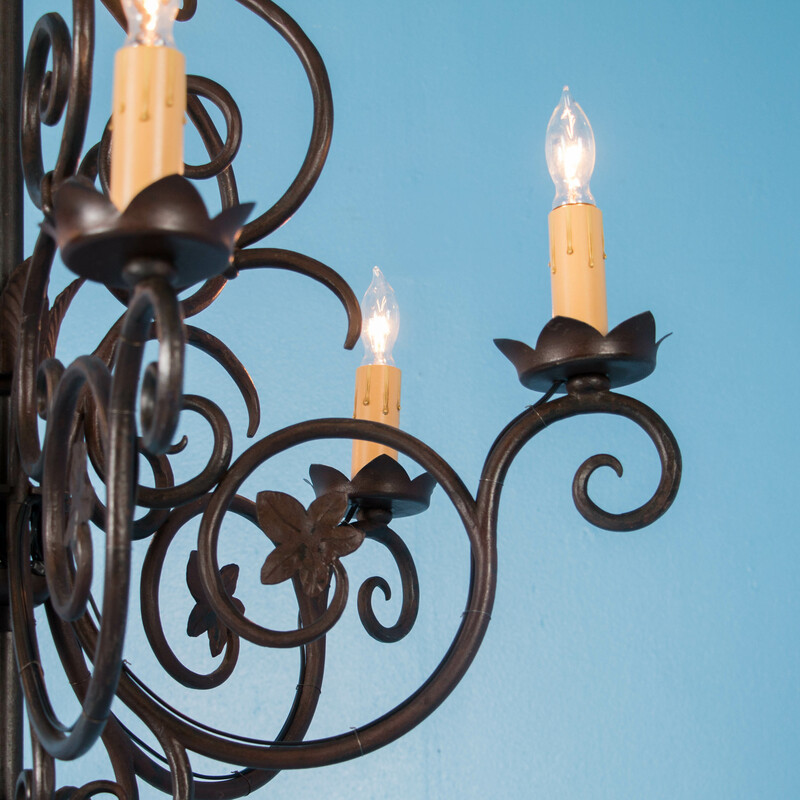 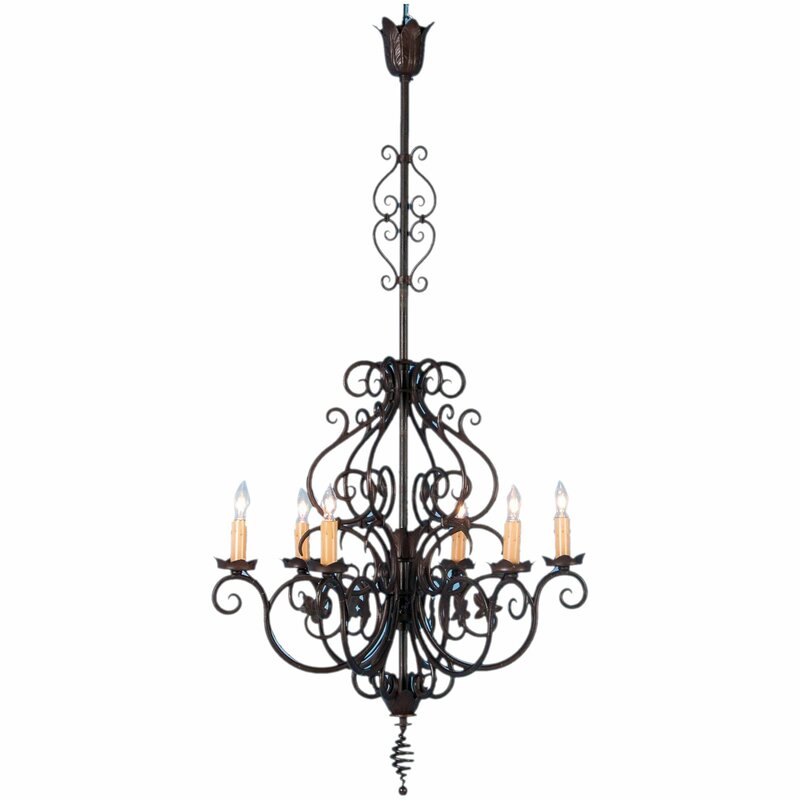 There two pairs of these doors available, both with the same hardware and paint color.. 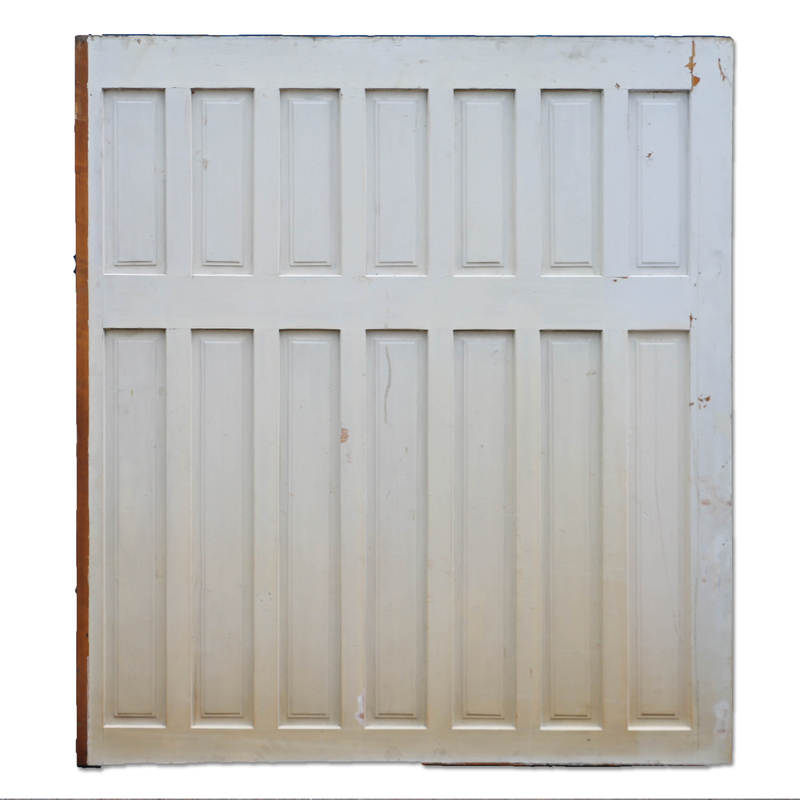 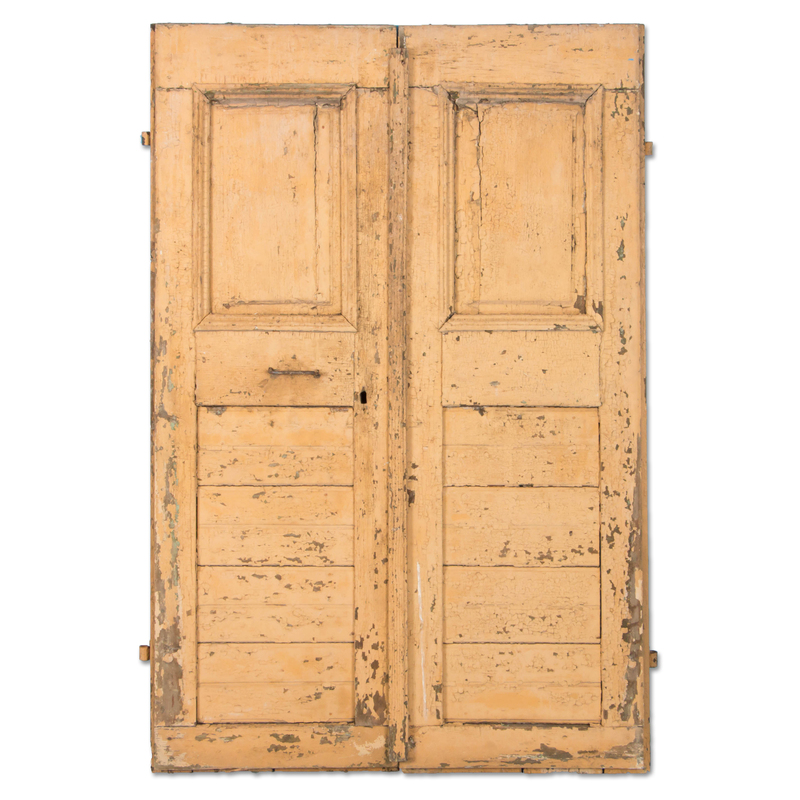 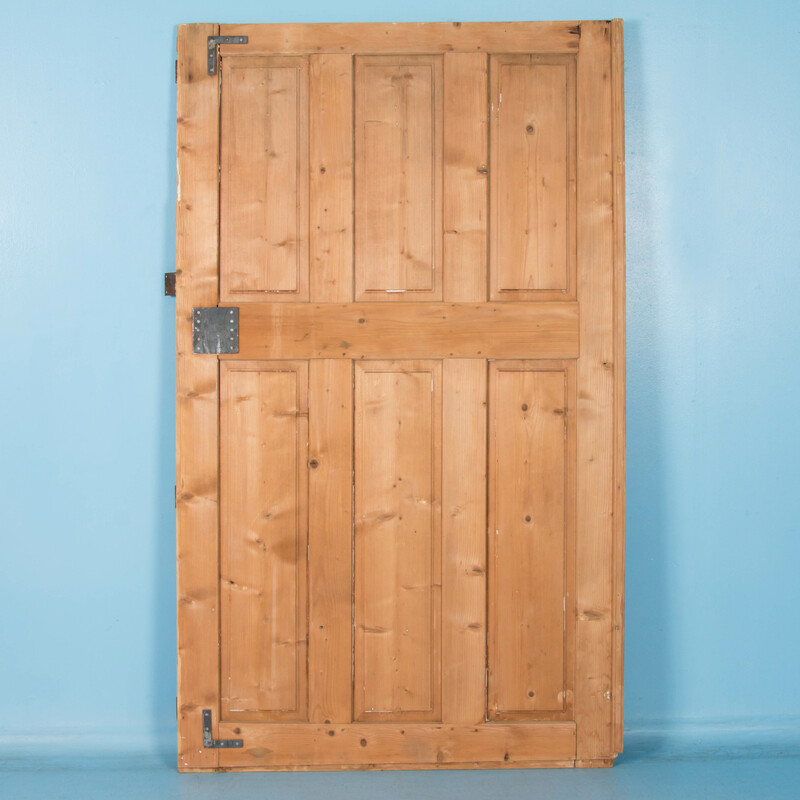 This stripped pine door has six raised panels and would be perfect to use as a sliding door for a pantry or bathroom.